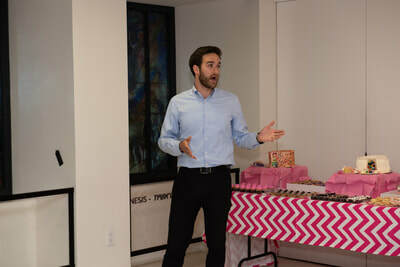 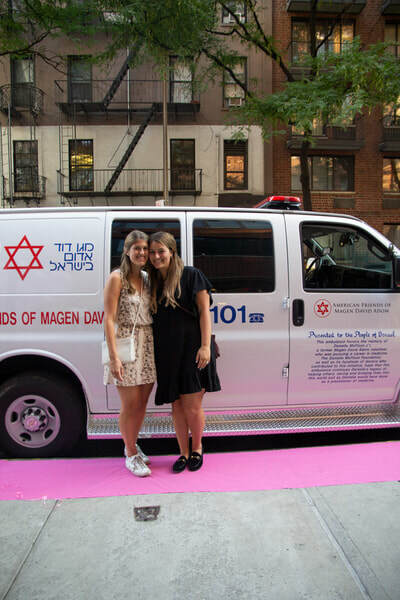 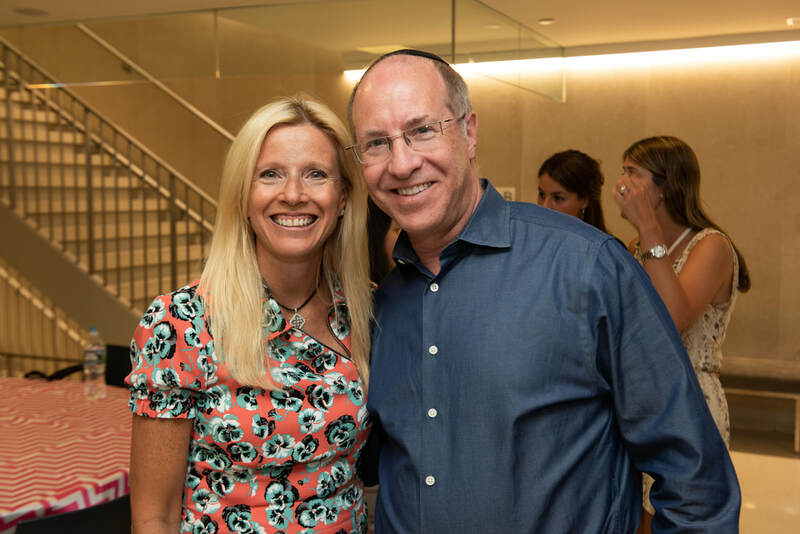 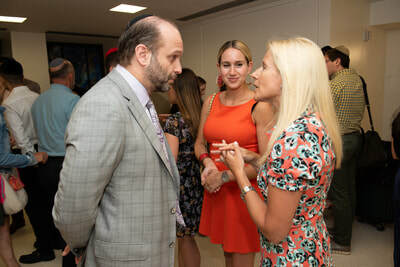 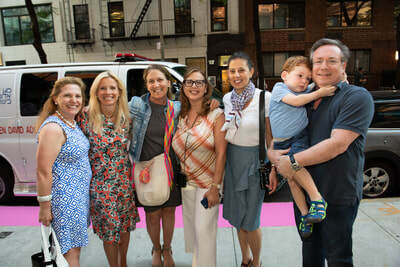 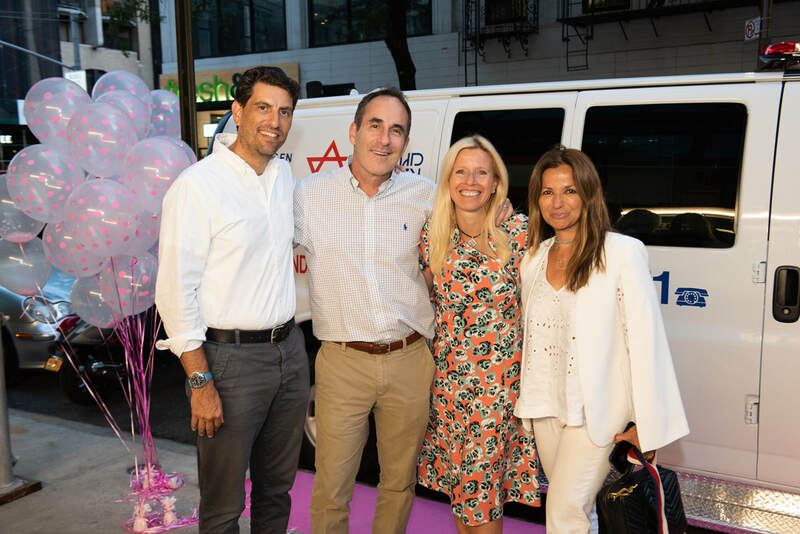 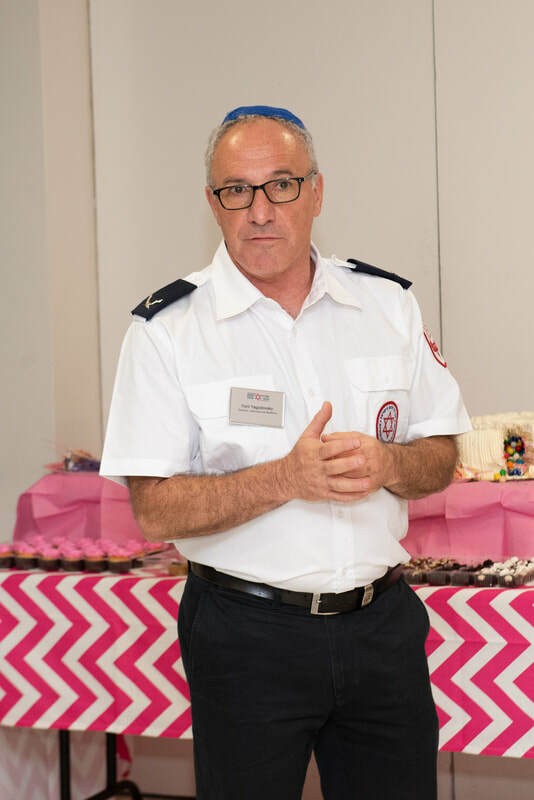 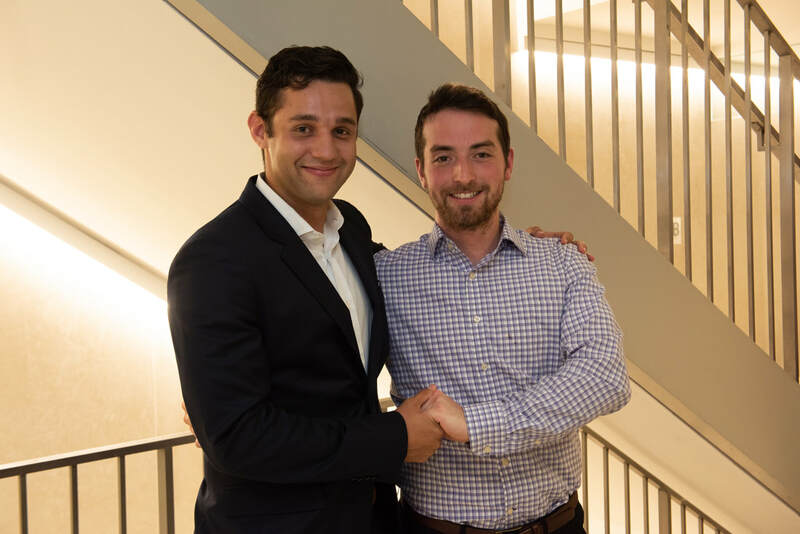 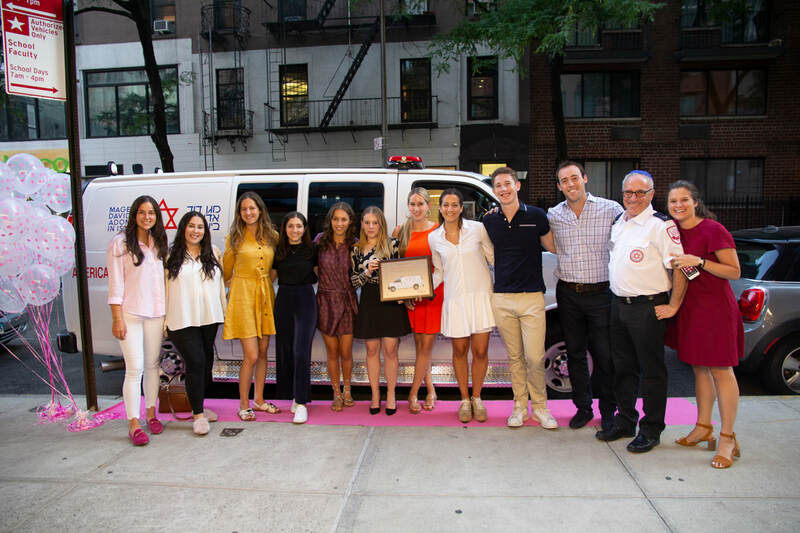 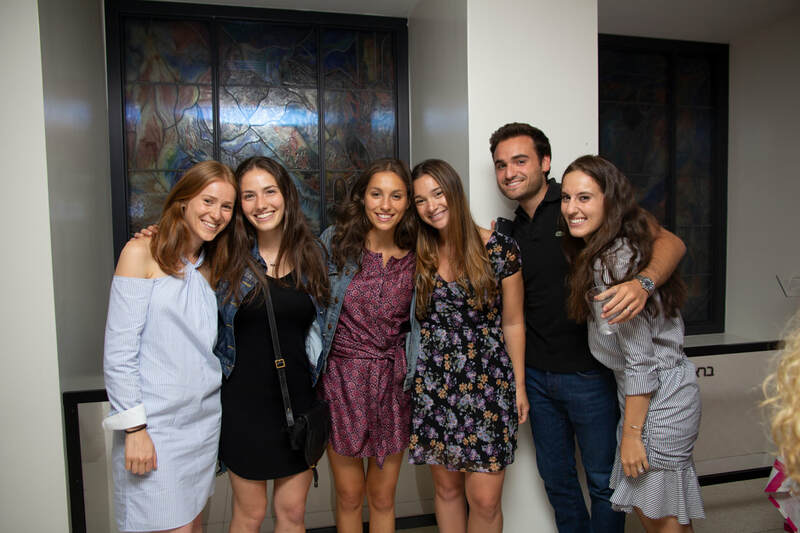 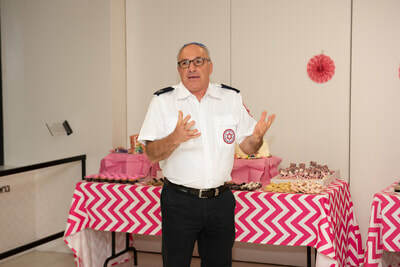 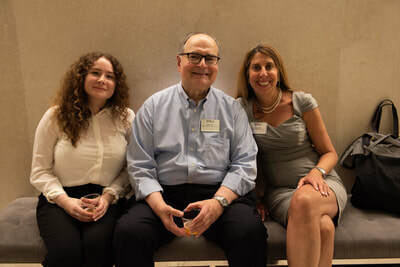 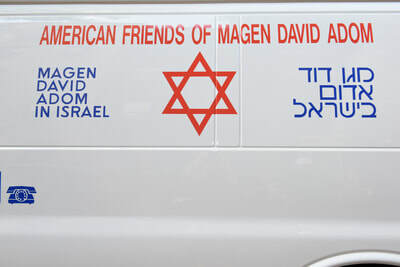 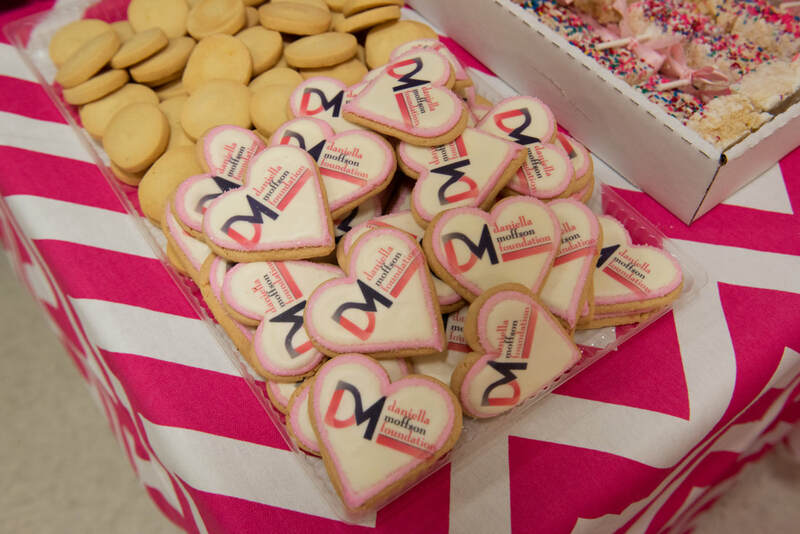 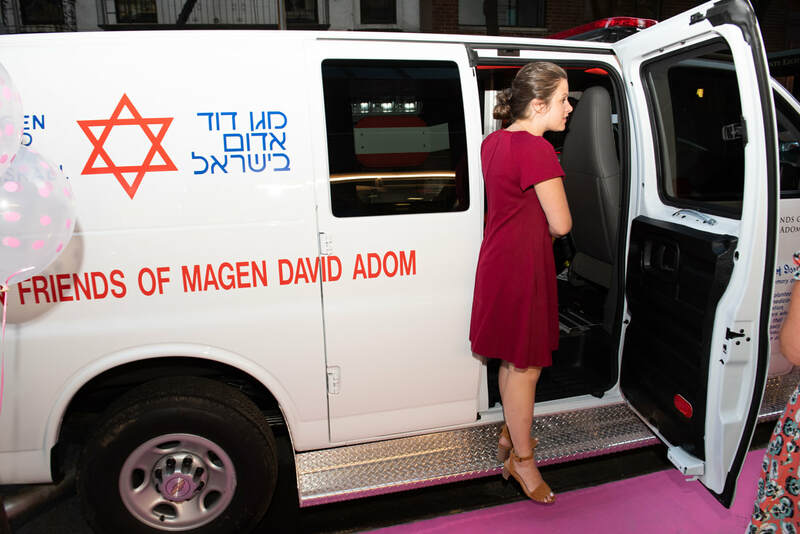 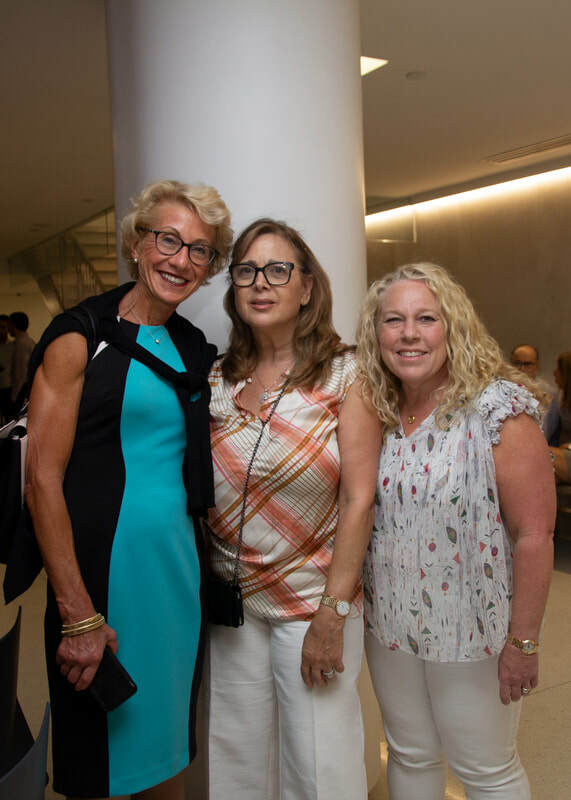 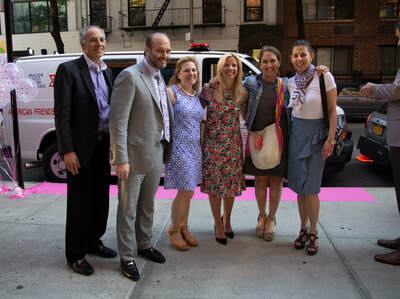 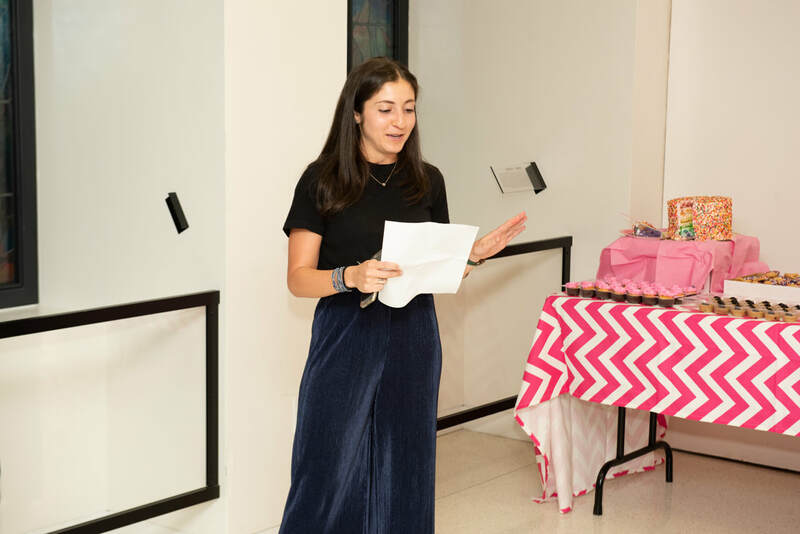 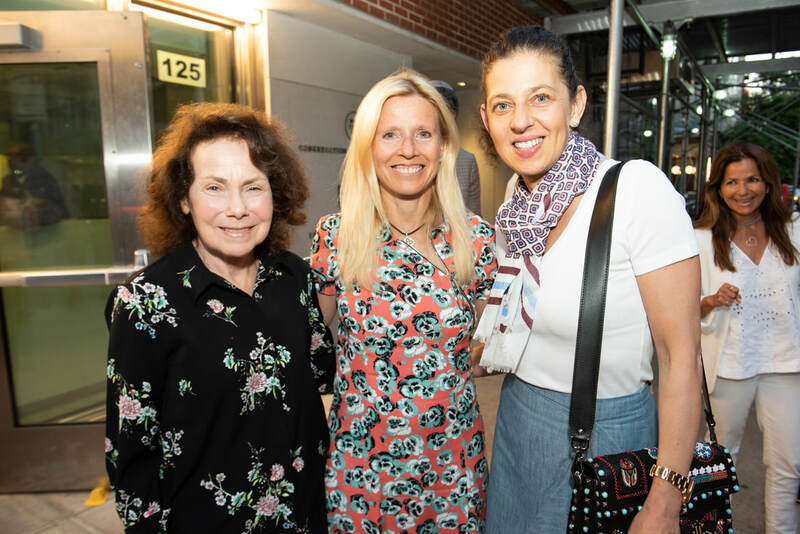 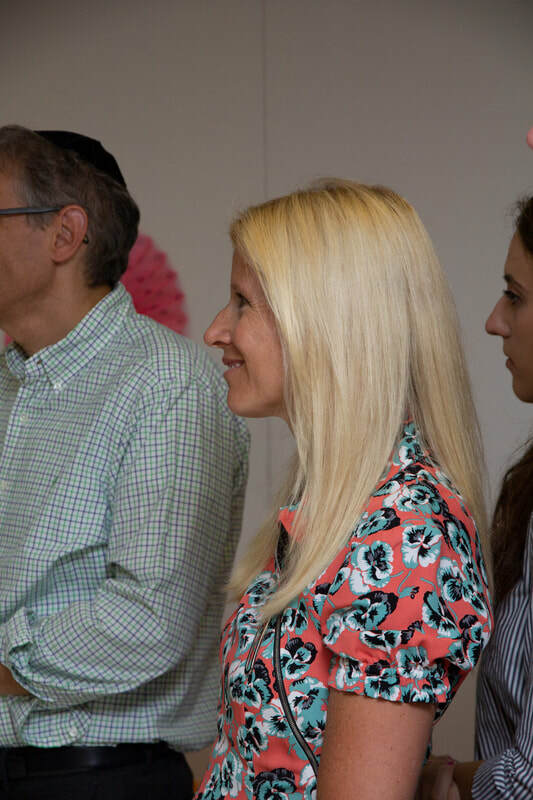 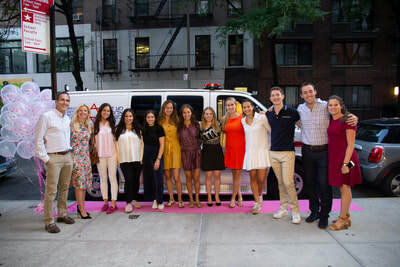 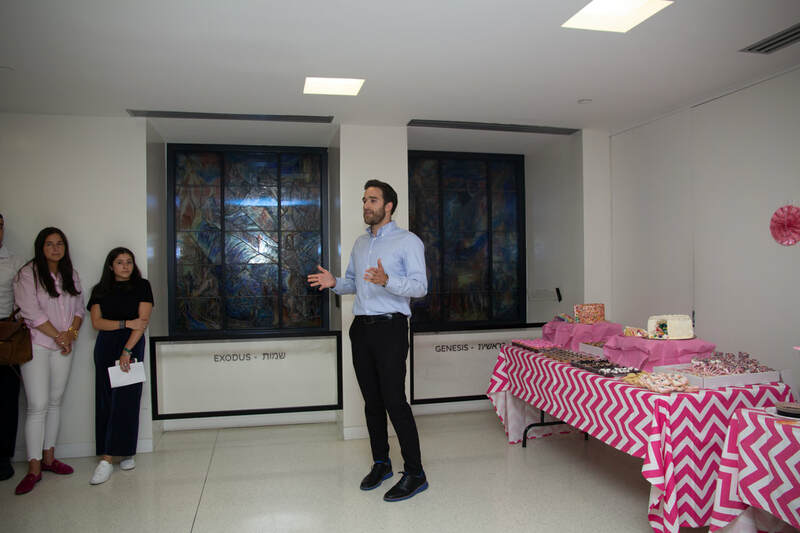 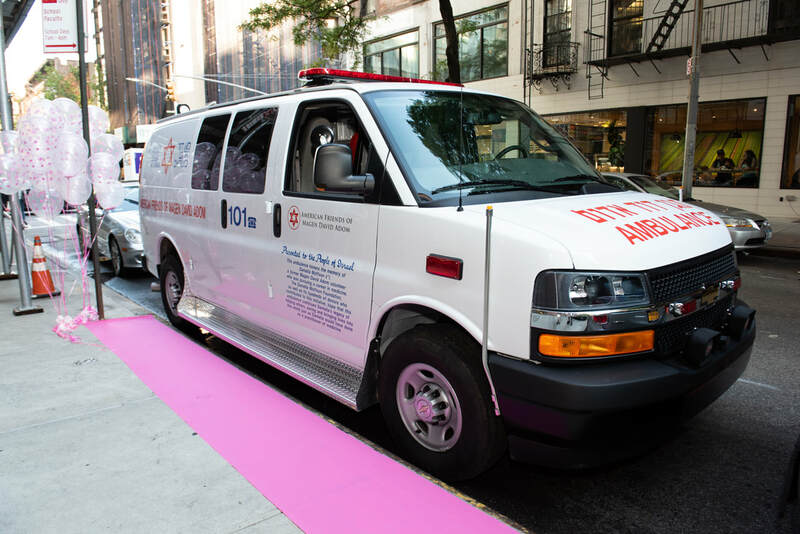 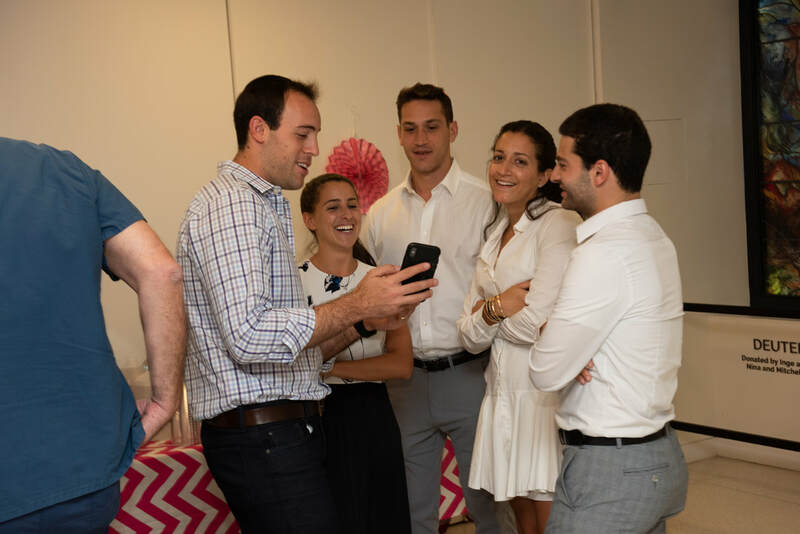 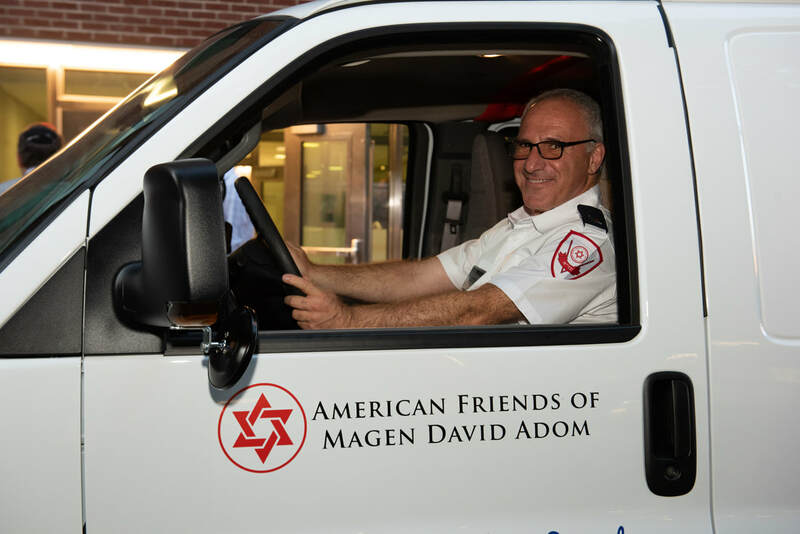 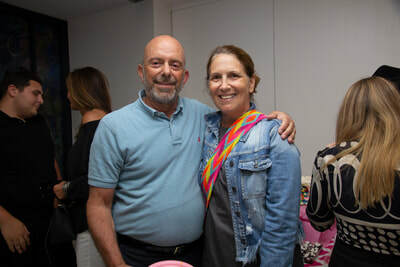 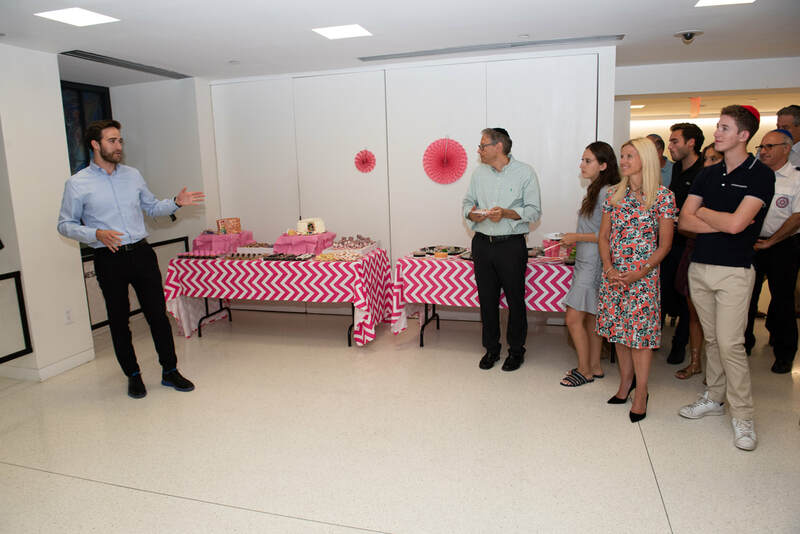 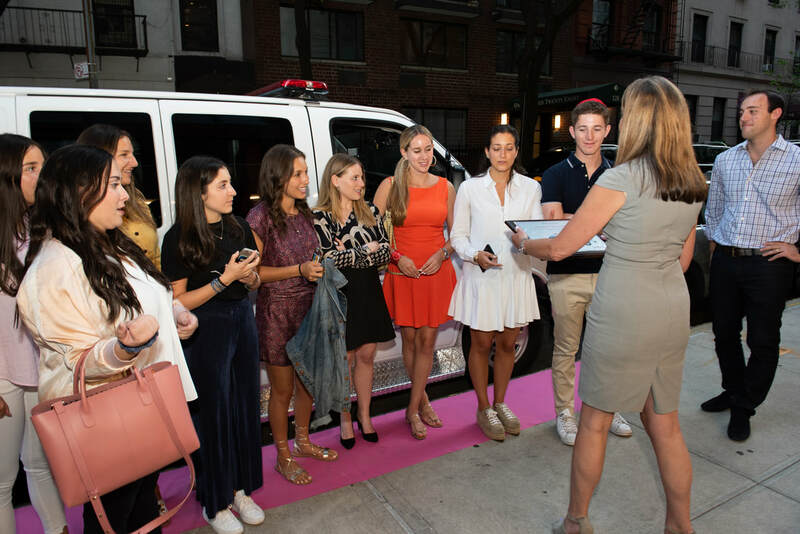 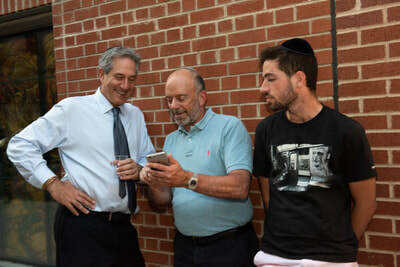 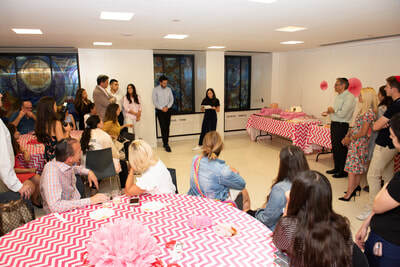 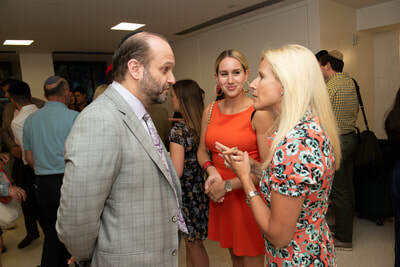 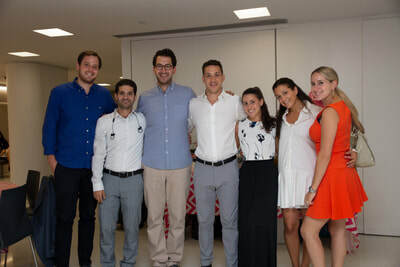 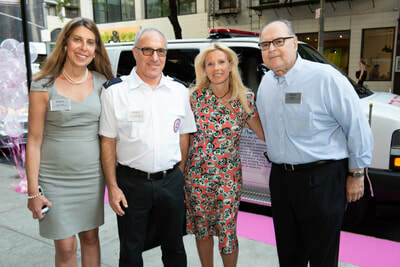 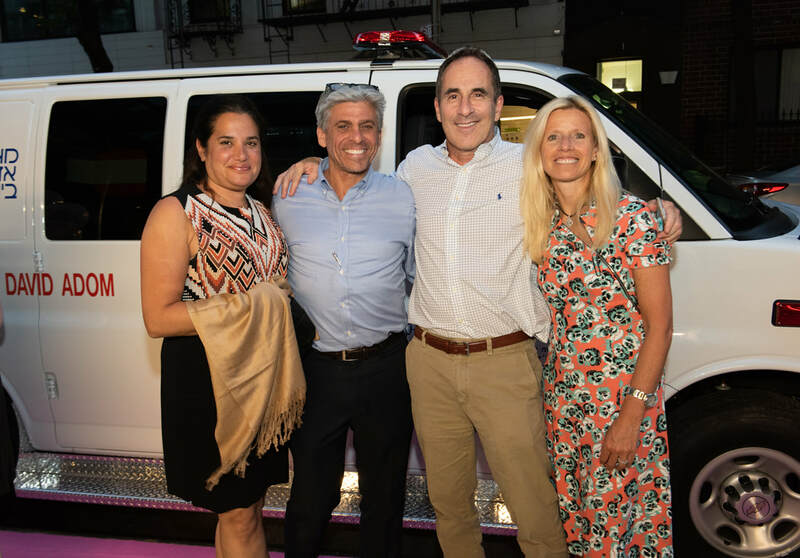 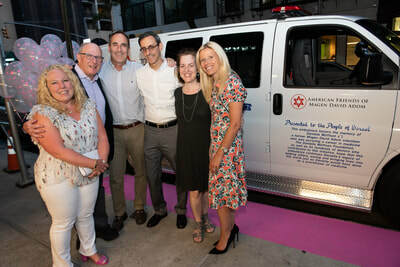 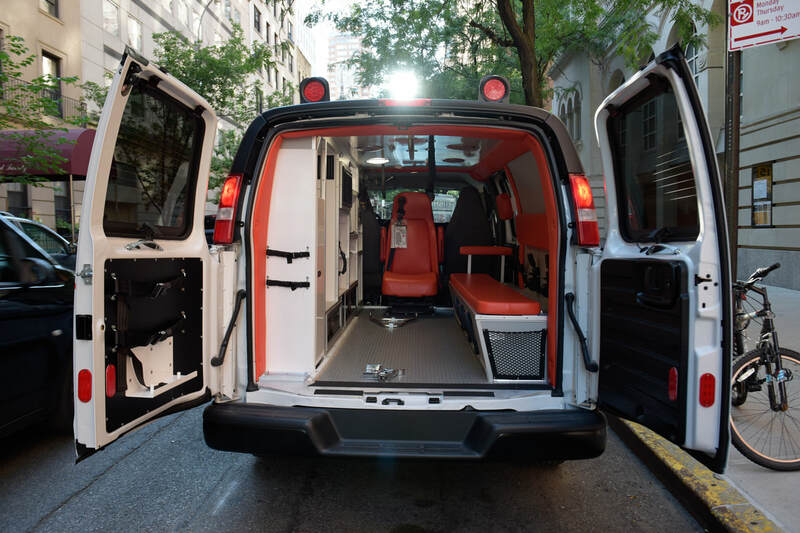 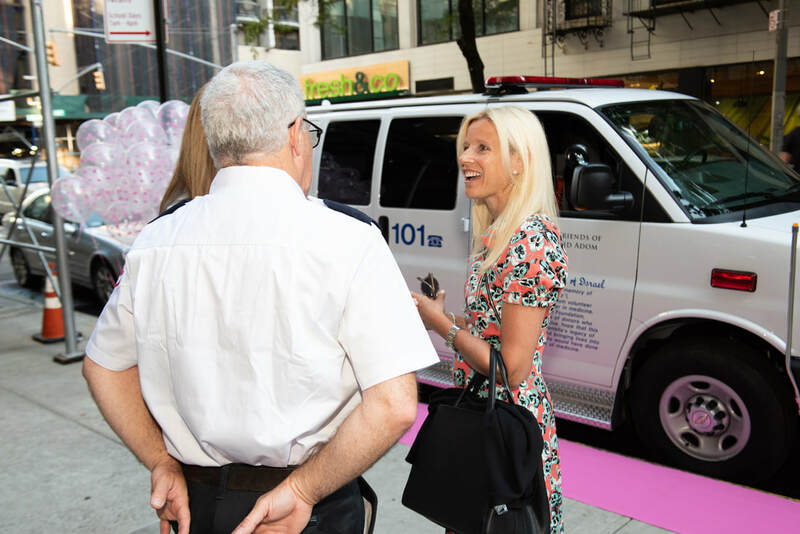 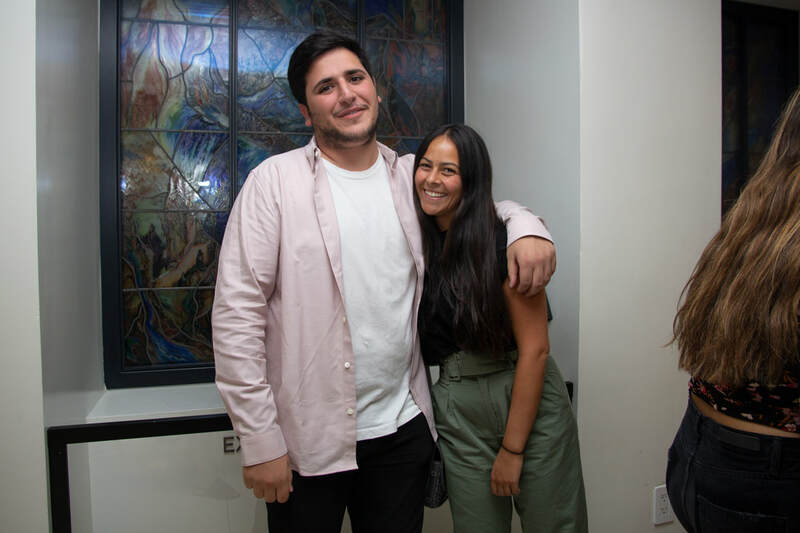 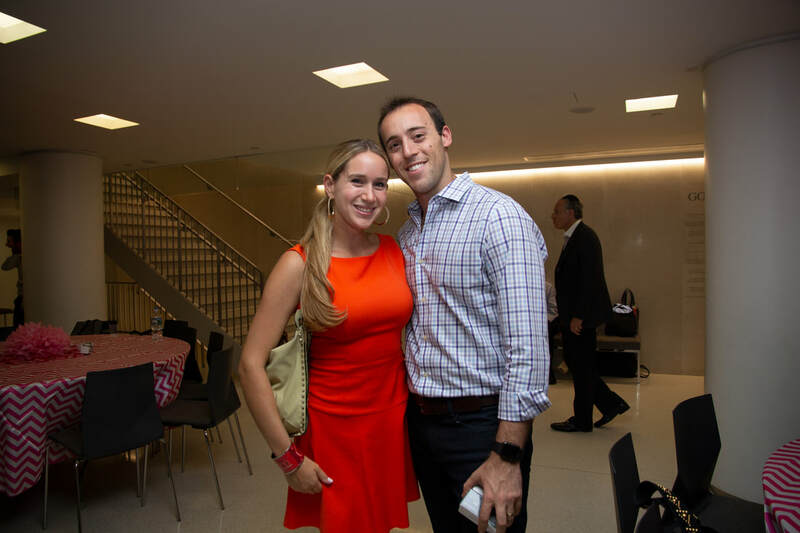 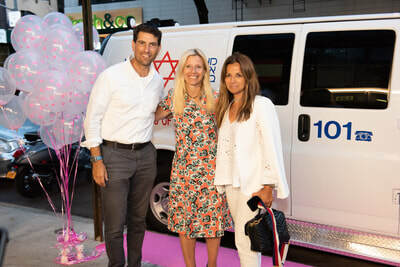 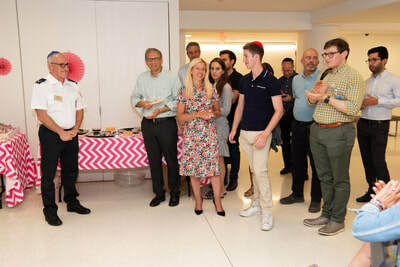 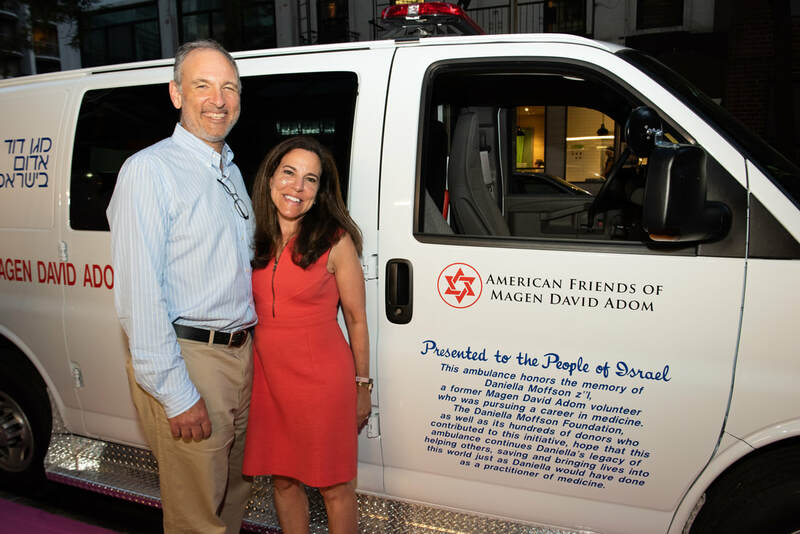 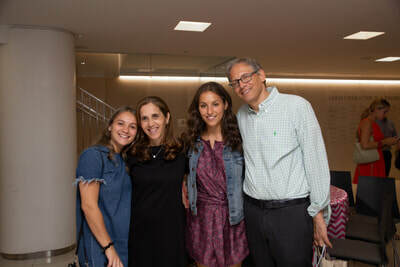 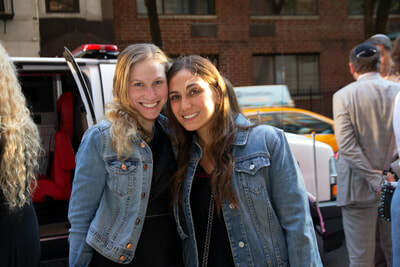 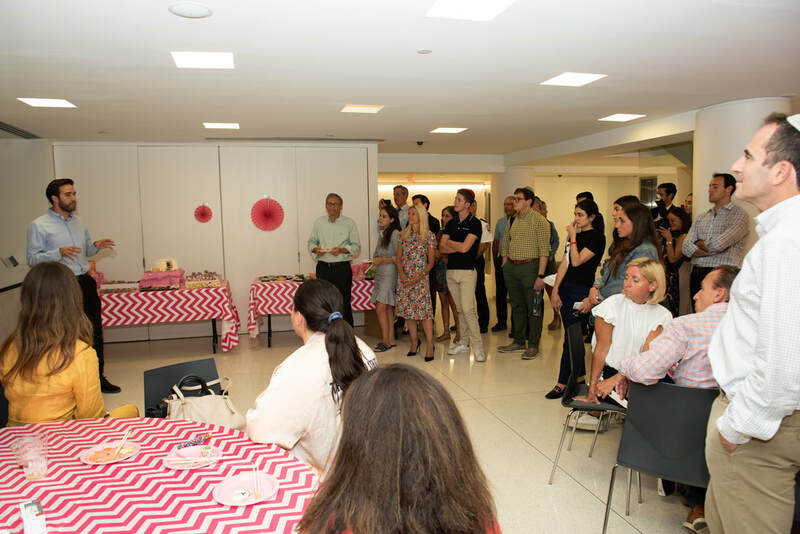 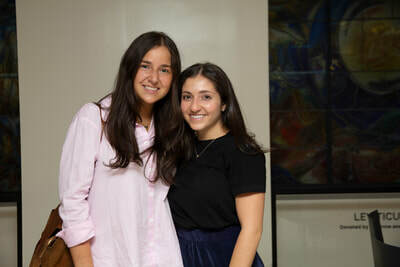 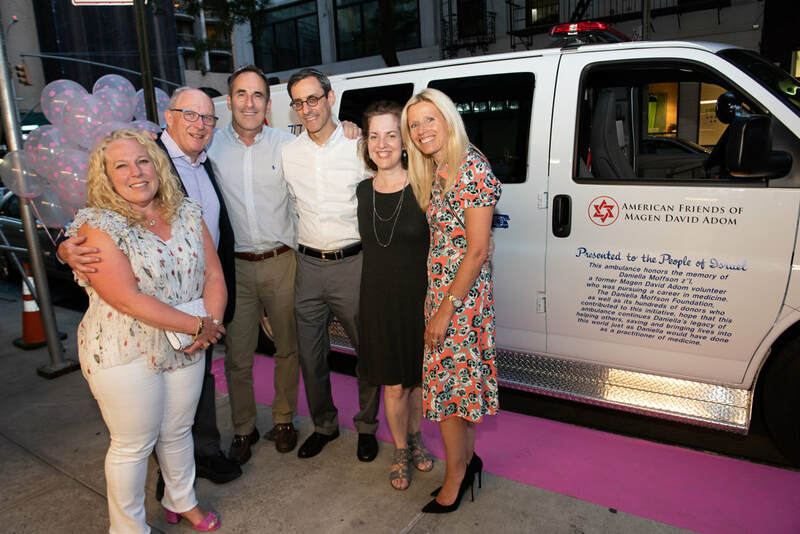 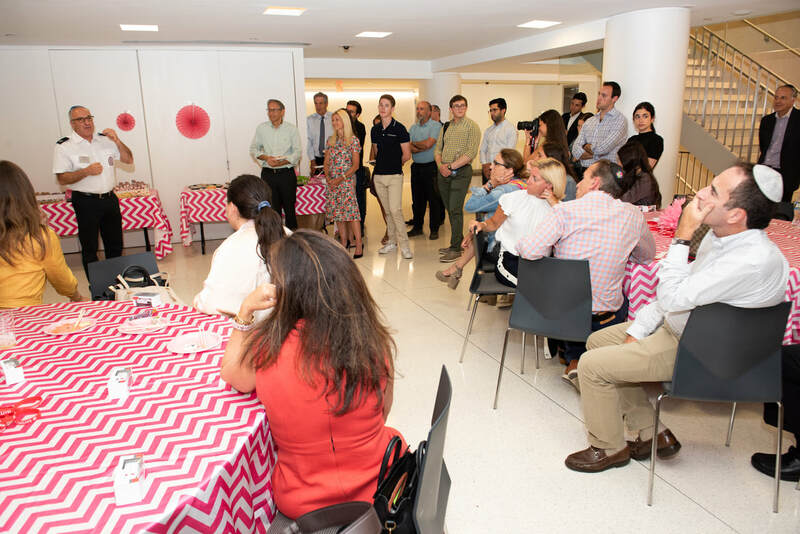 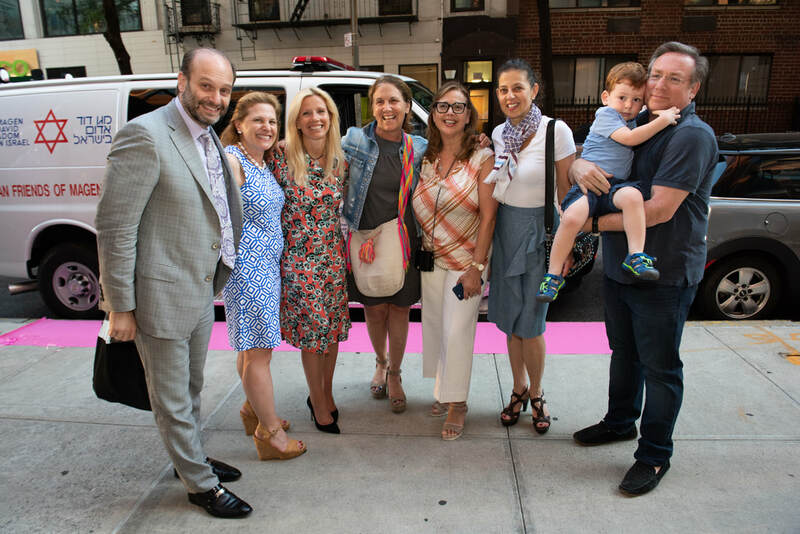 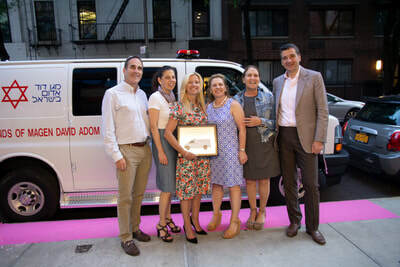 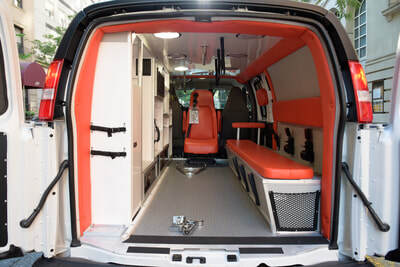 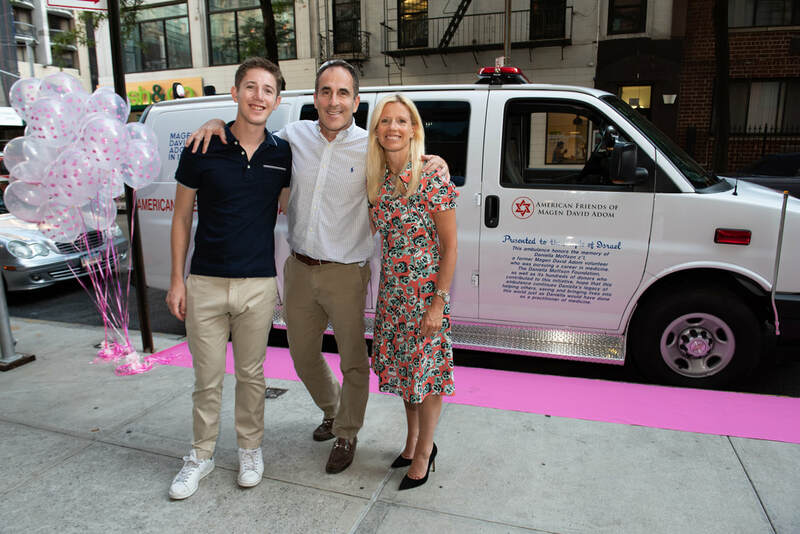 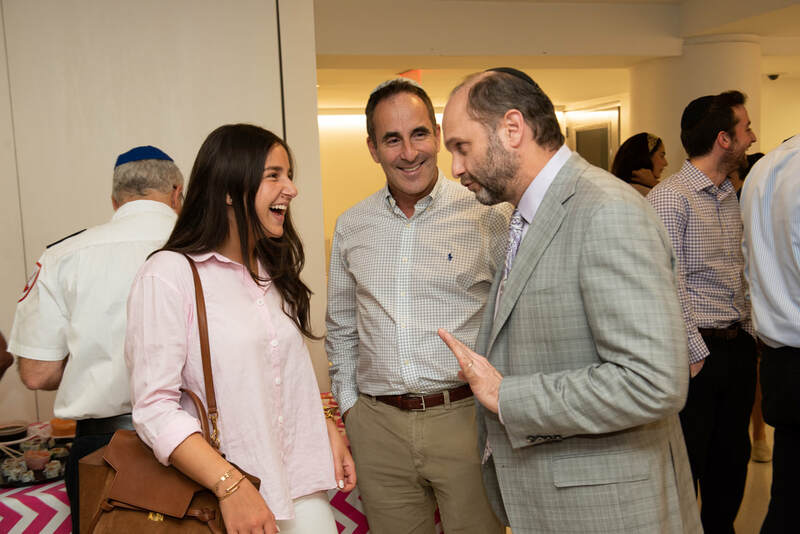 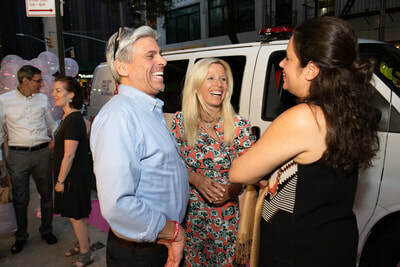 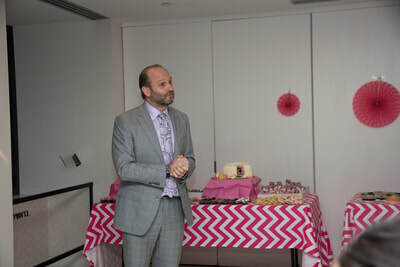 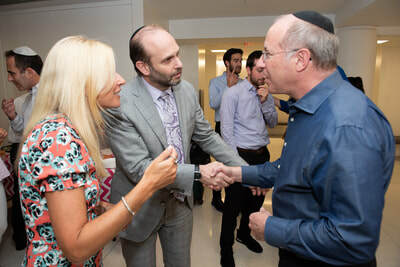 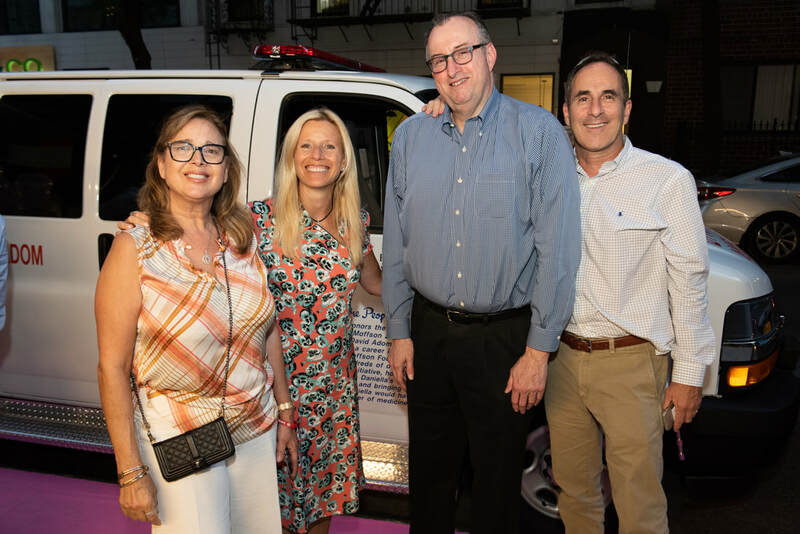 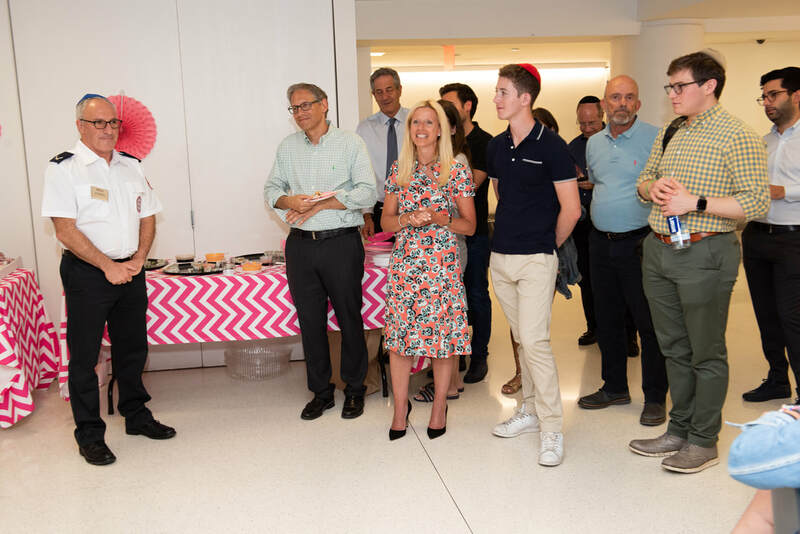 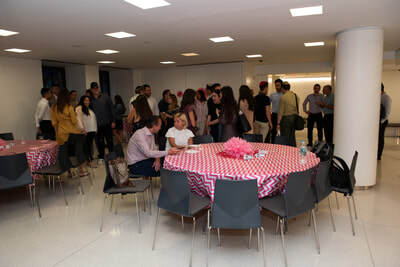 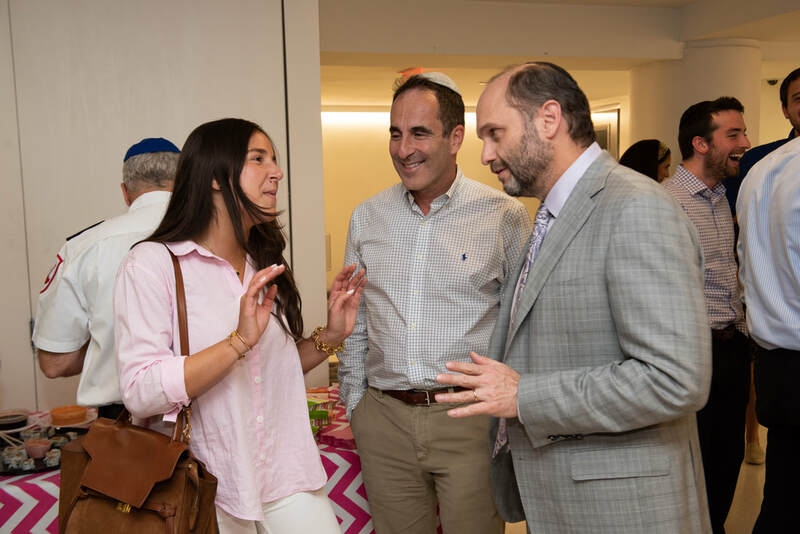 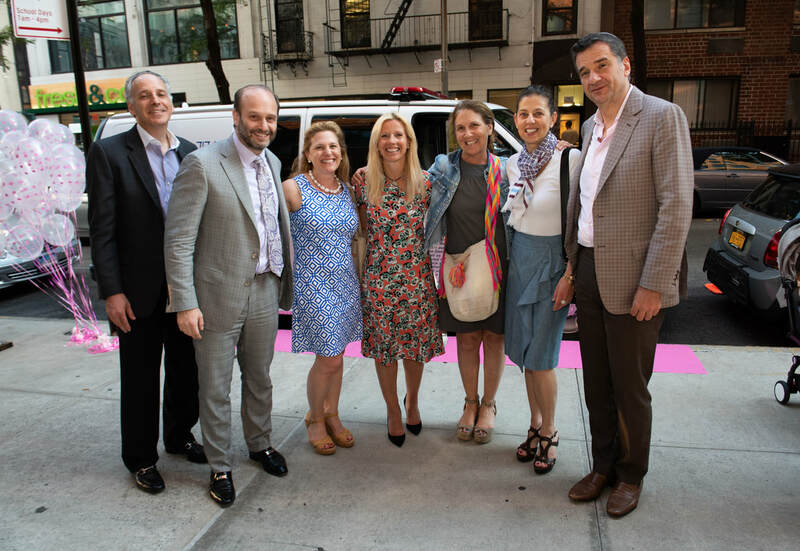 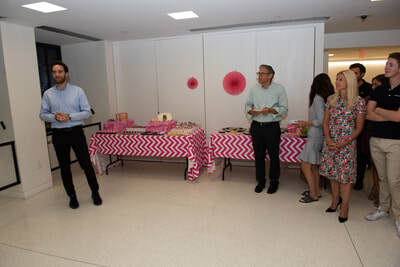 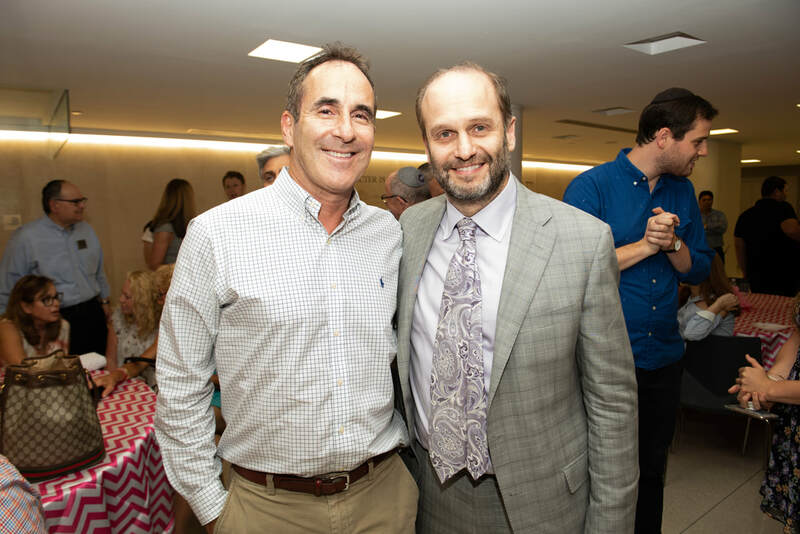 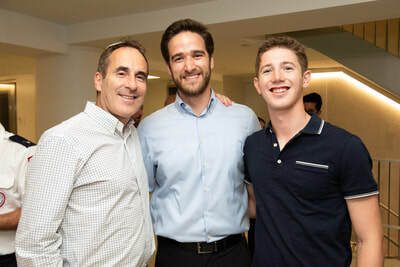 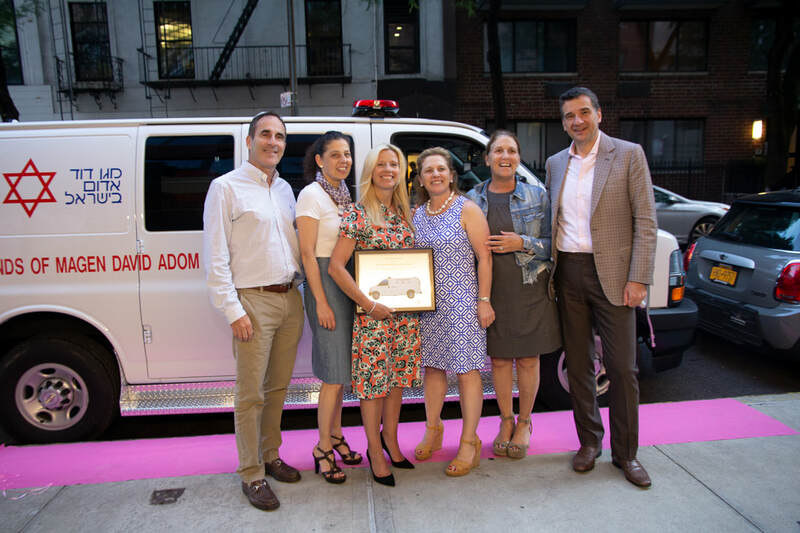 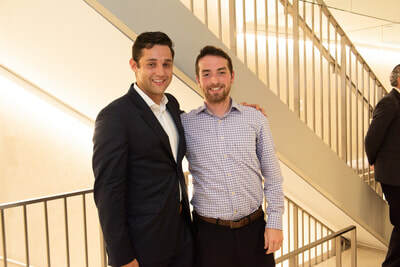 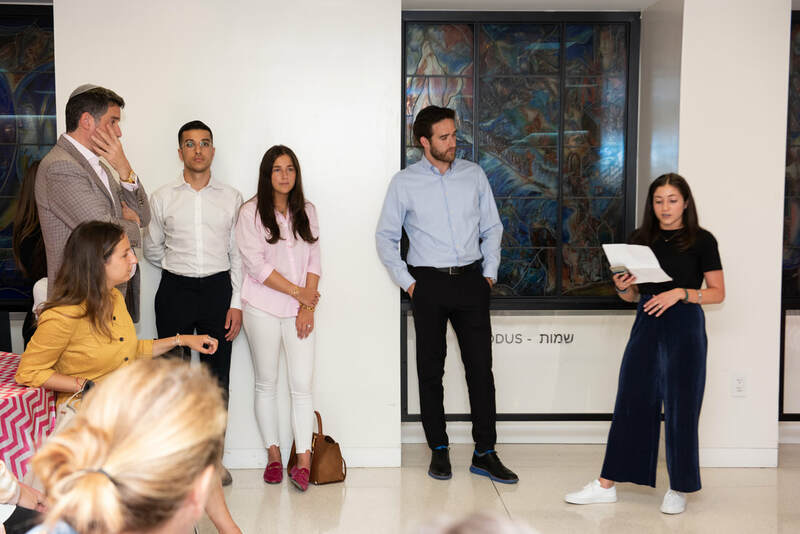 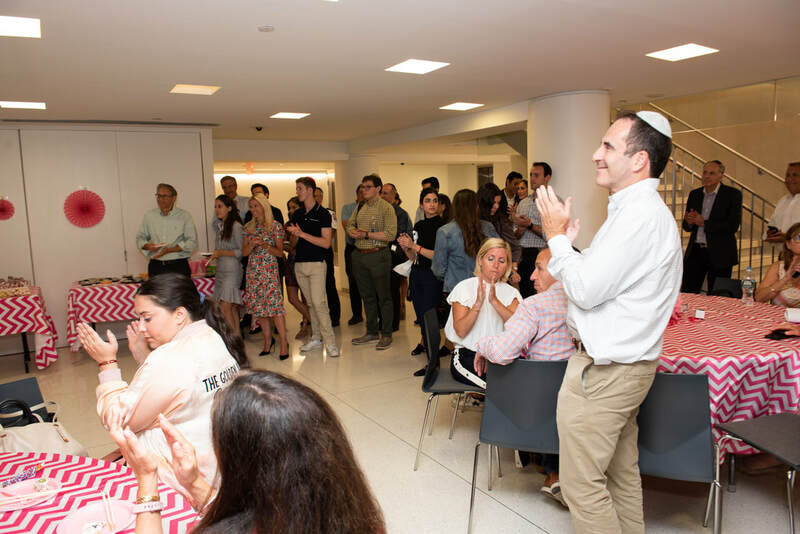 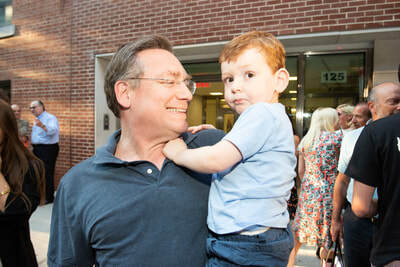 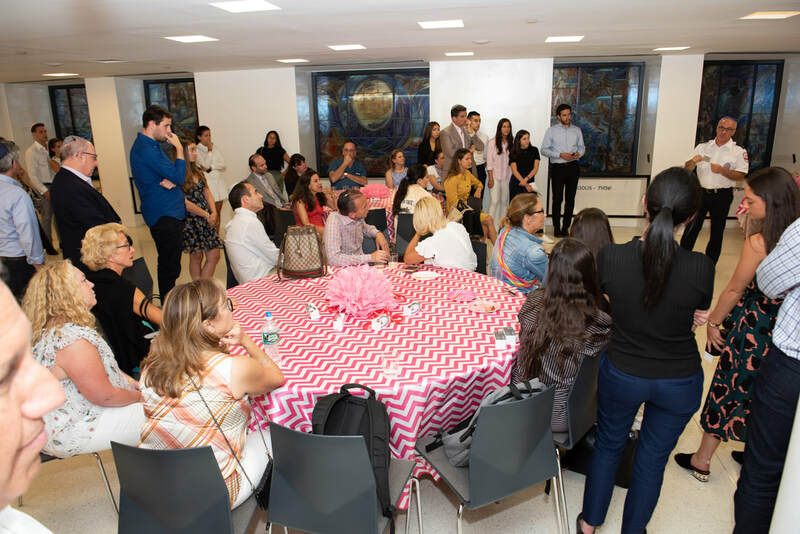 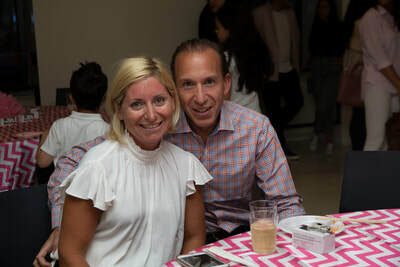 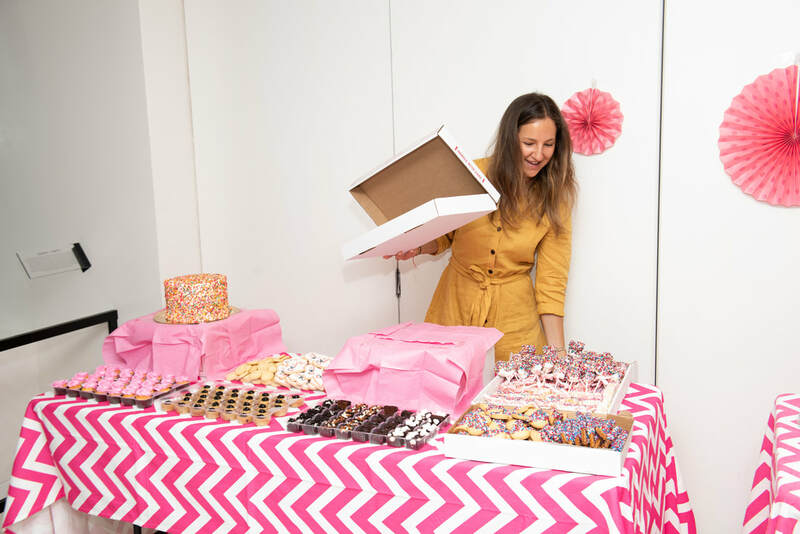 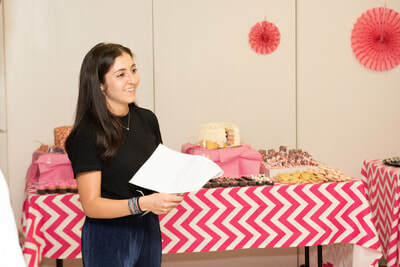 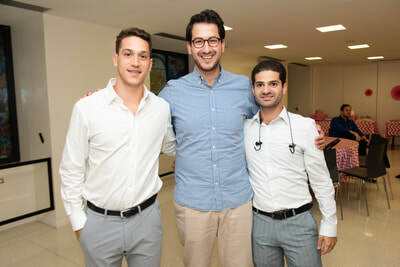 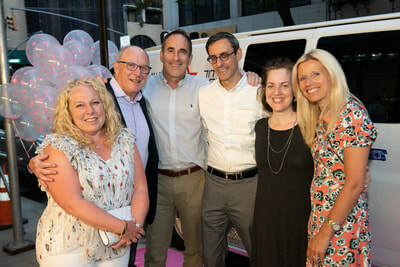 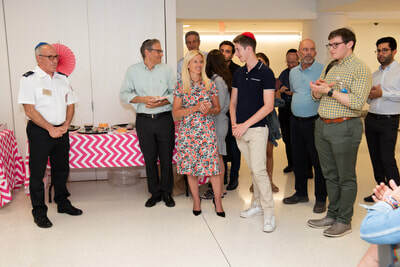 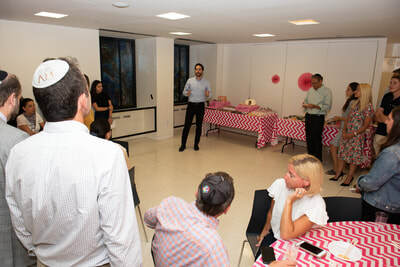 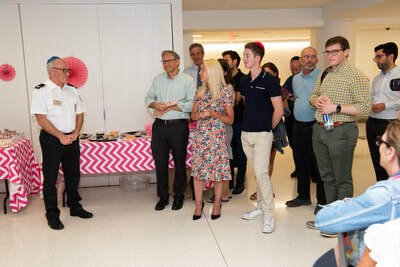 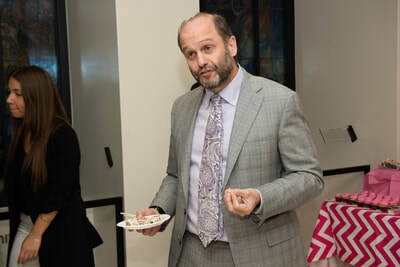 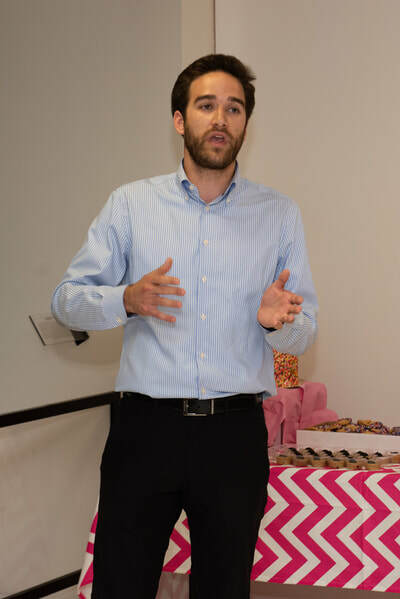 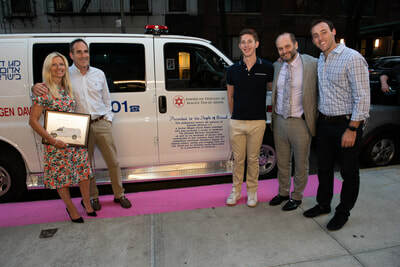 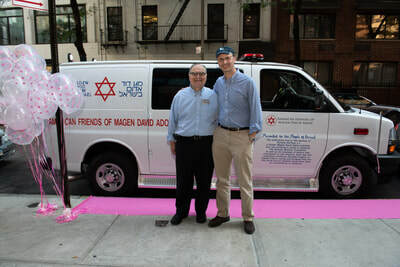 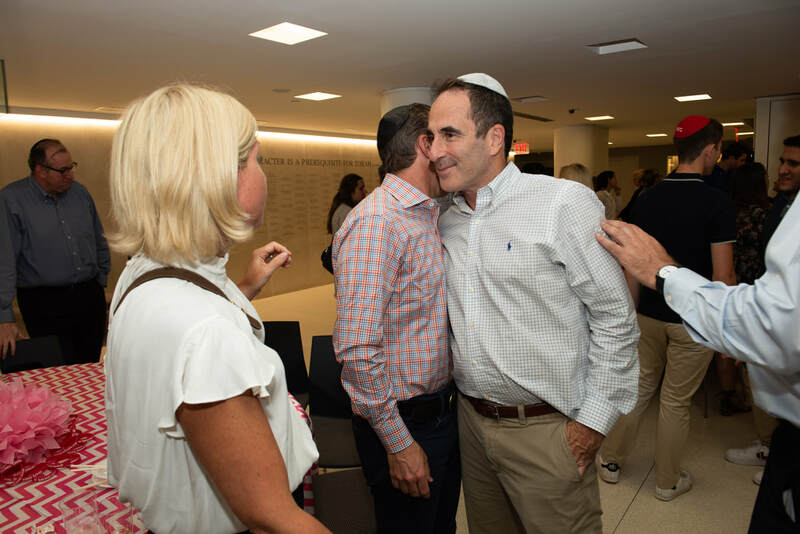 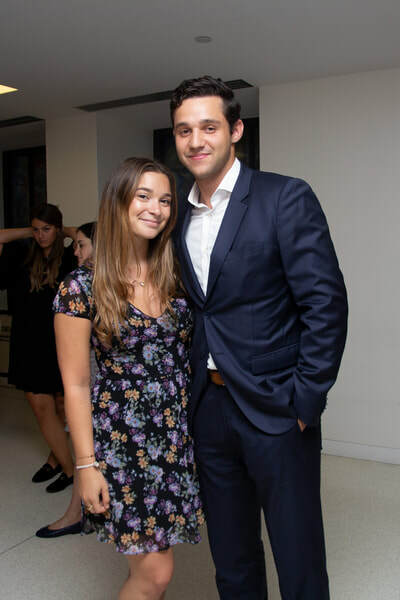 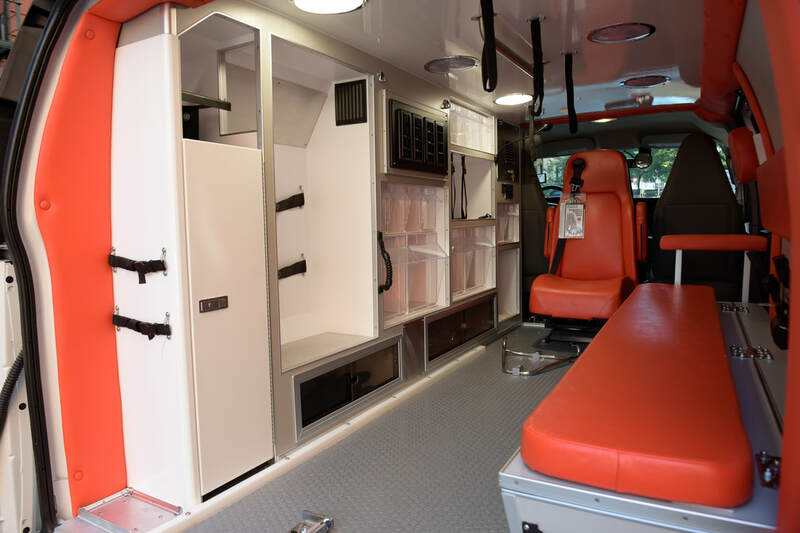 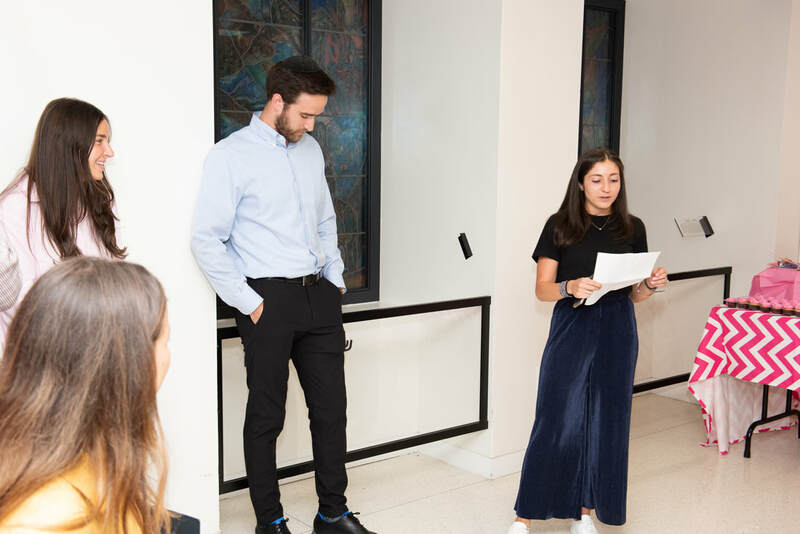 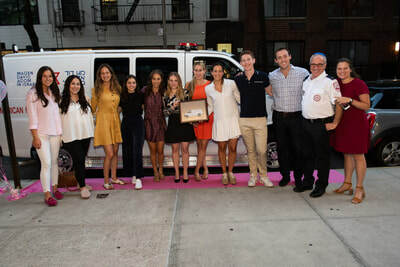 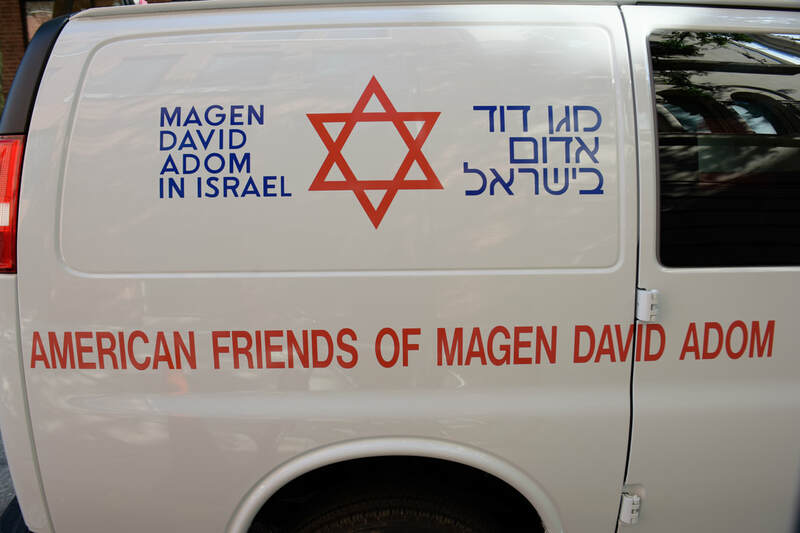 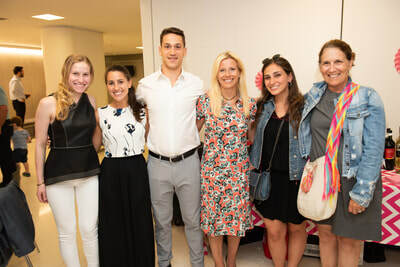 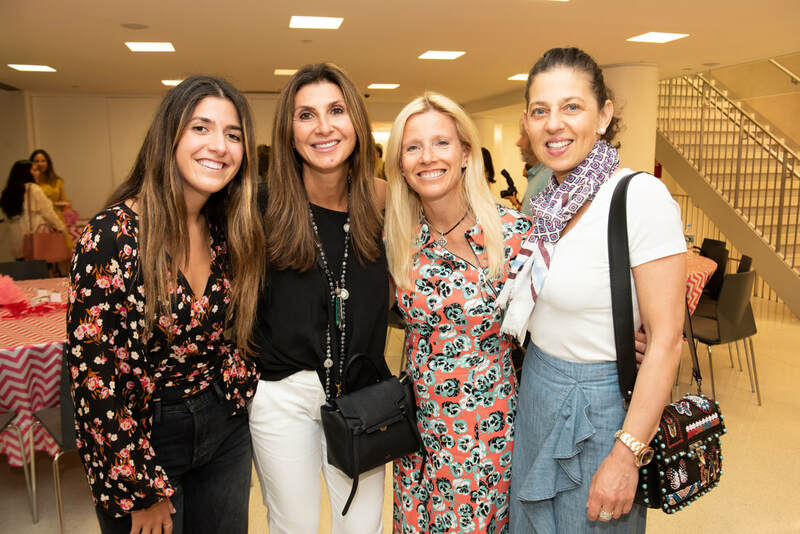 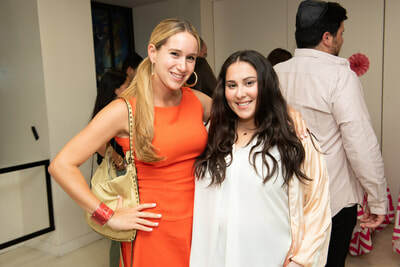 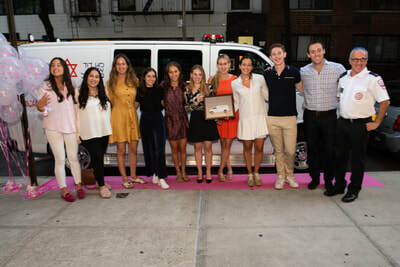 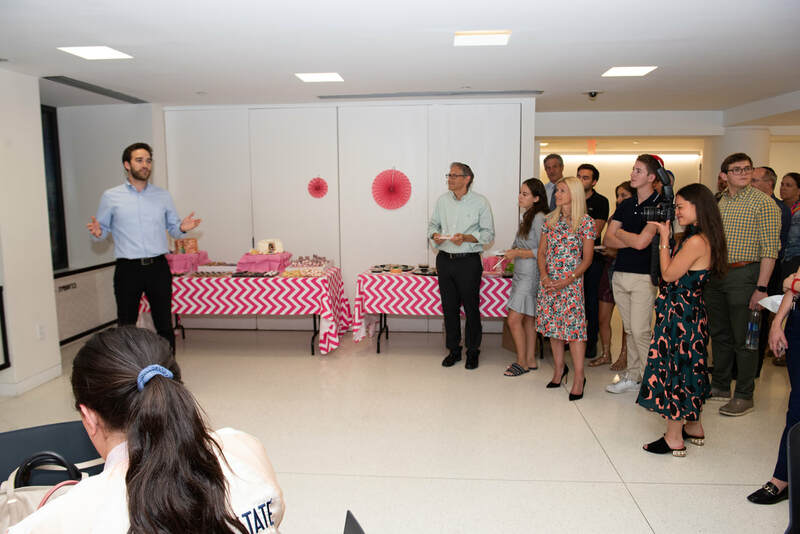 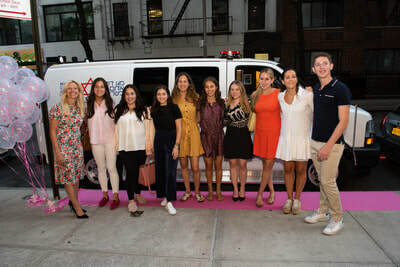 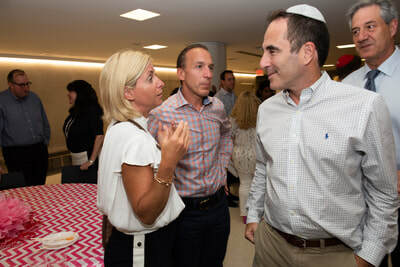 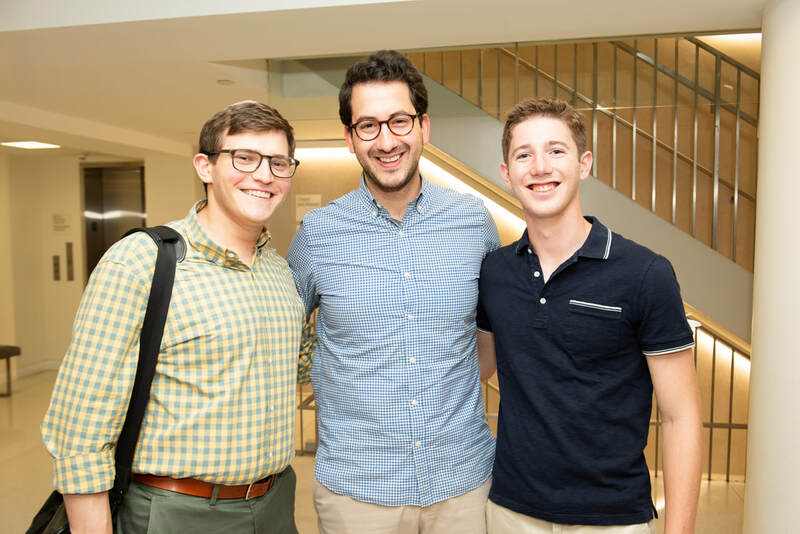 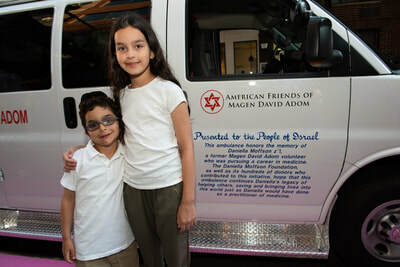 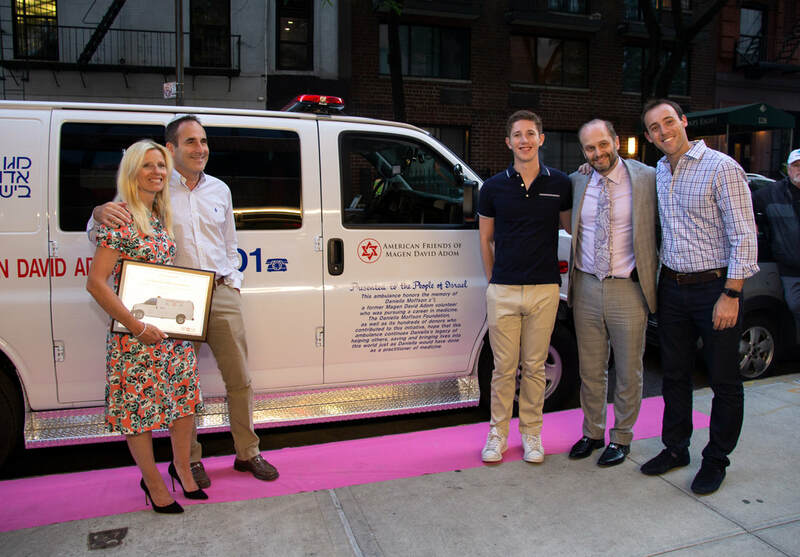 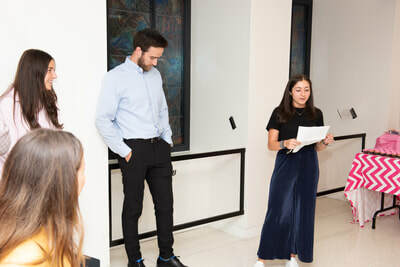 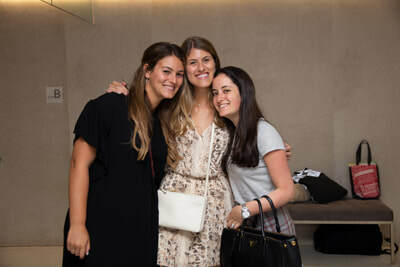 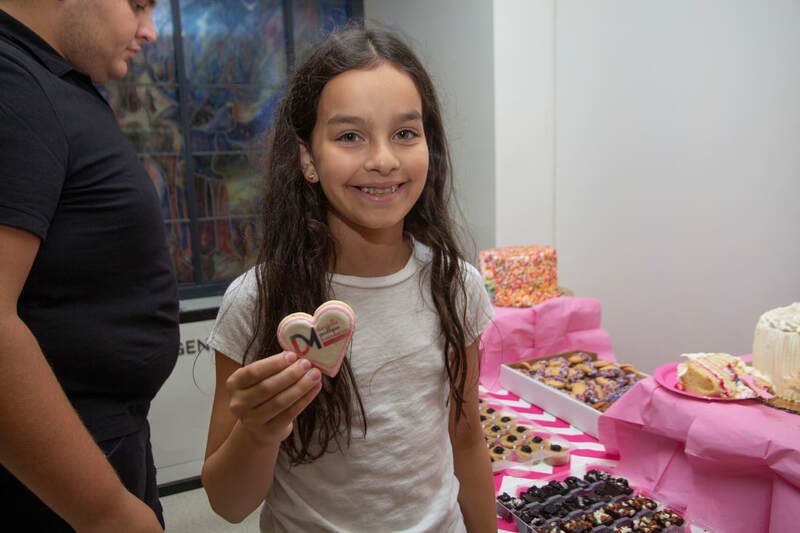 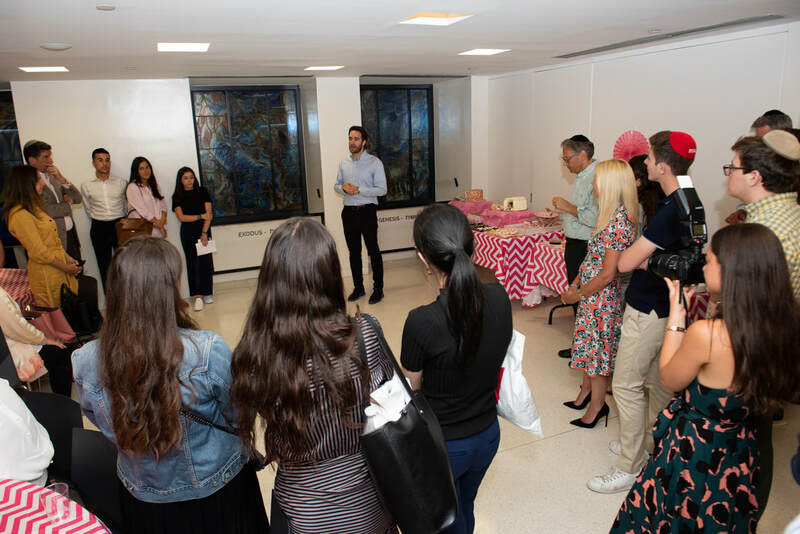 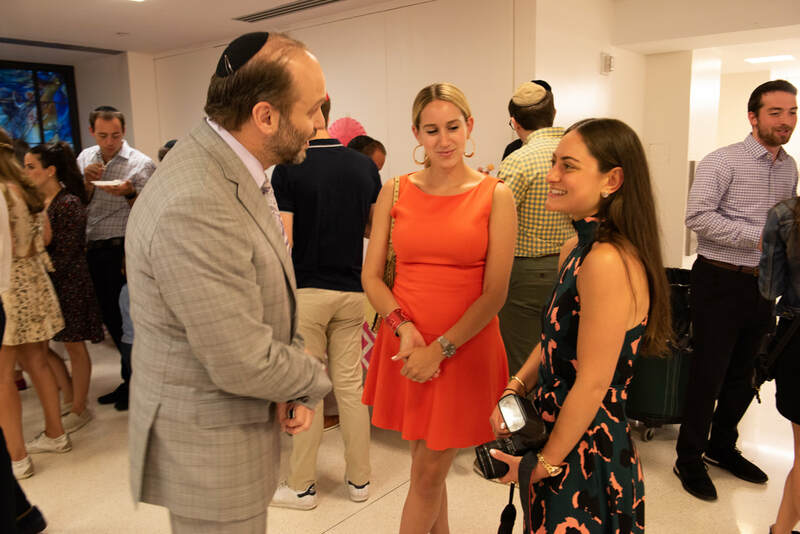 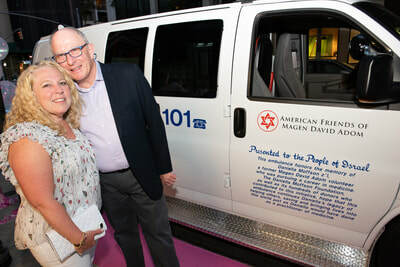 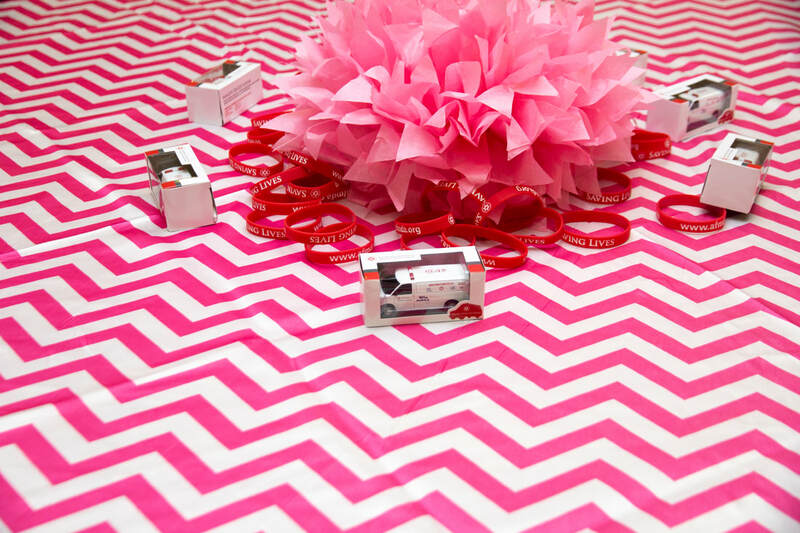 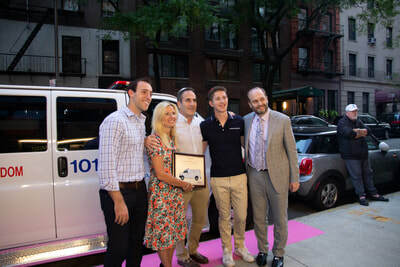 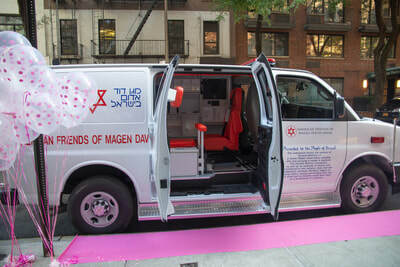 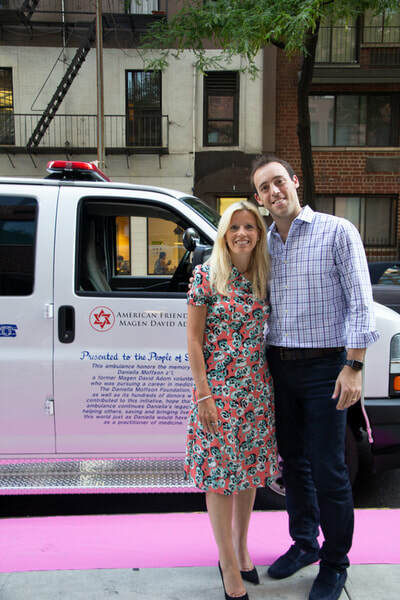 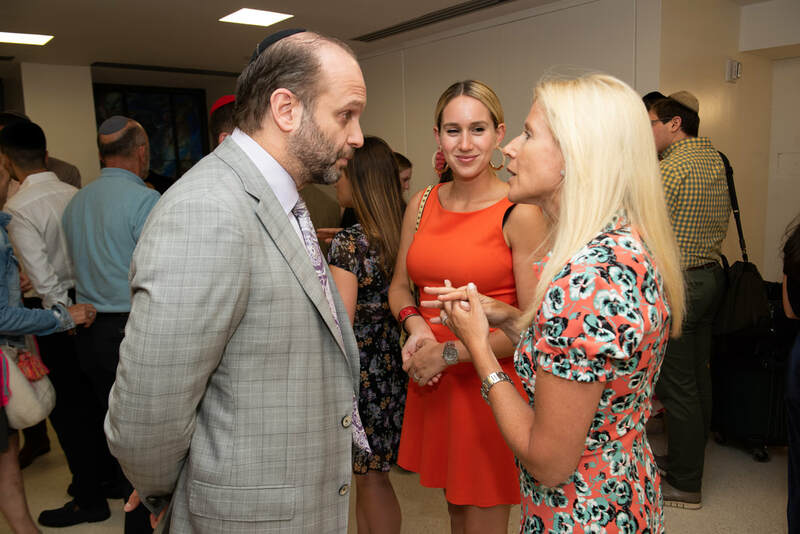 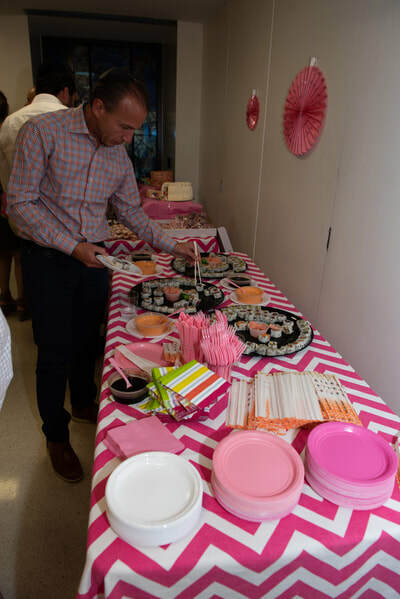 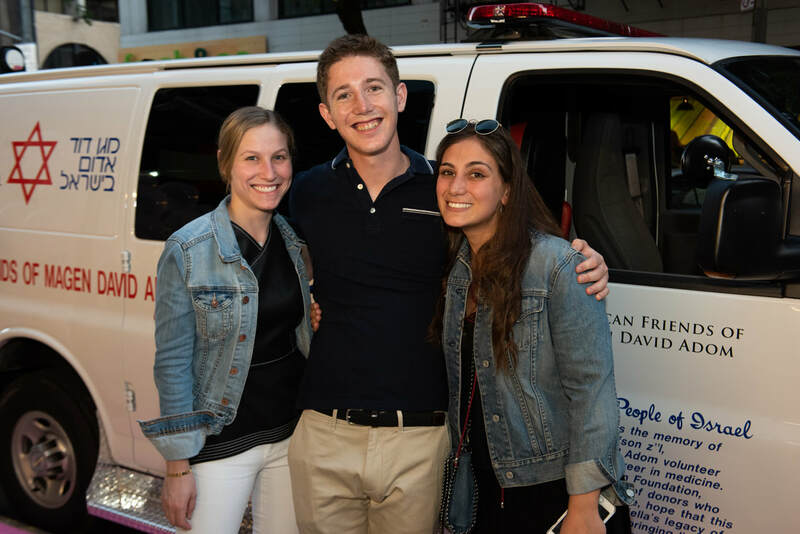 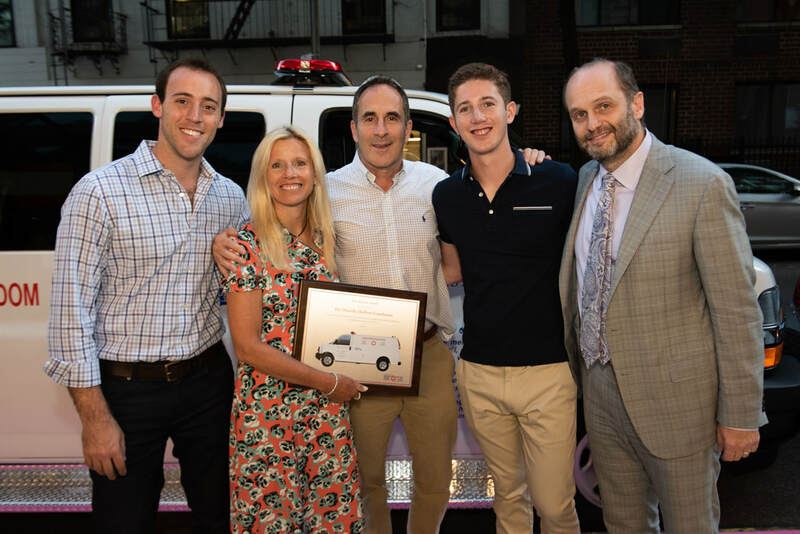 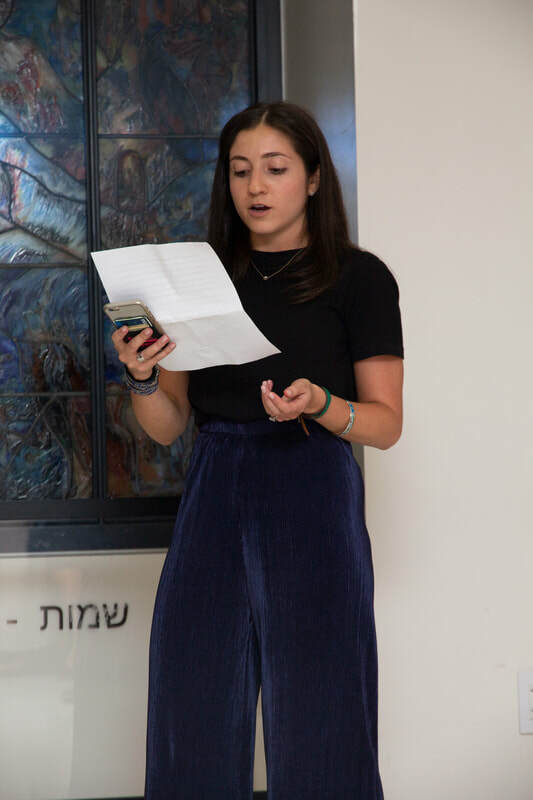 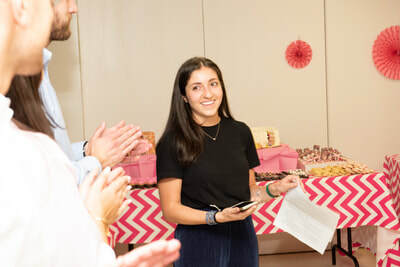 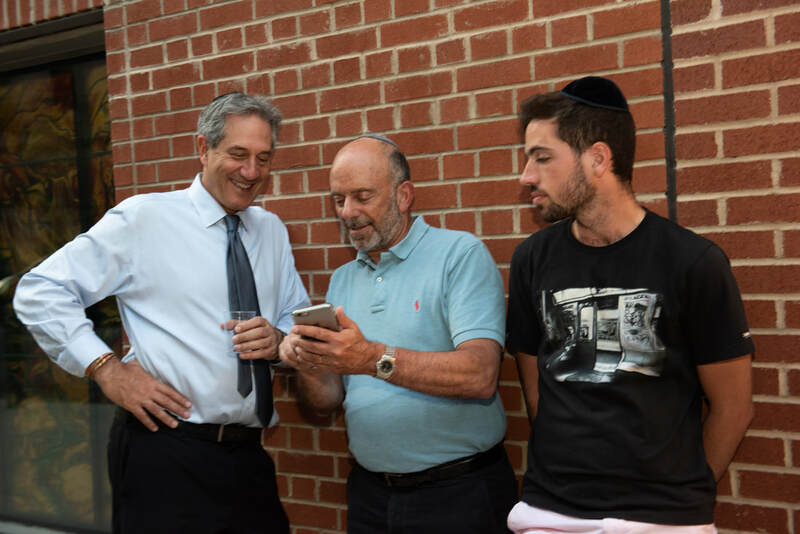 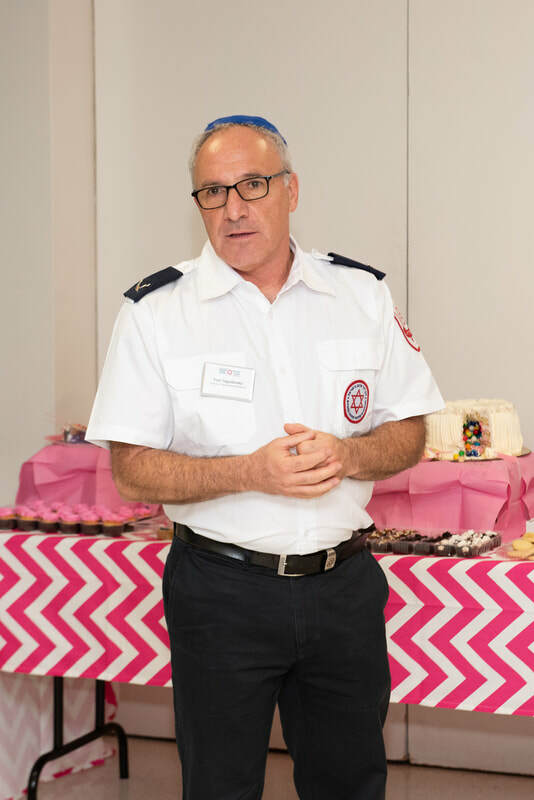 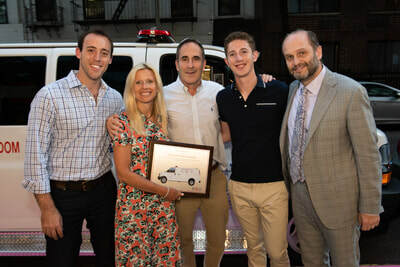 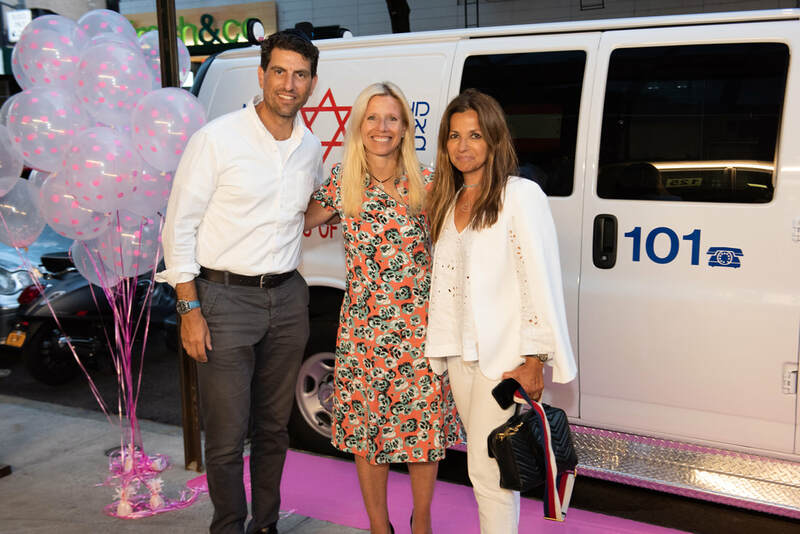 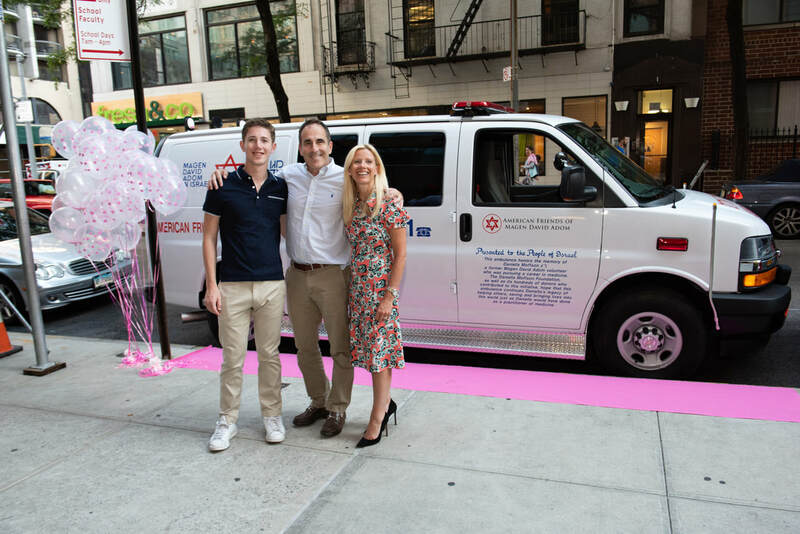 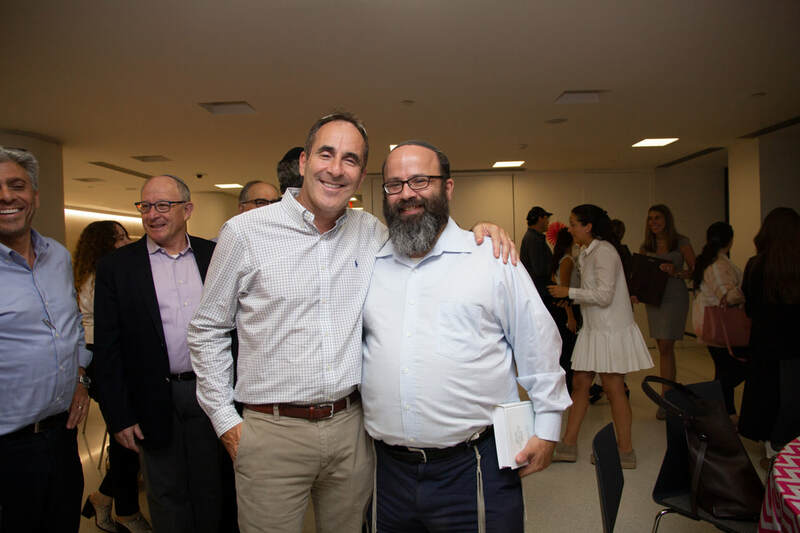 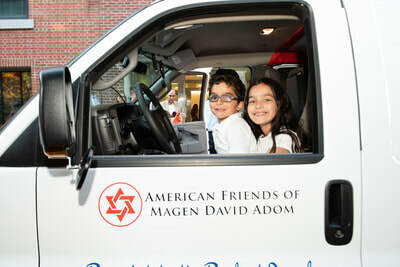 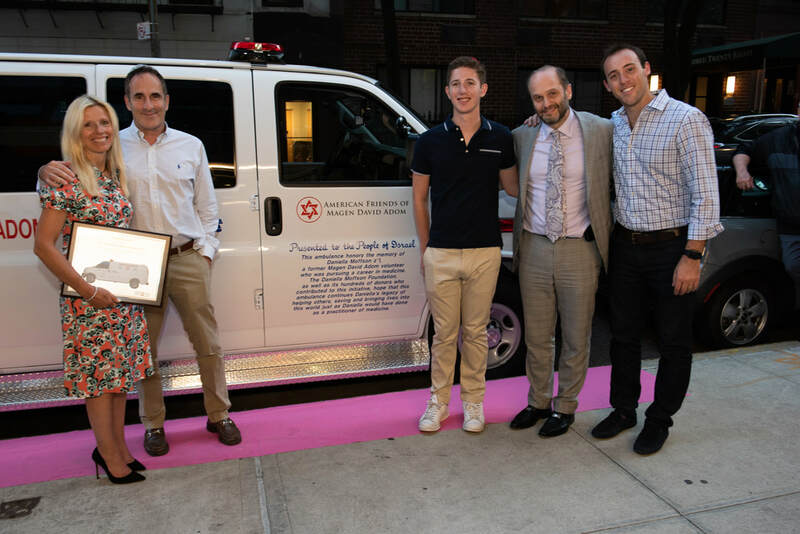 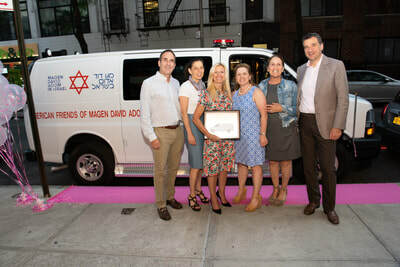 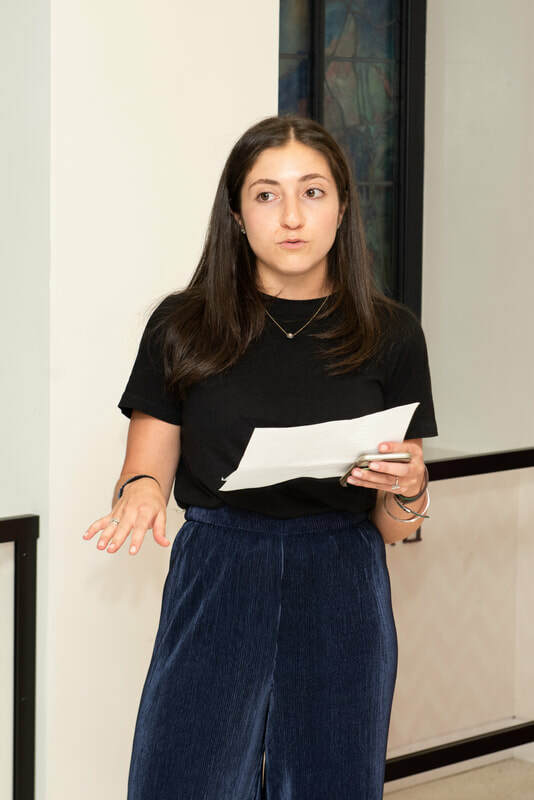 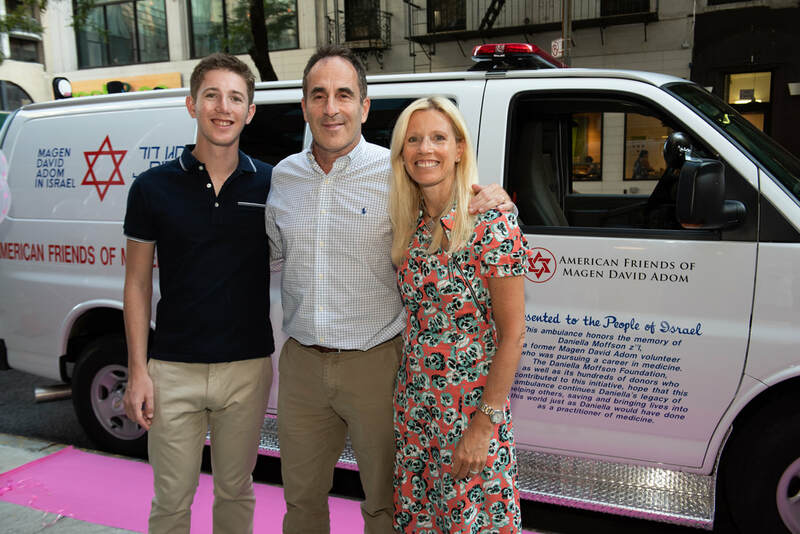 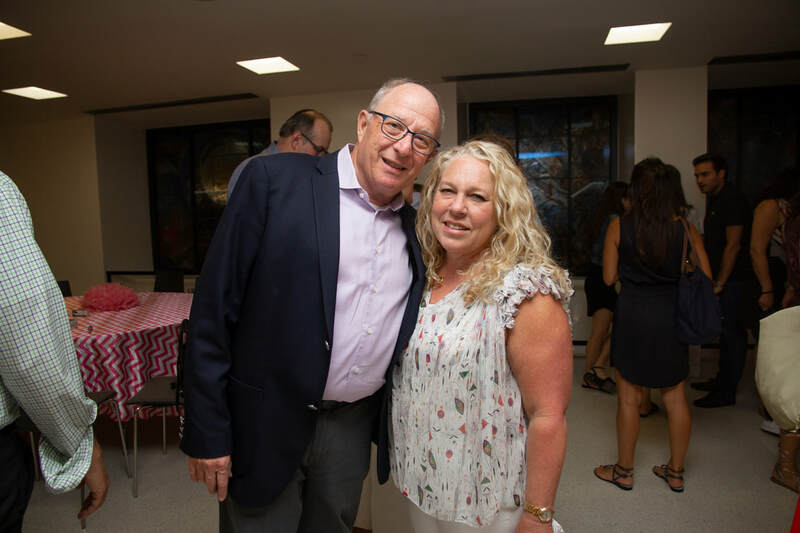 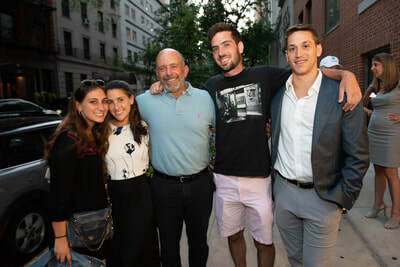 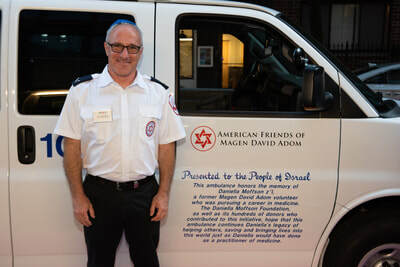 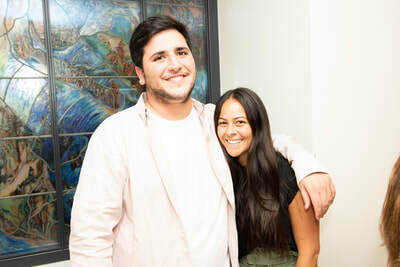 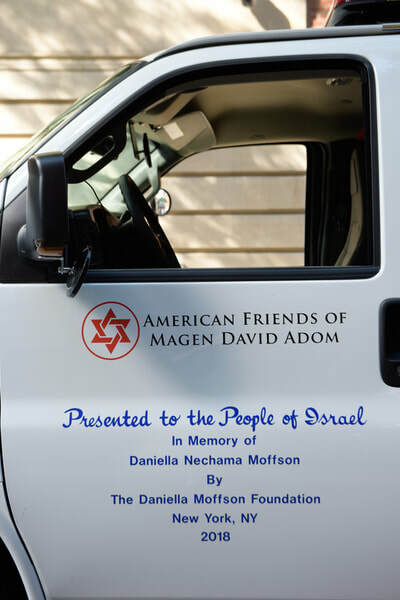 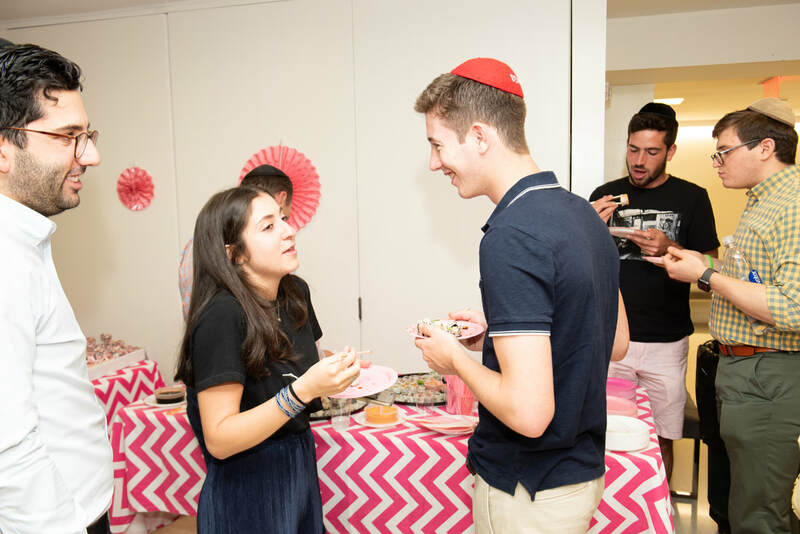 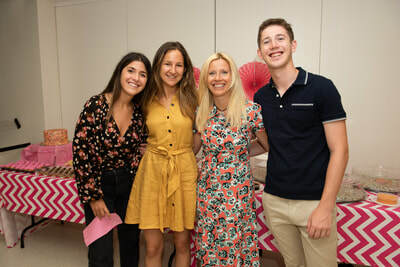 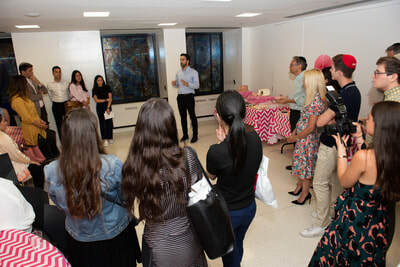 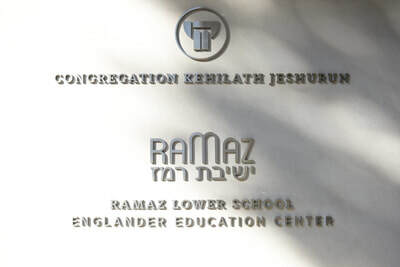 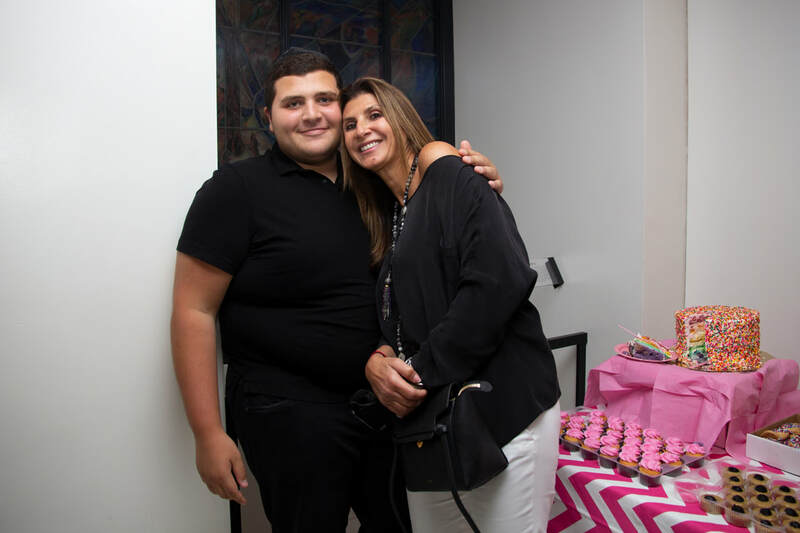 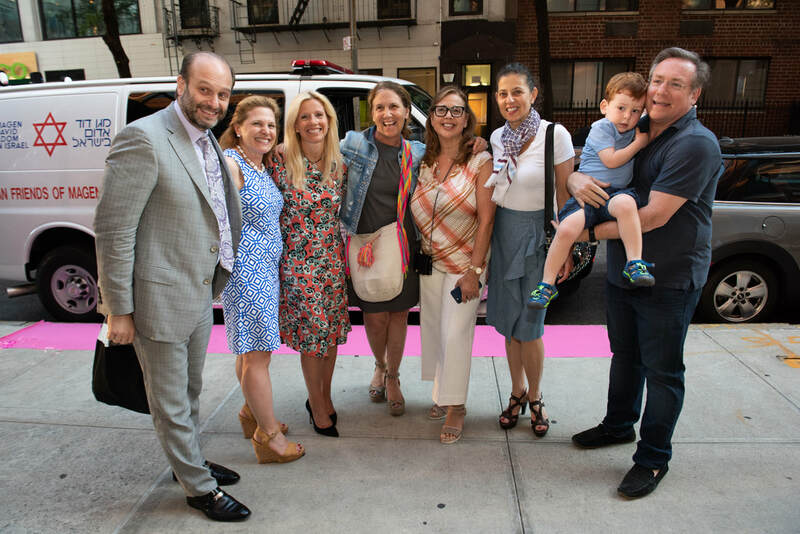 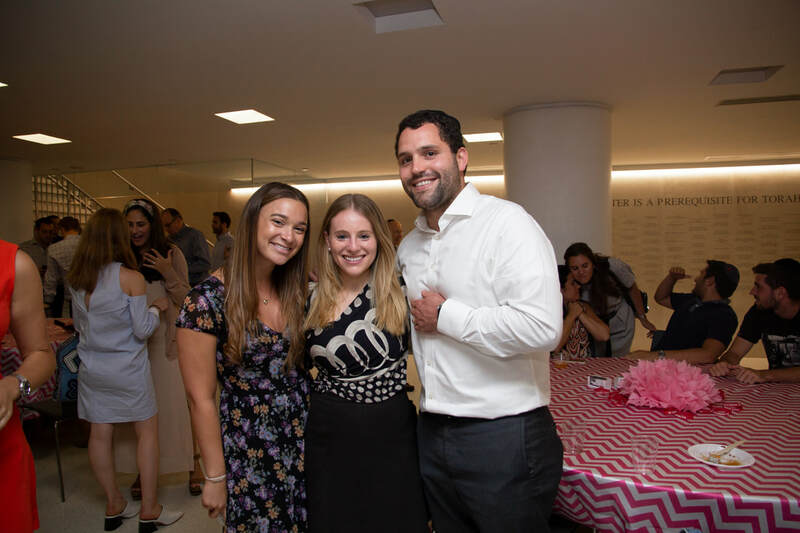 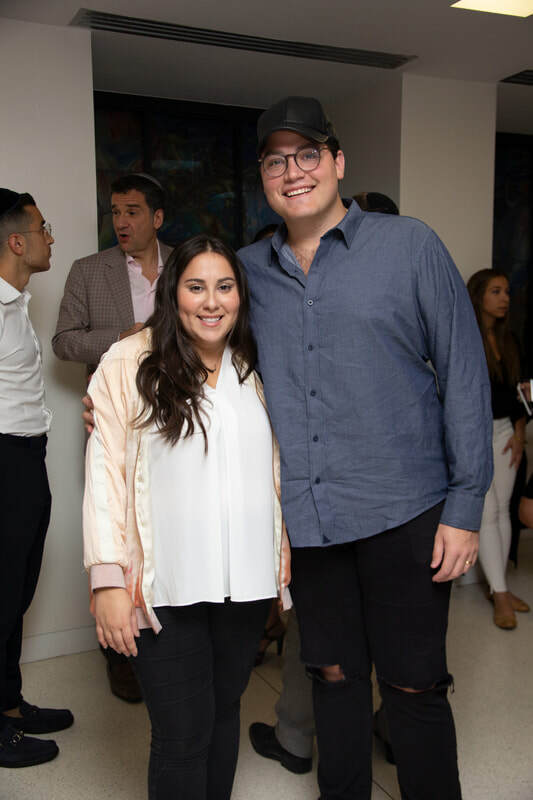 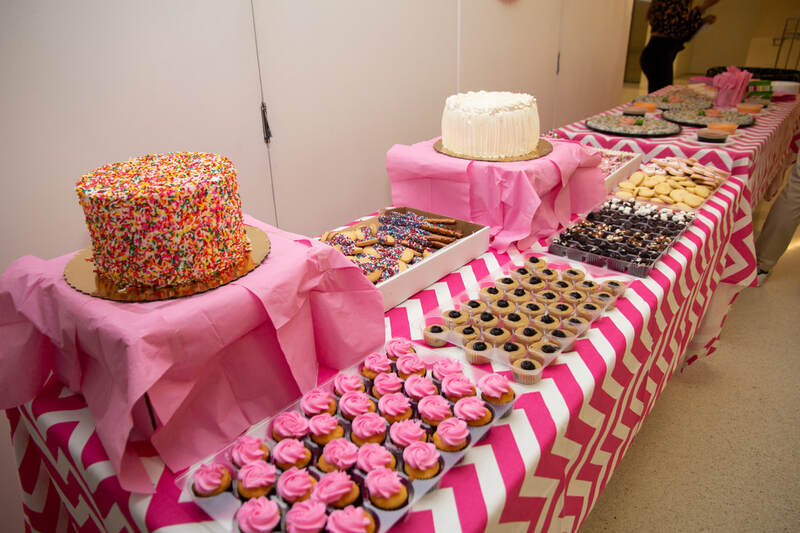 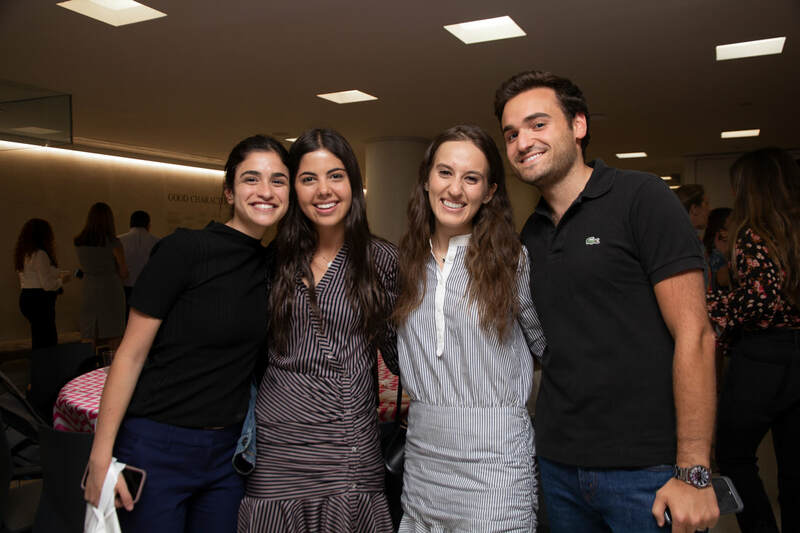 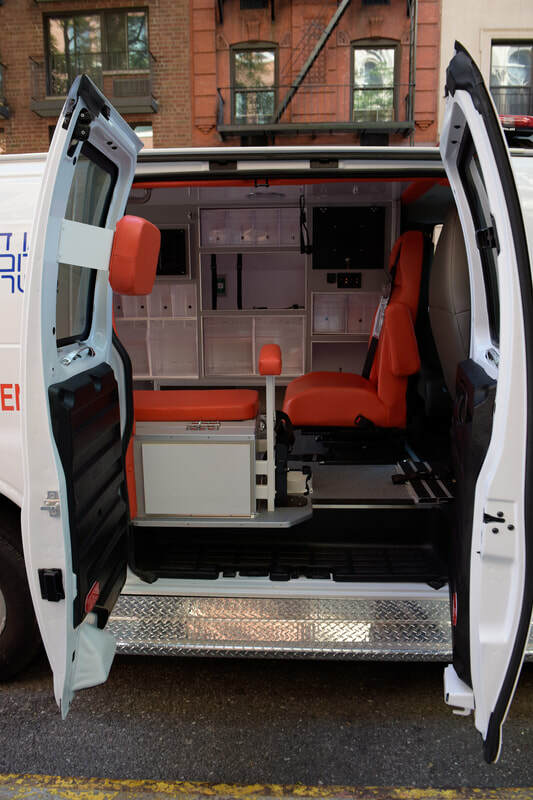 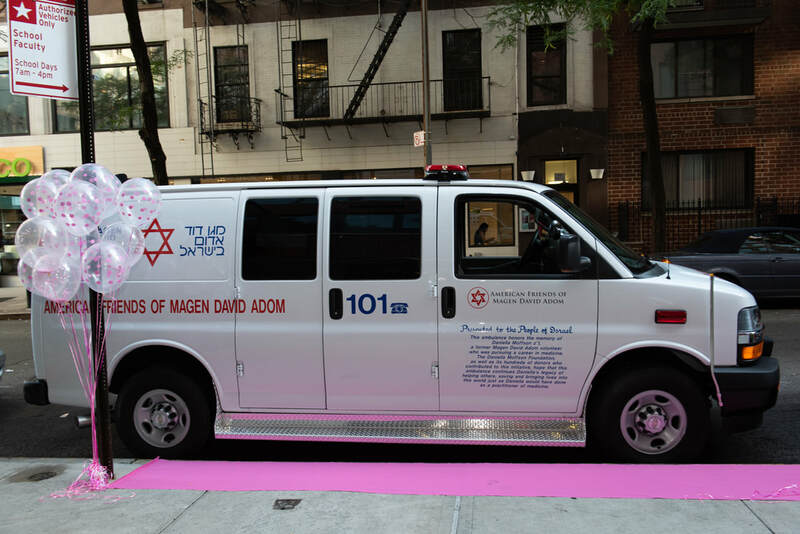 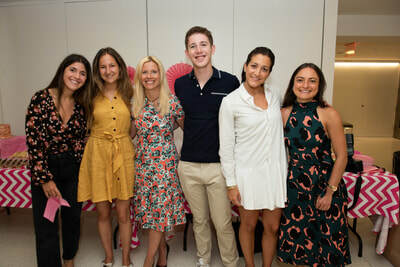 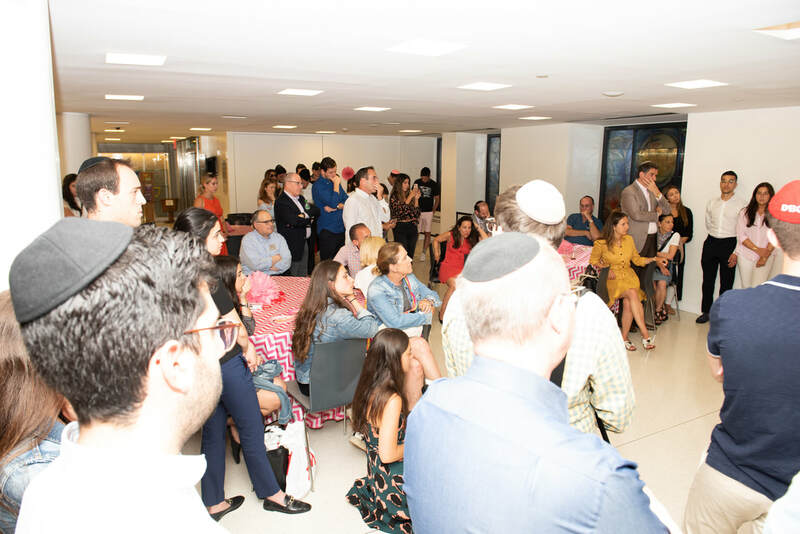 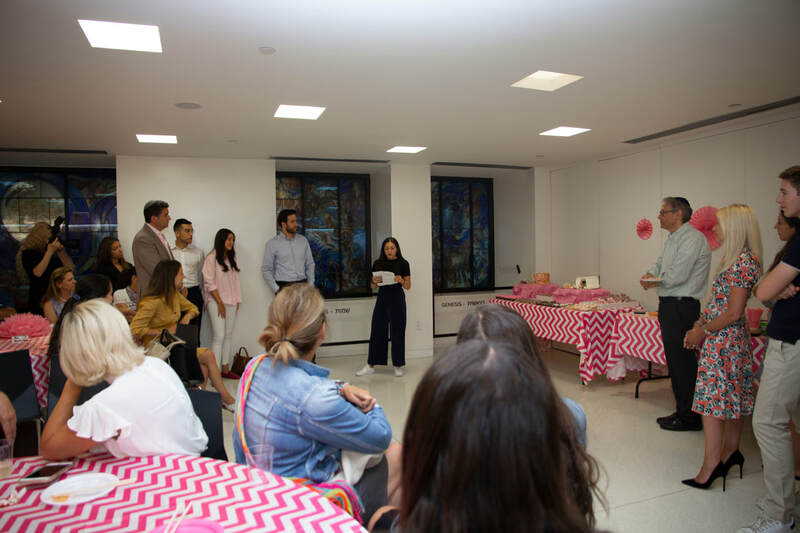 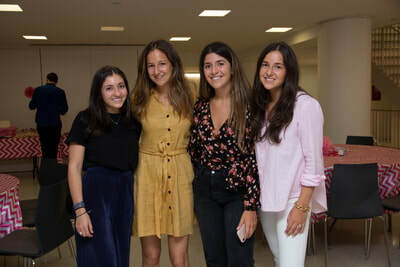 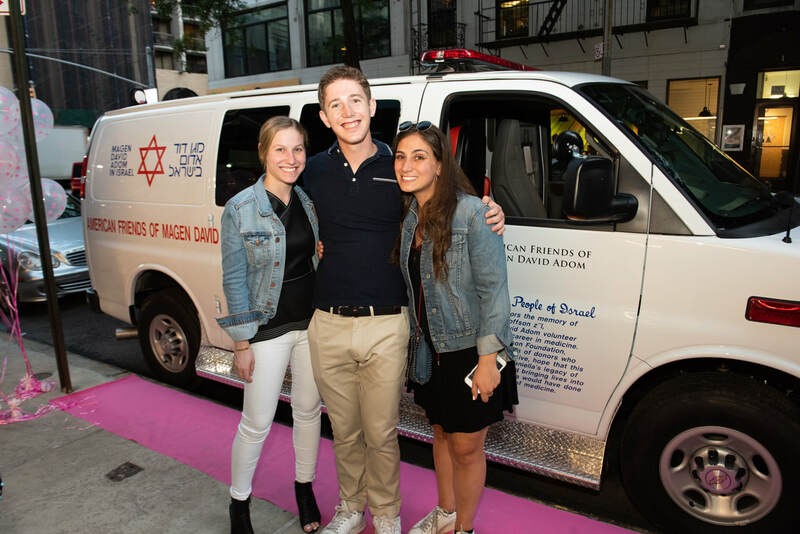 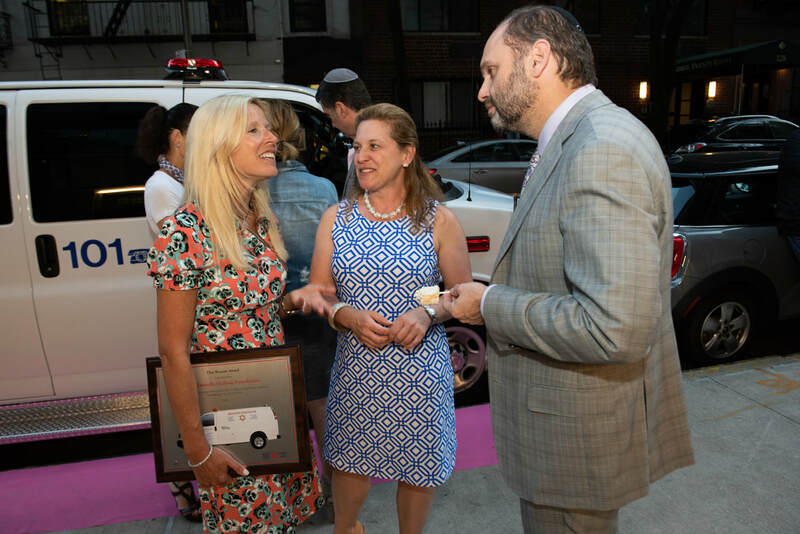 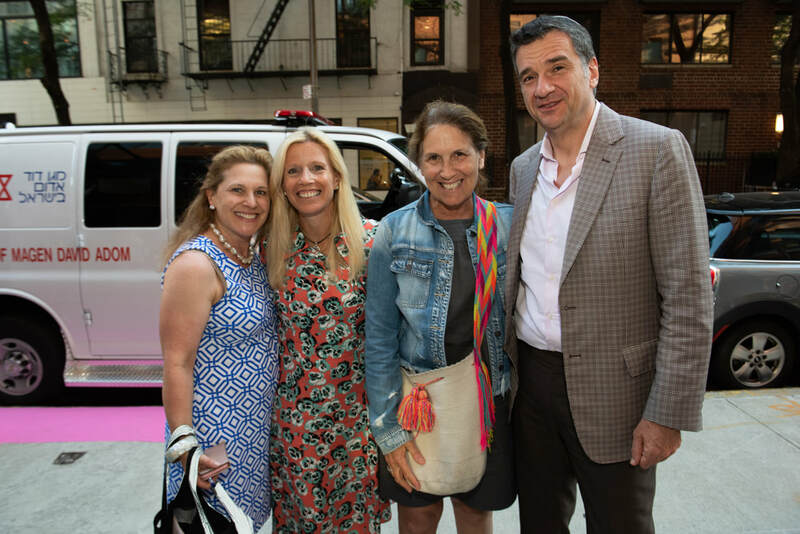 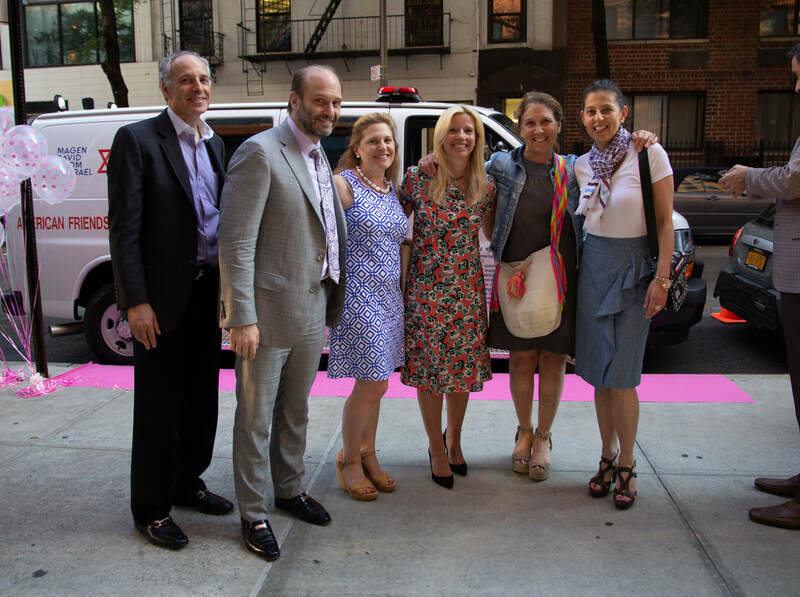 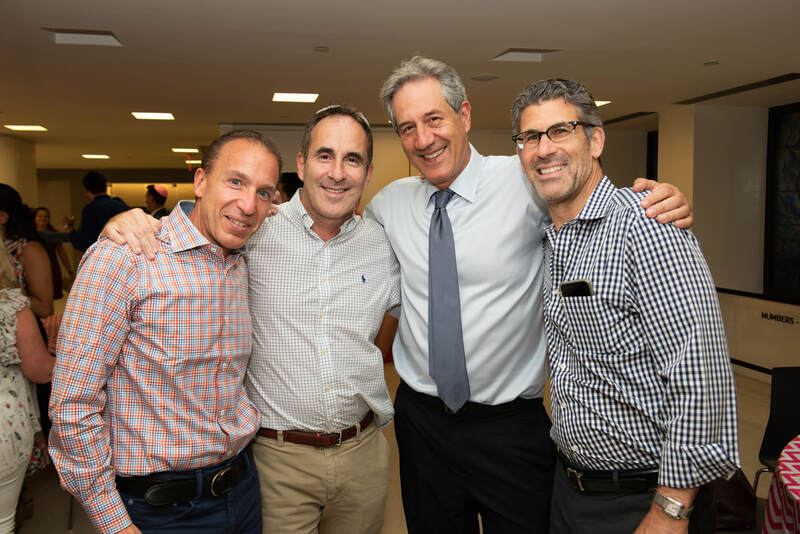 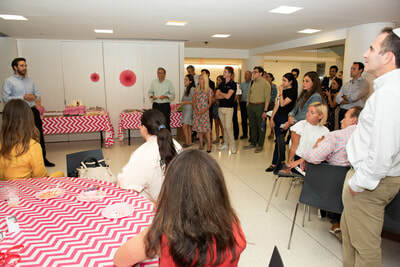 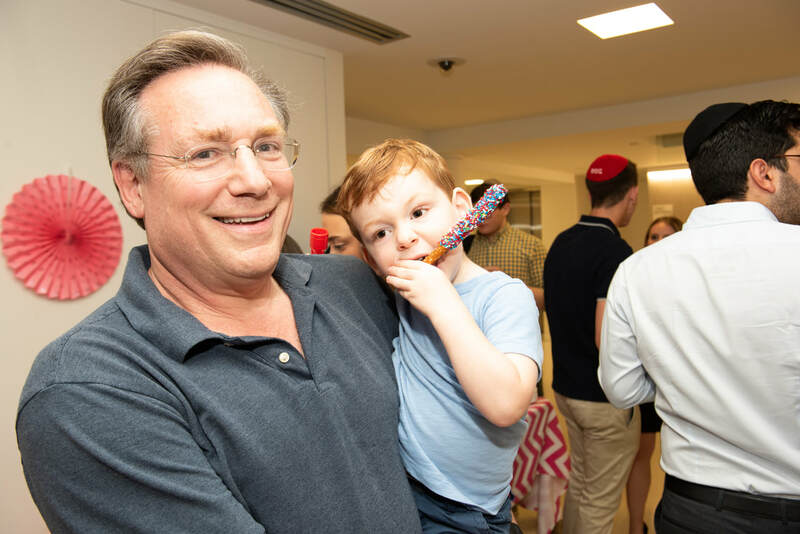 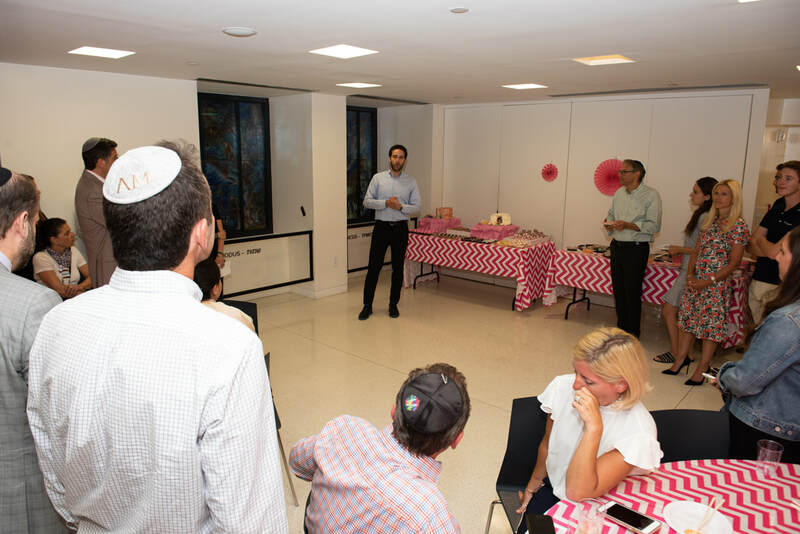 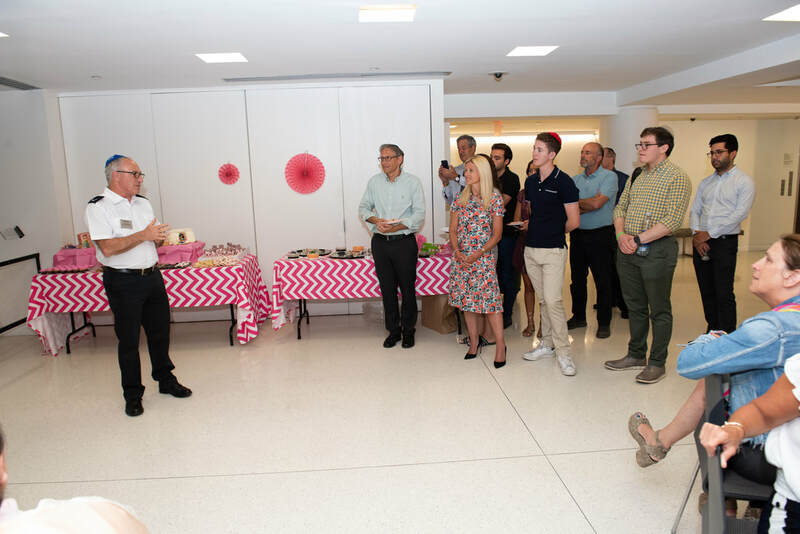 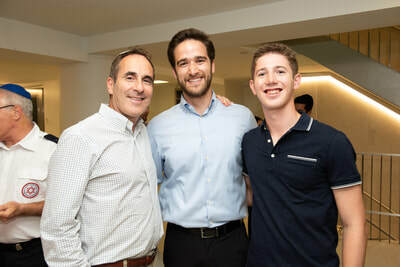 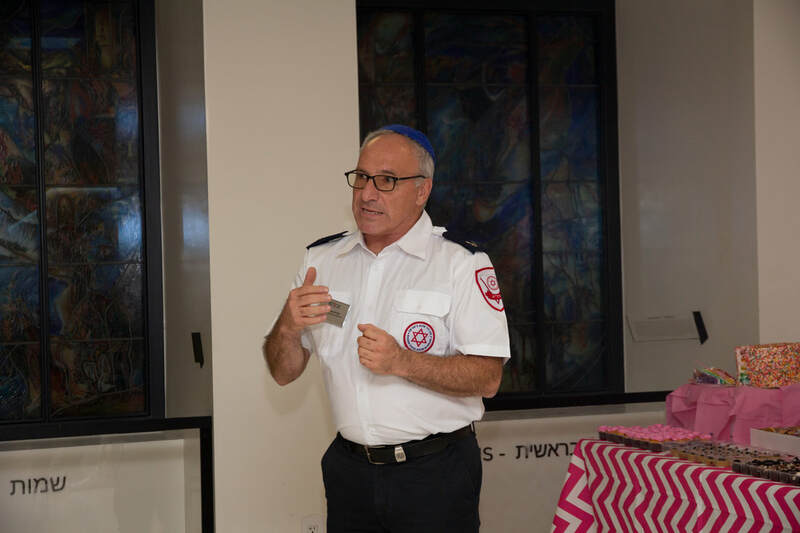 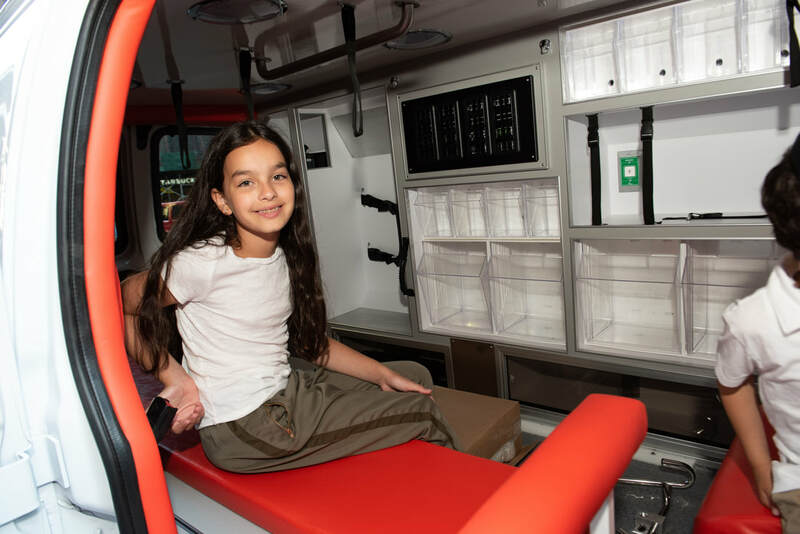 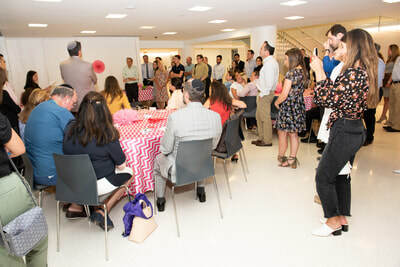 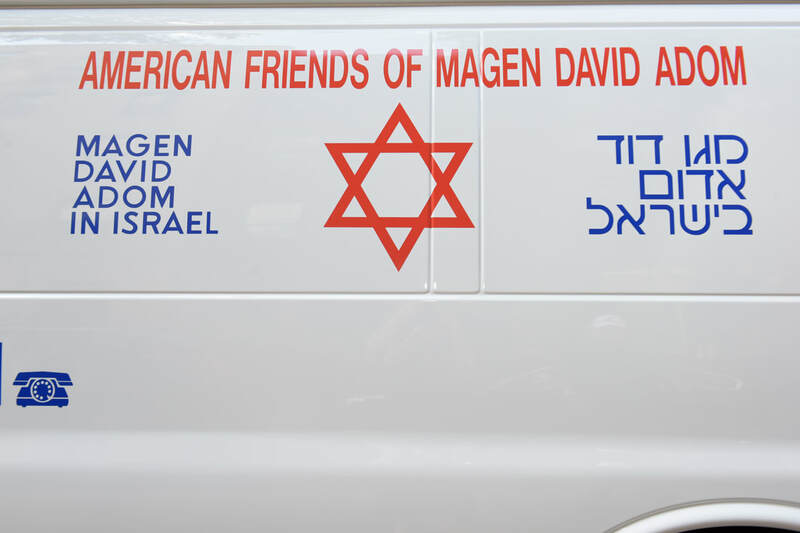 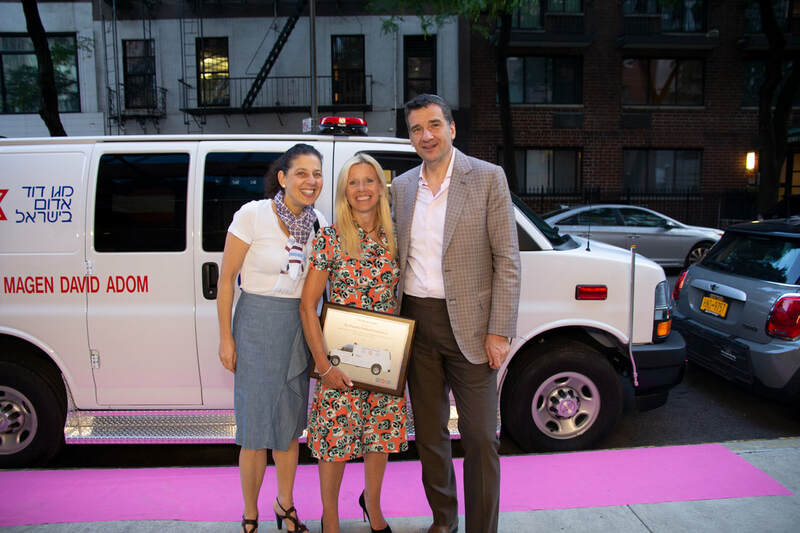 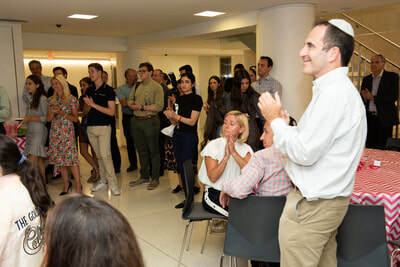 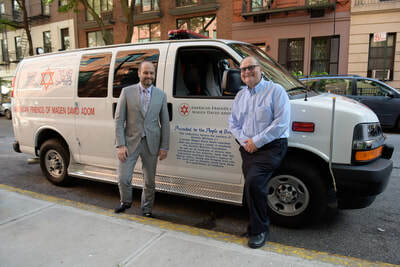 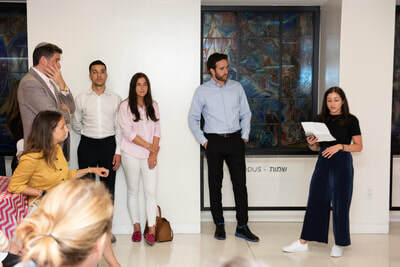 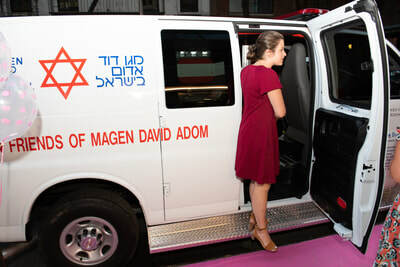 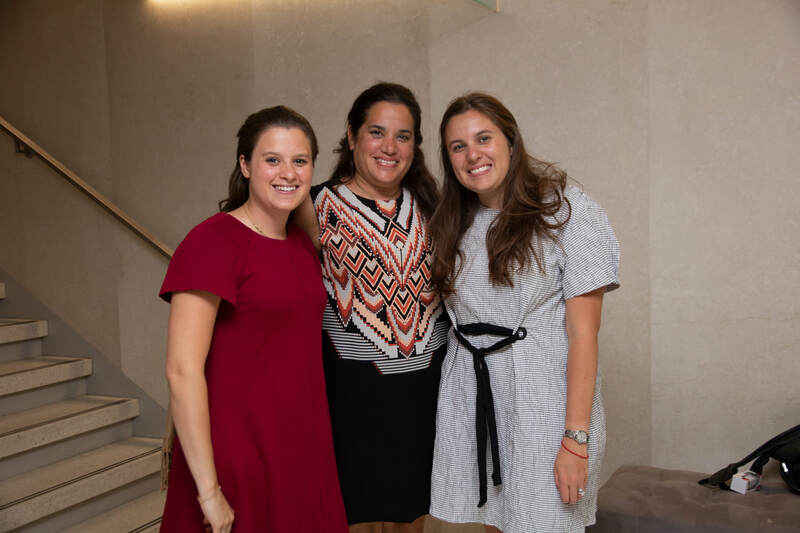 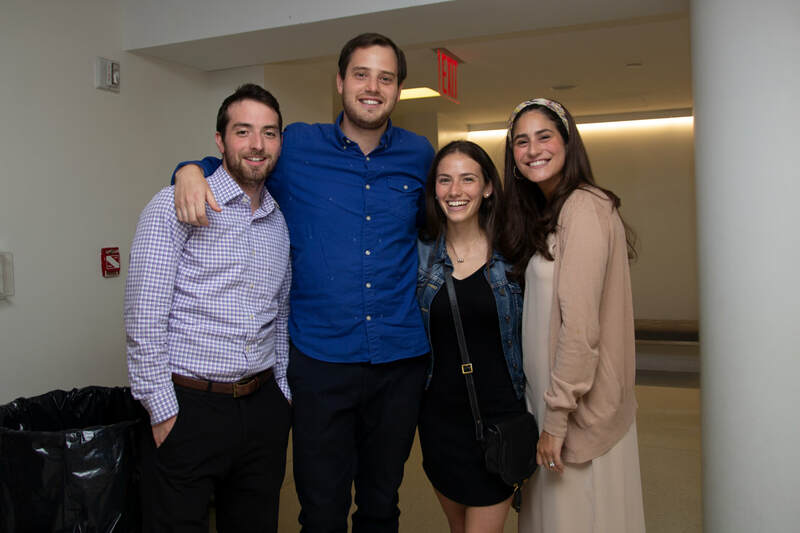 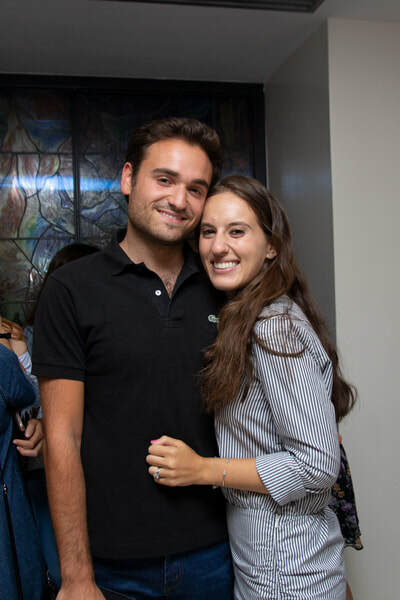 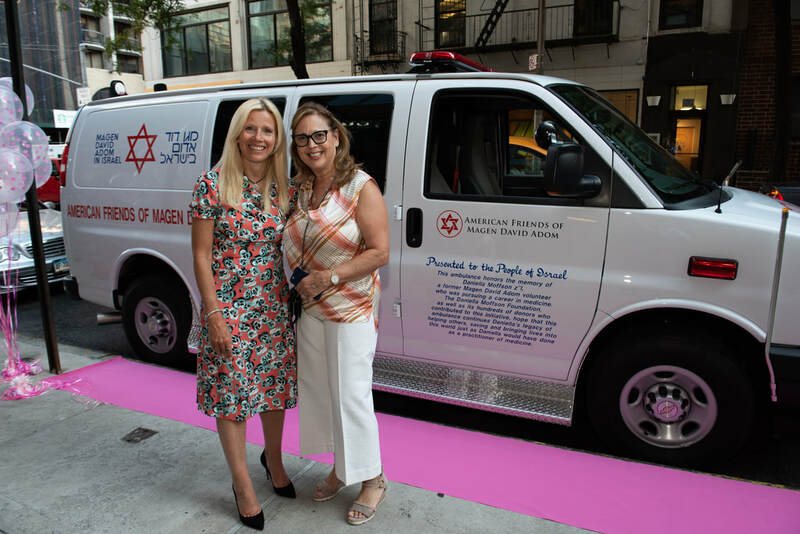 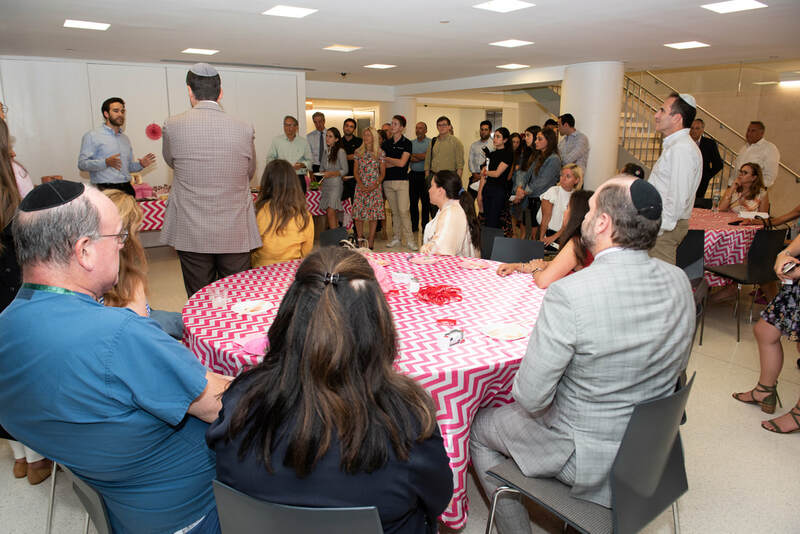 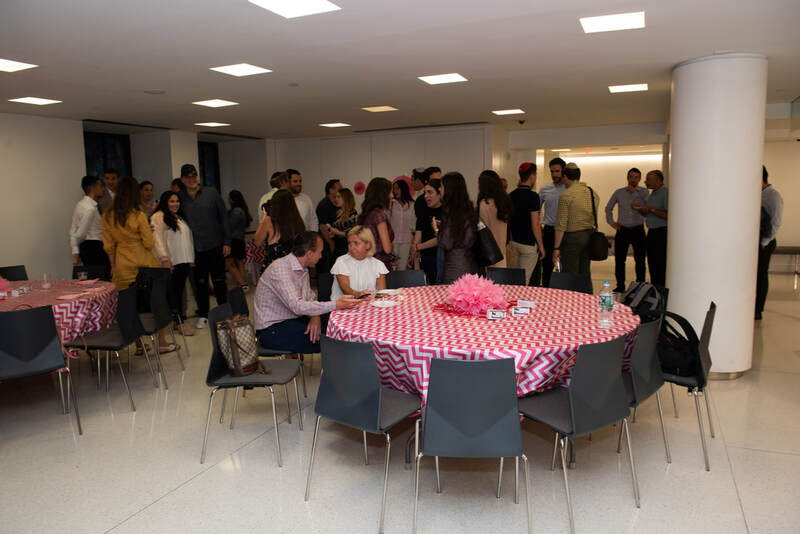 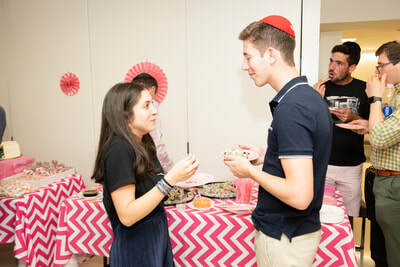 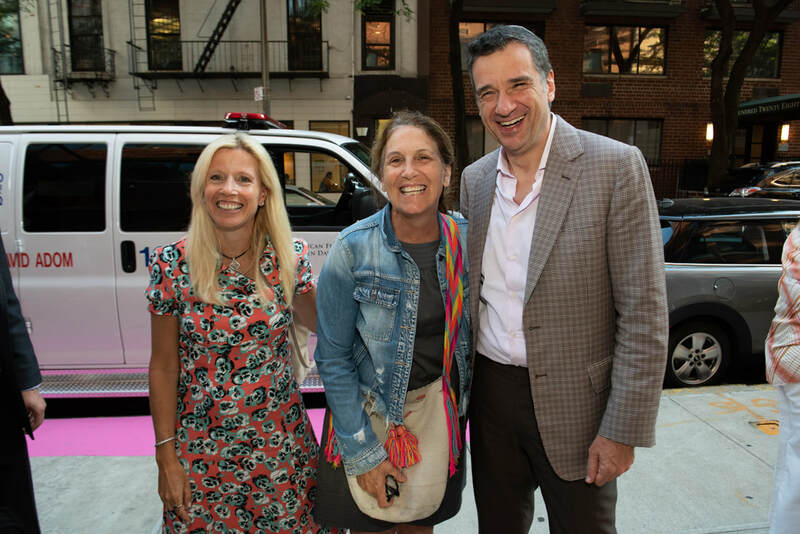 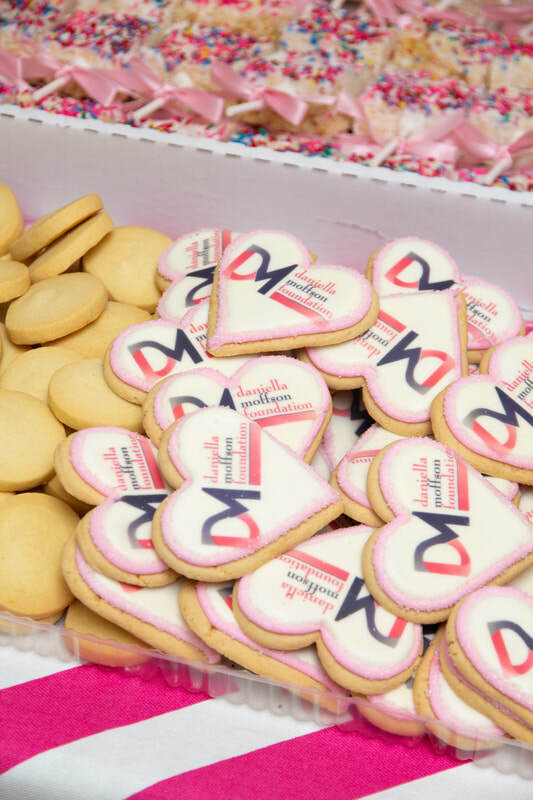 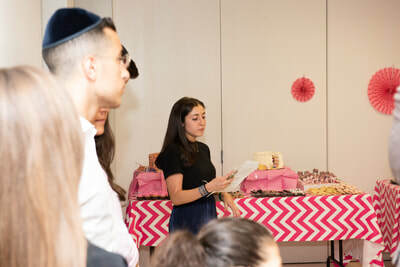 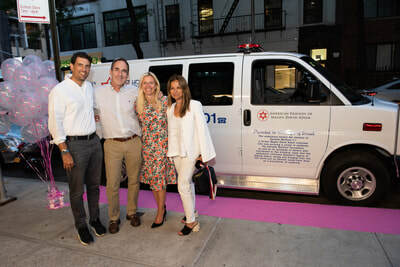 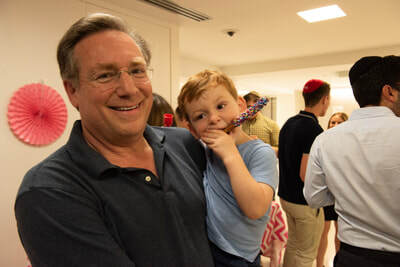 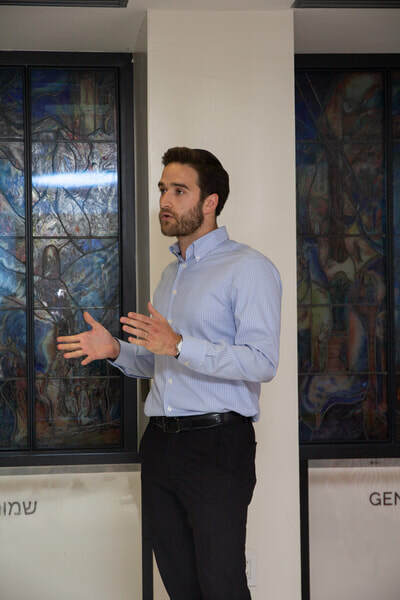 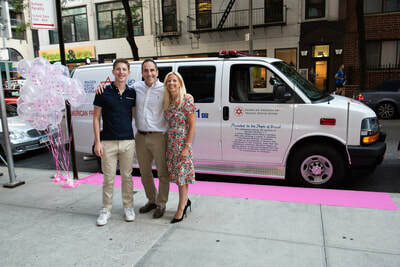 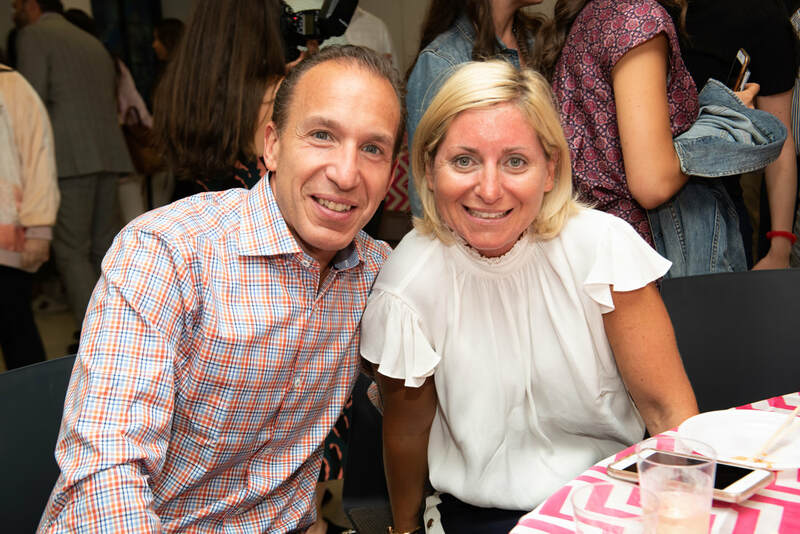 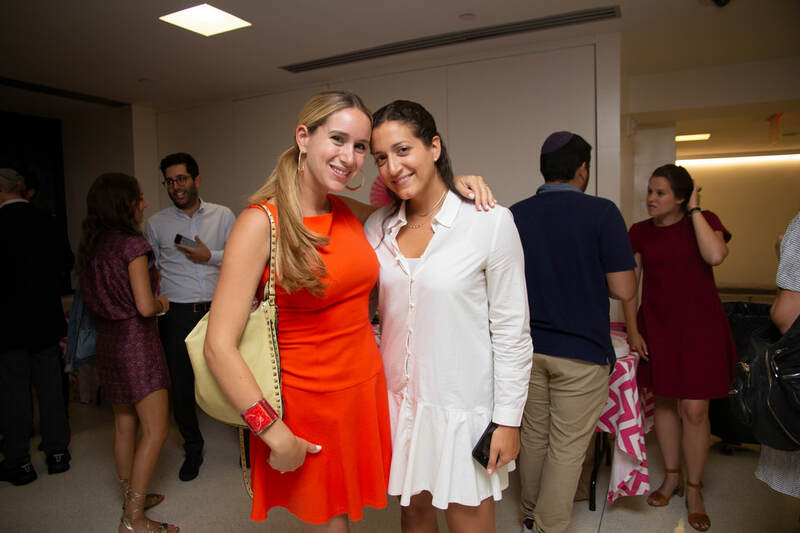 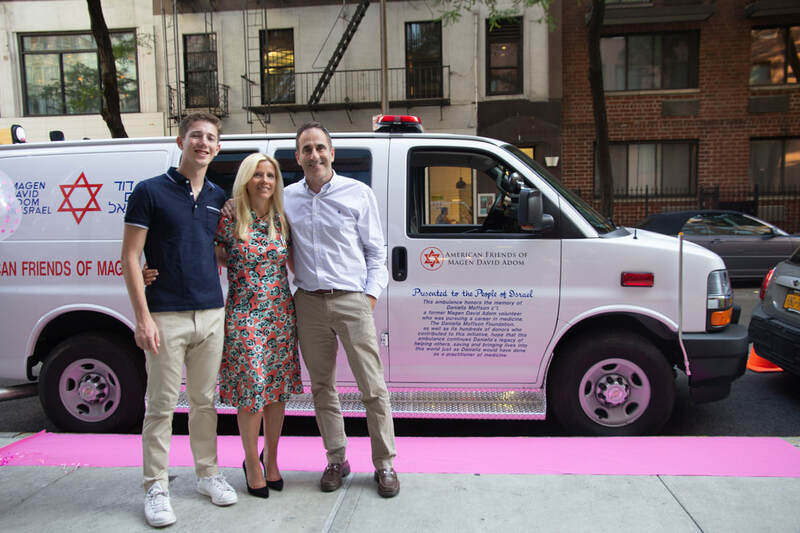 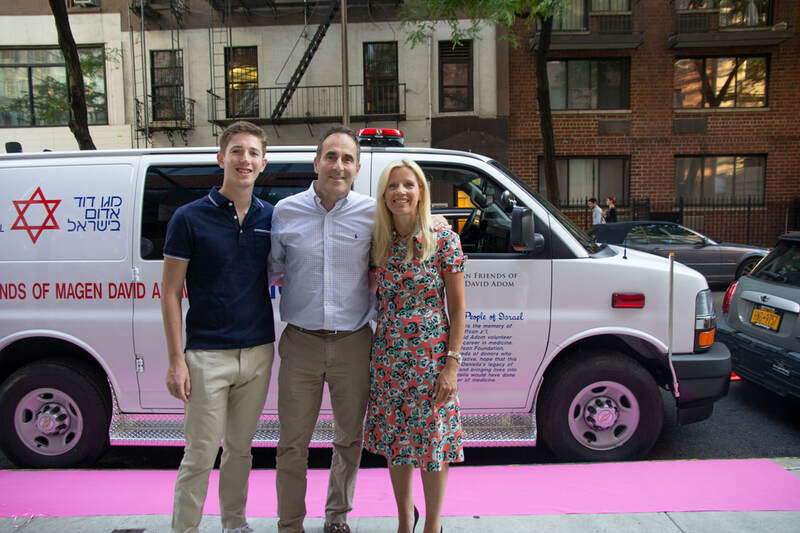 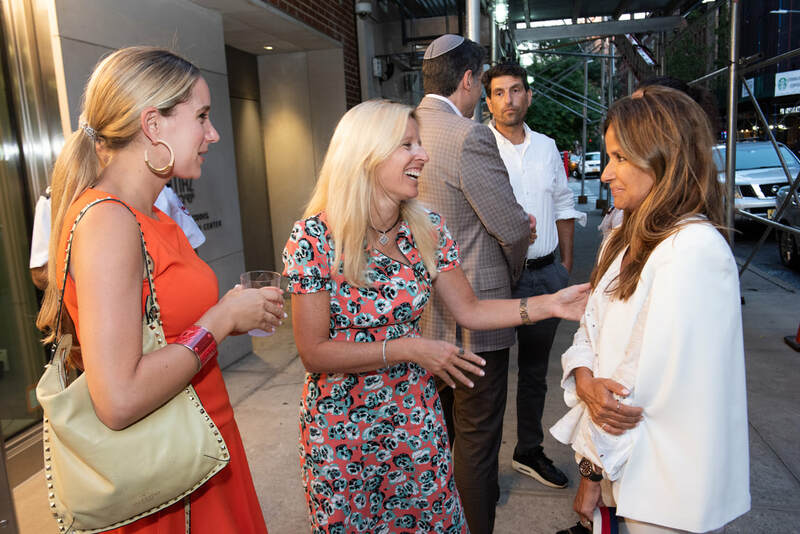 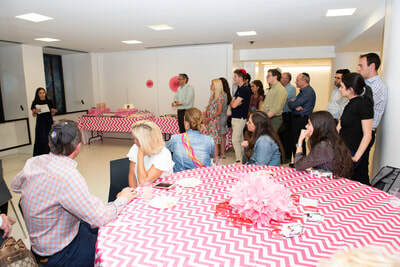 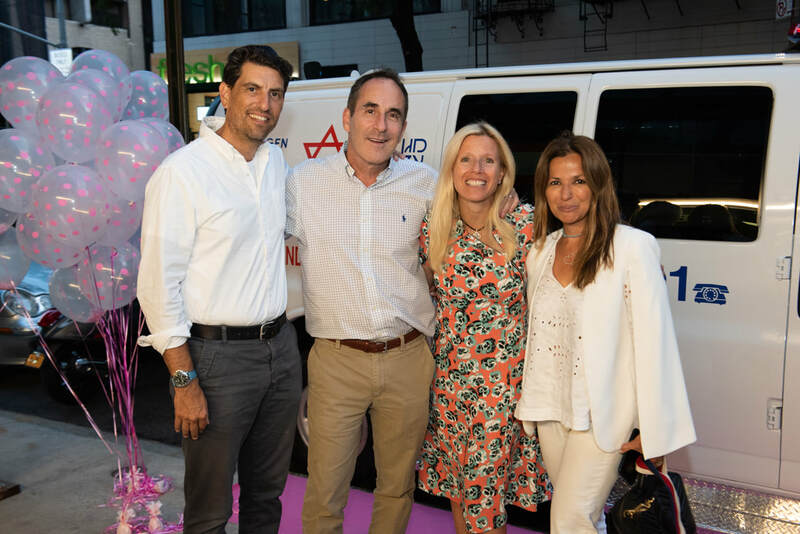 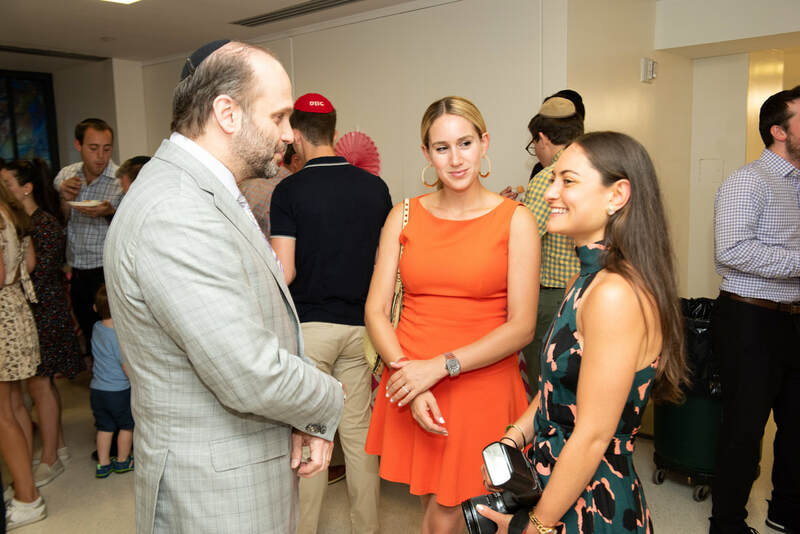 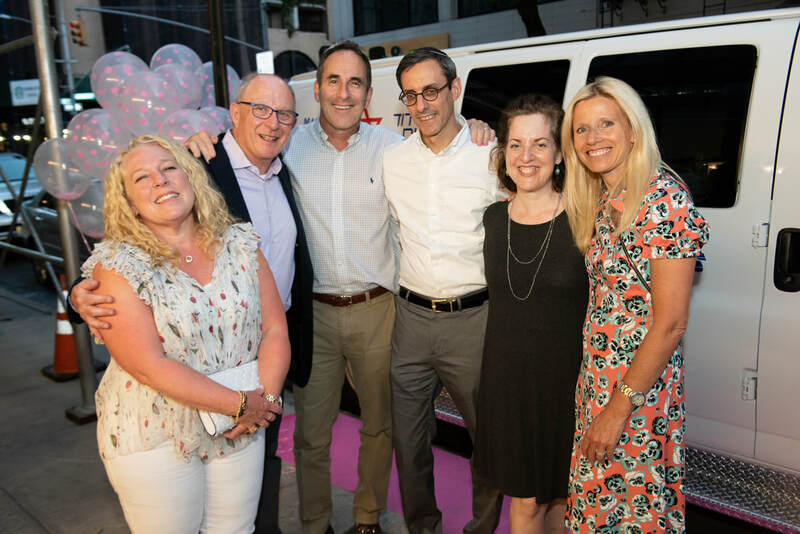 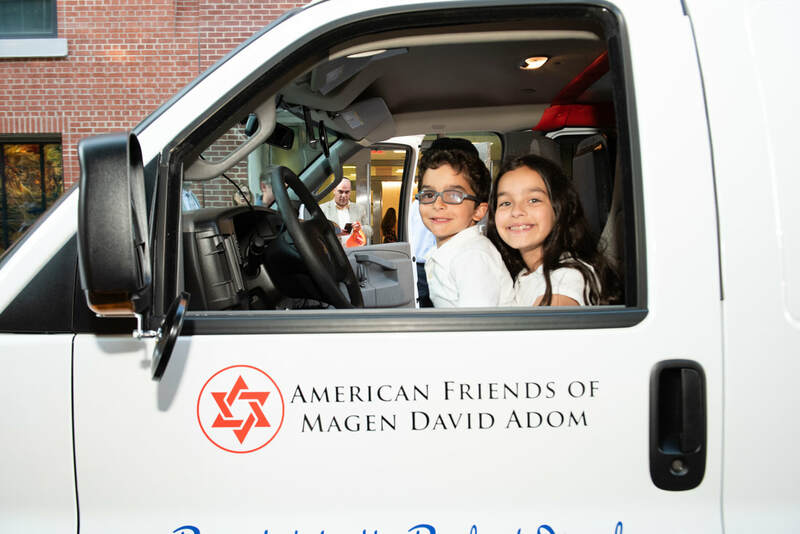 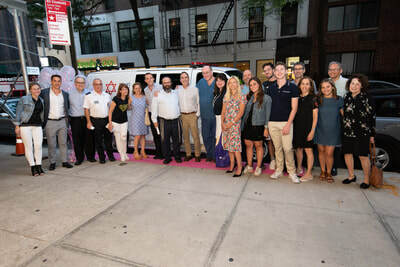 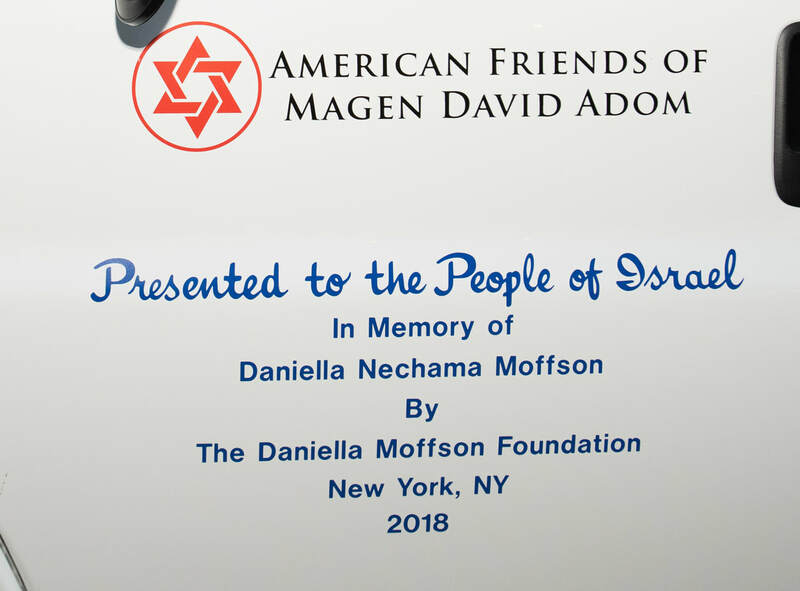 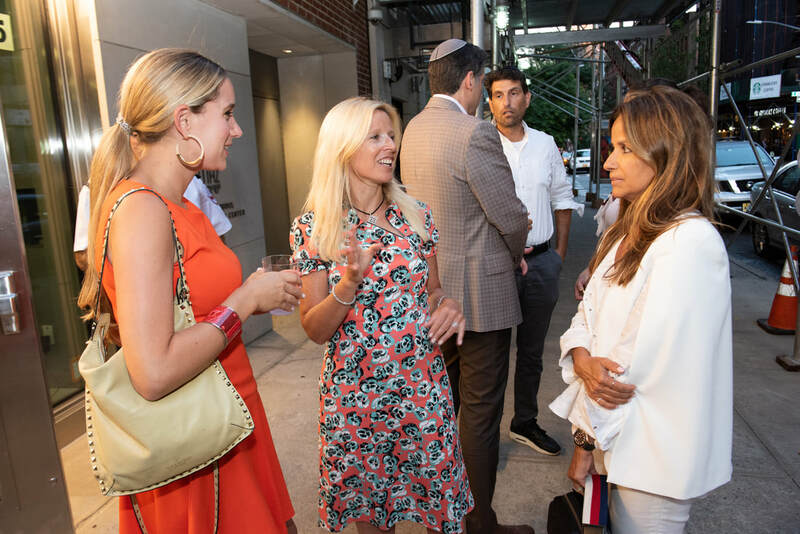 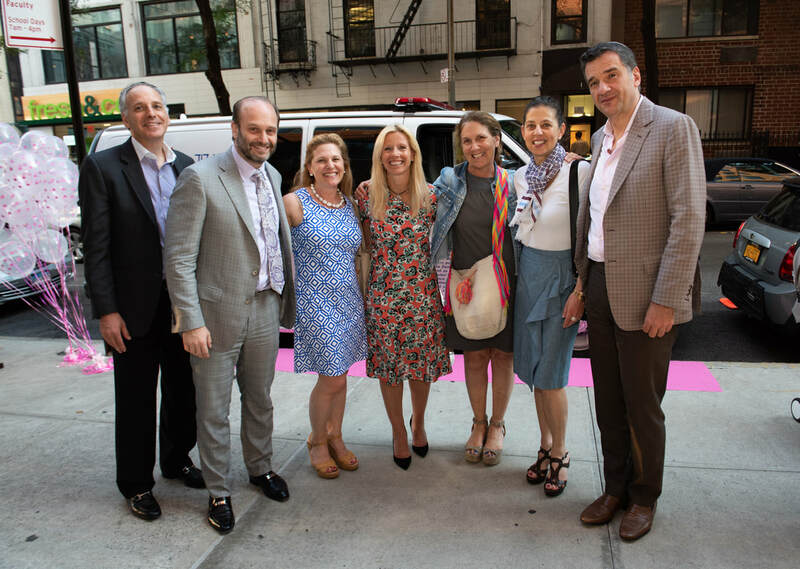 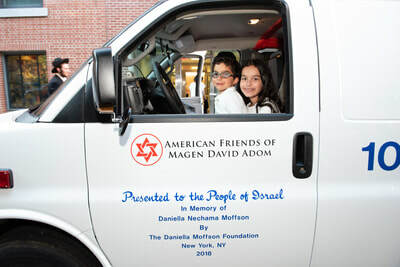 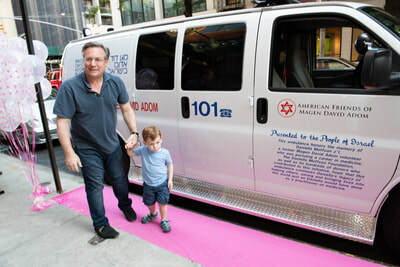 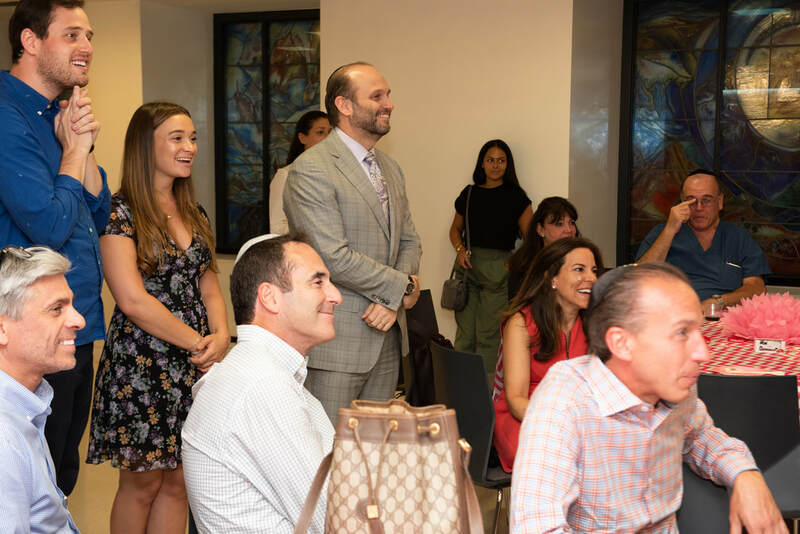 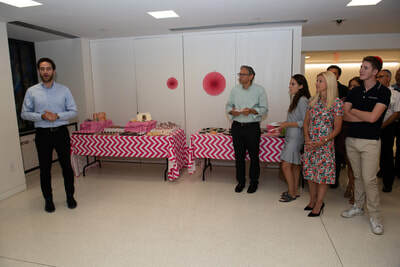 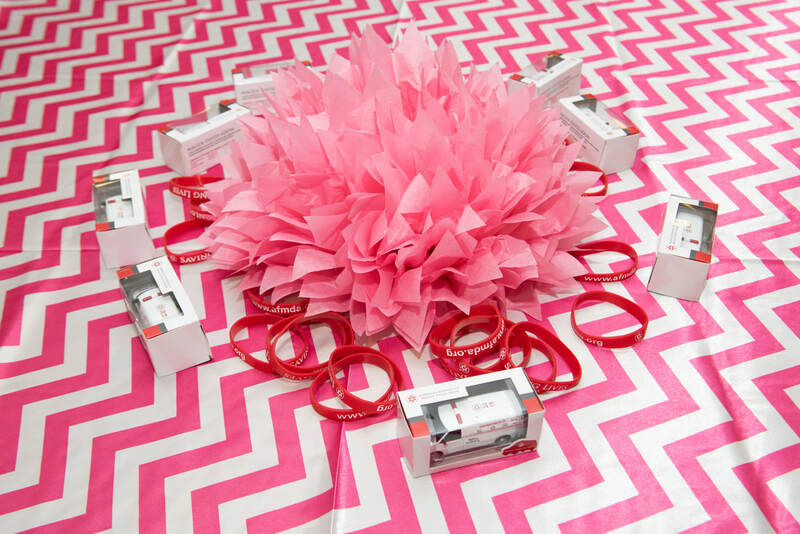 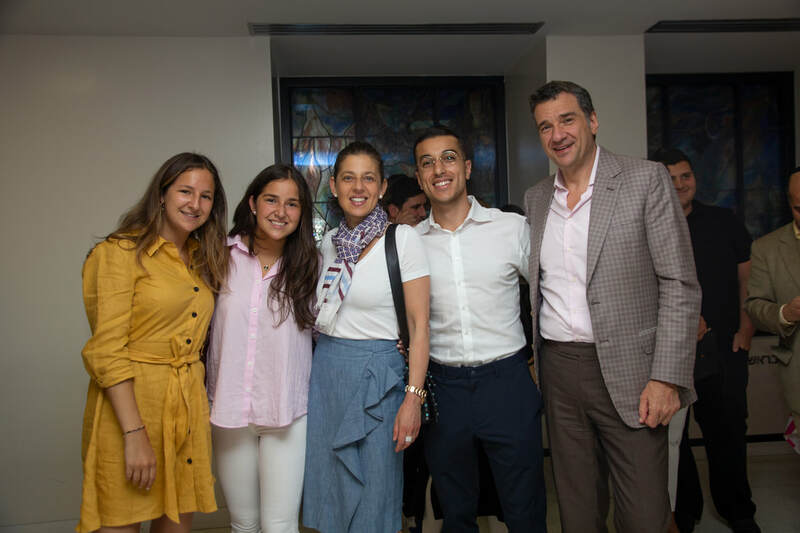 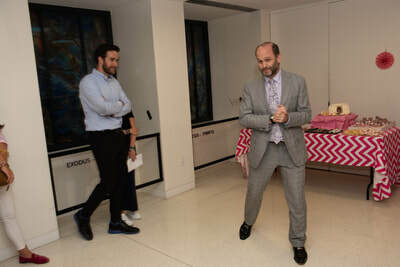 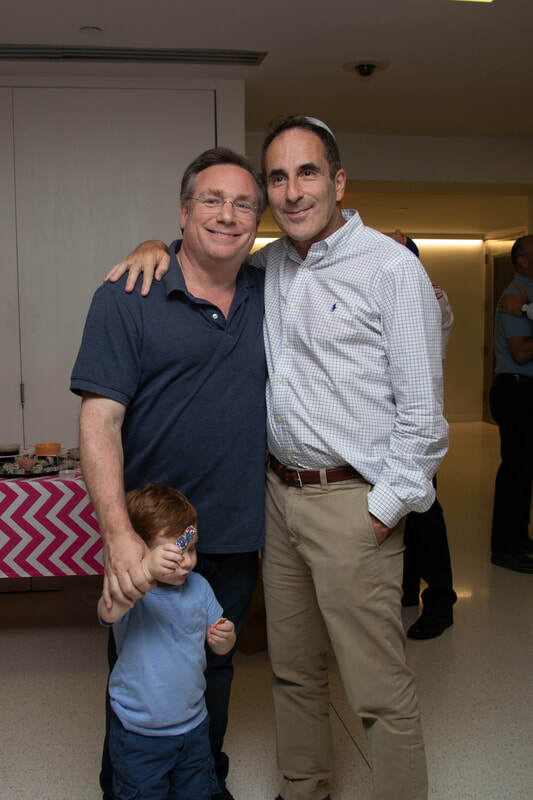 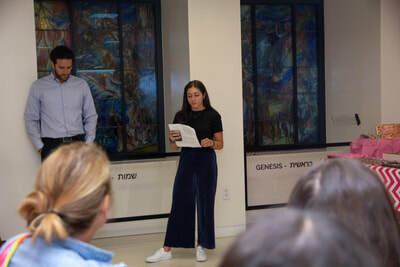 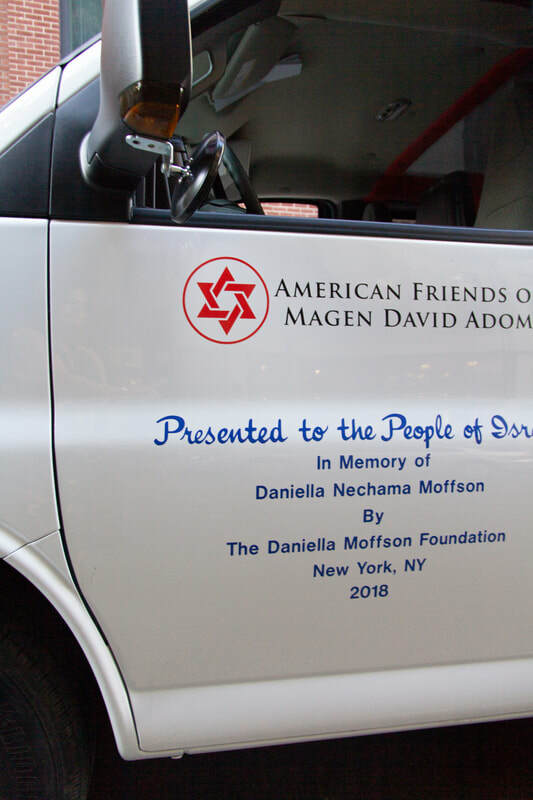 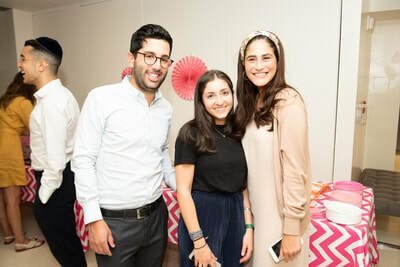 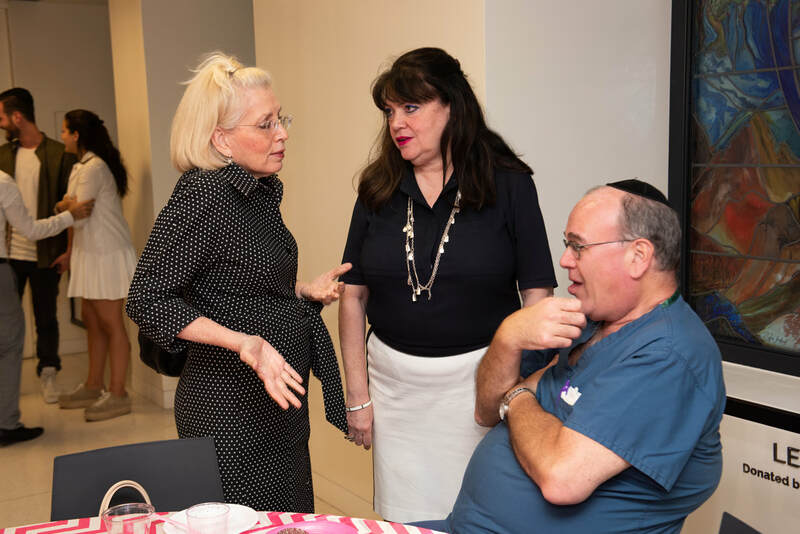 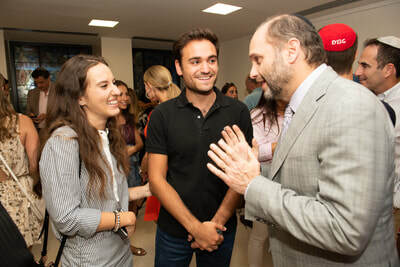 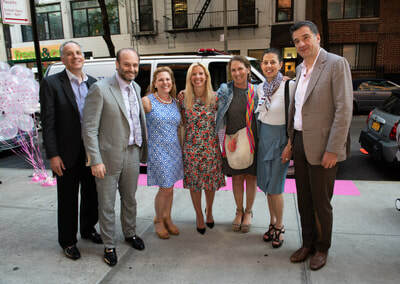 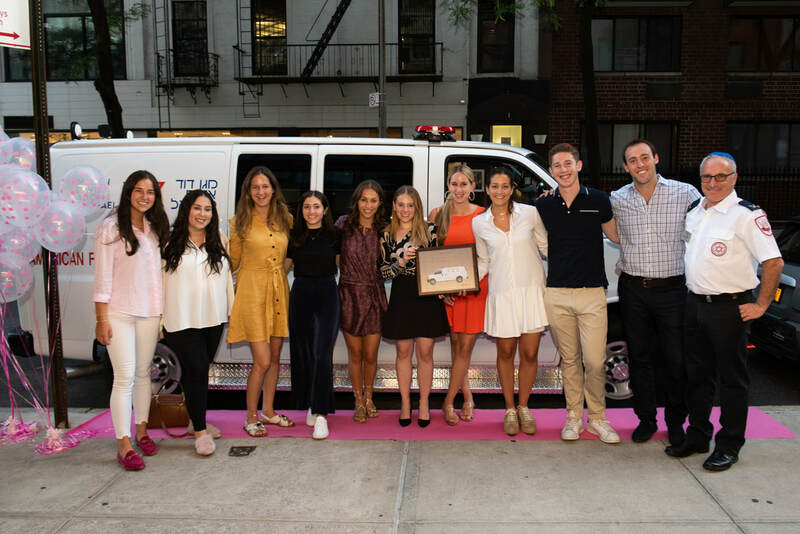 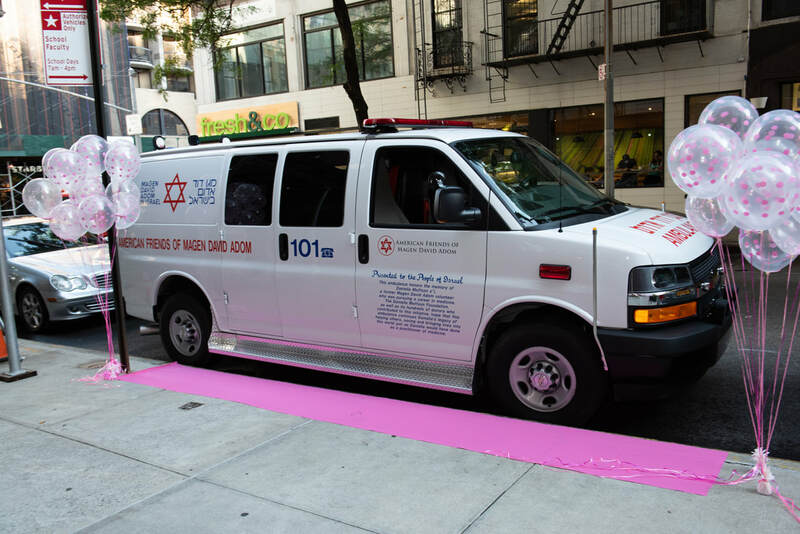 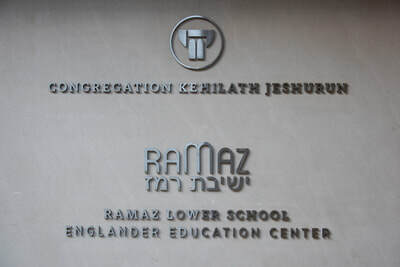 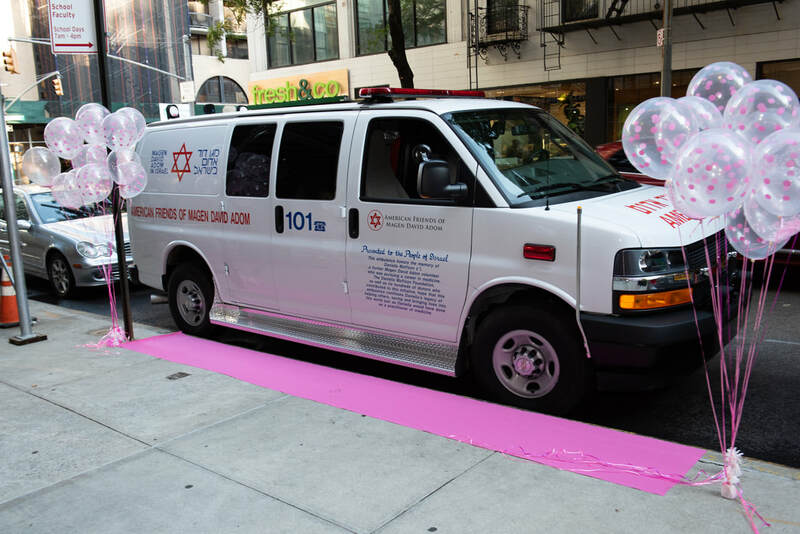 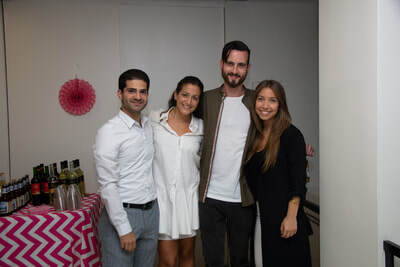 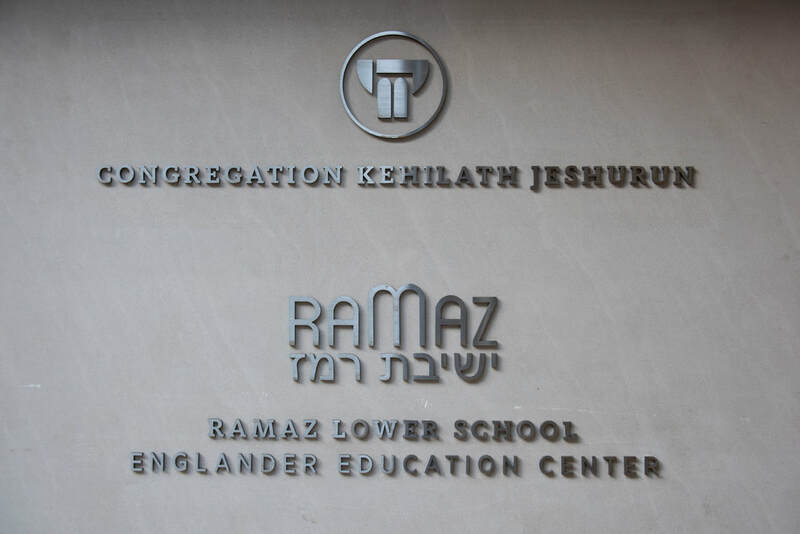 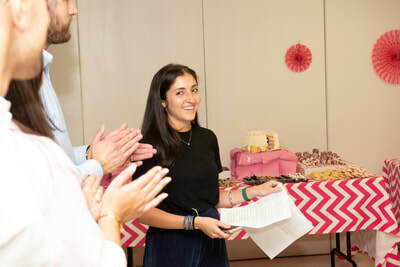 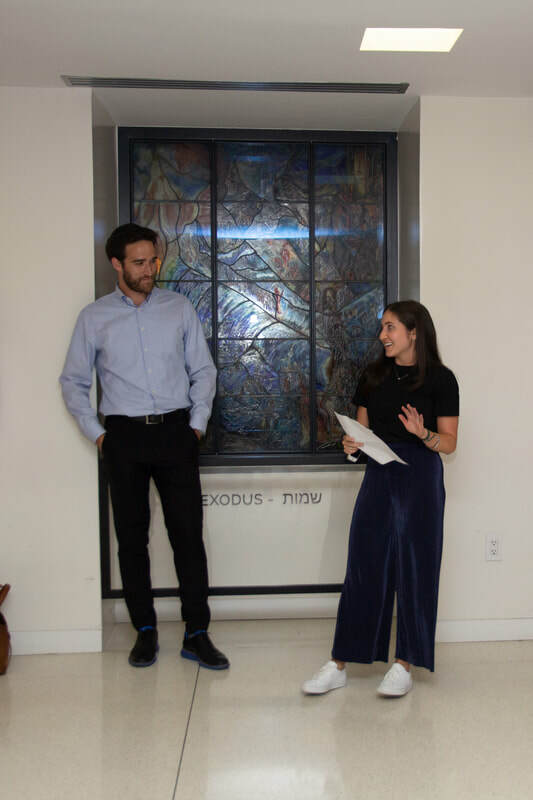 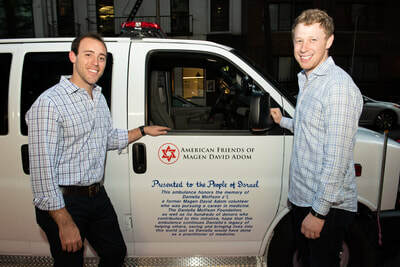 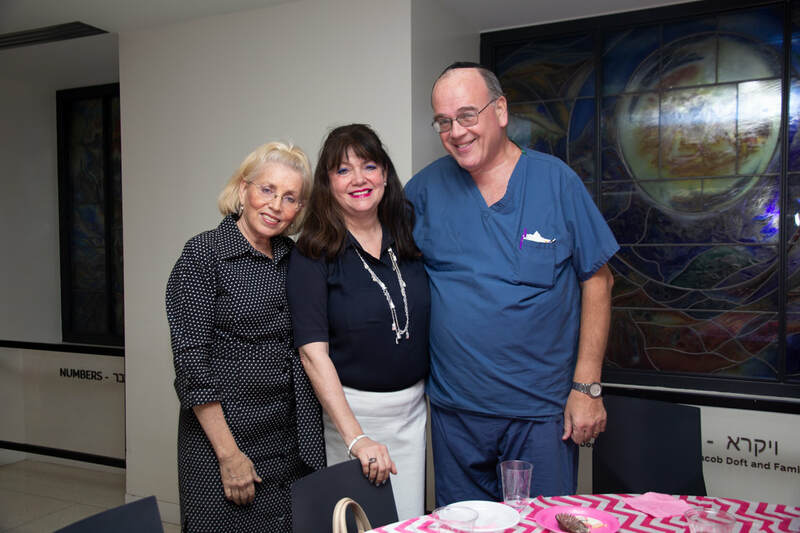 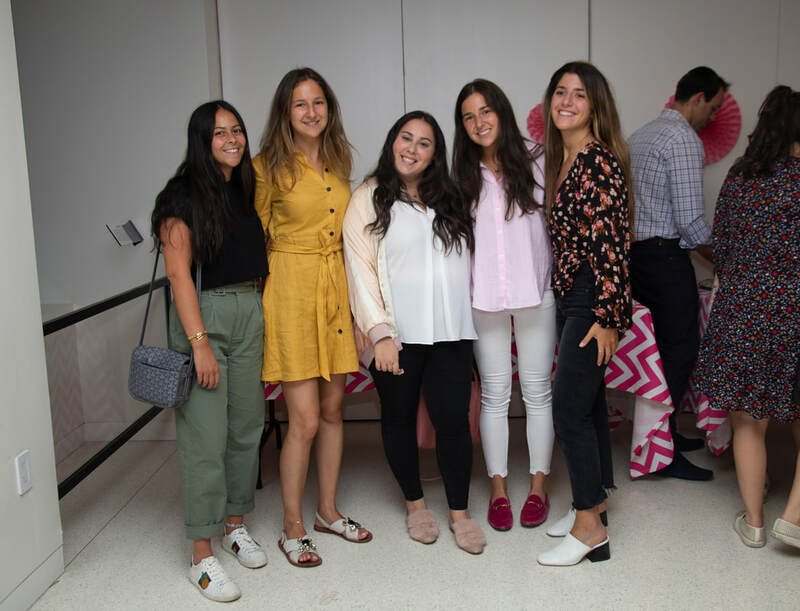 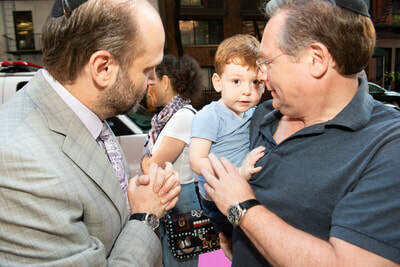 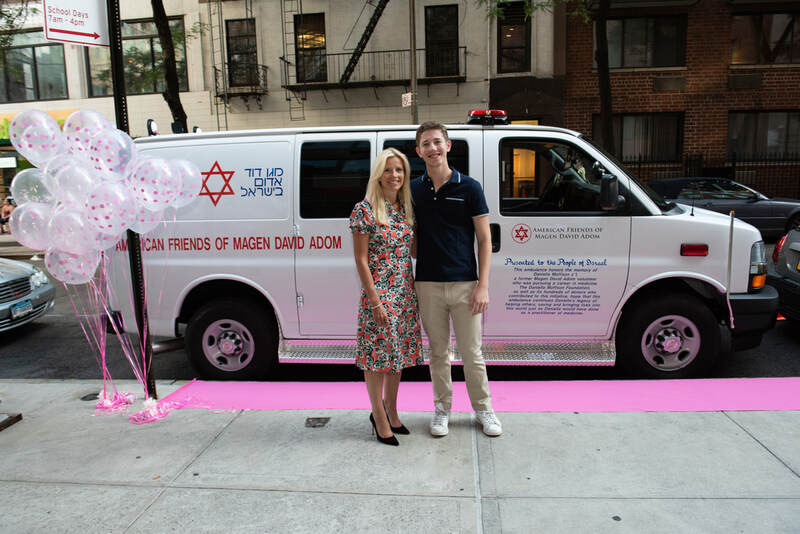 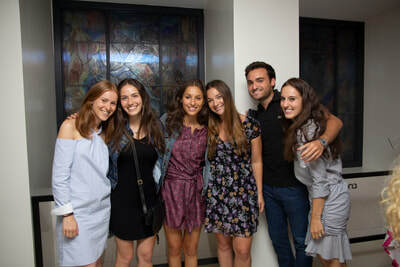 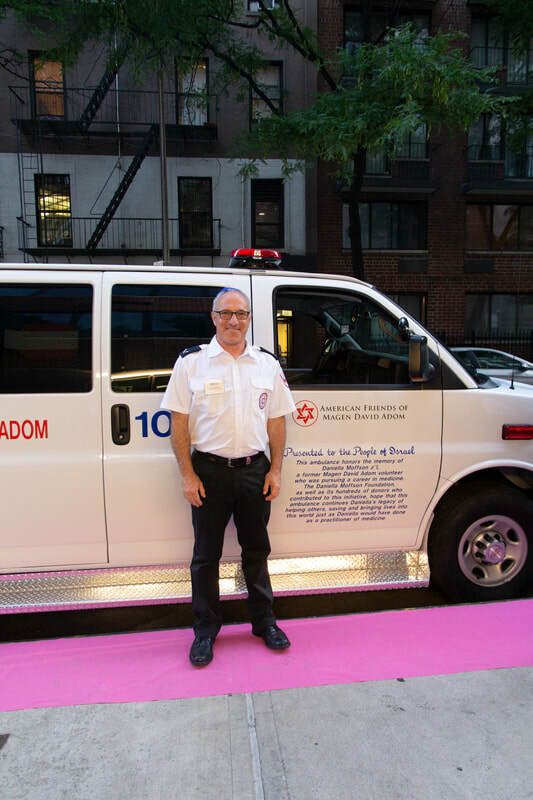 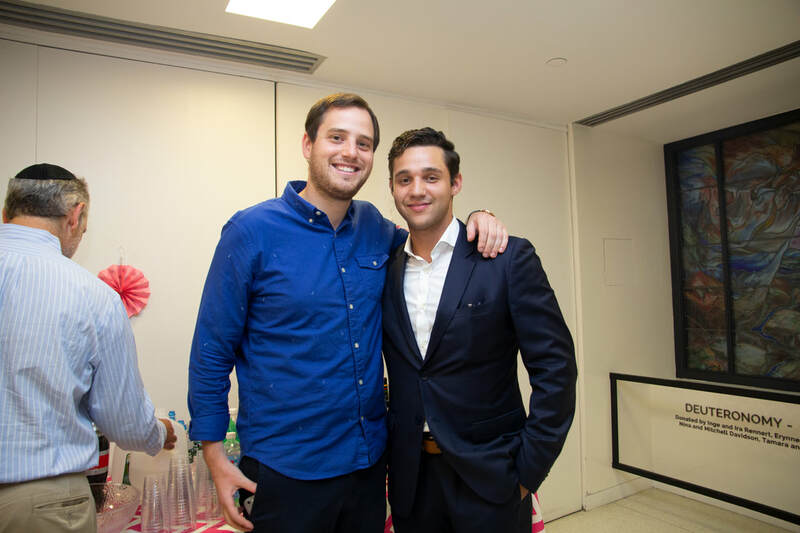 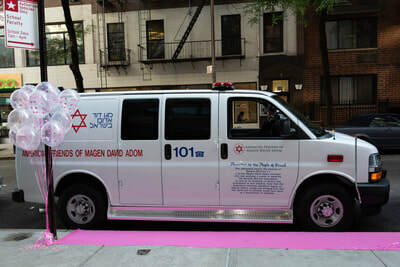 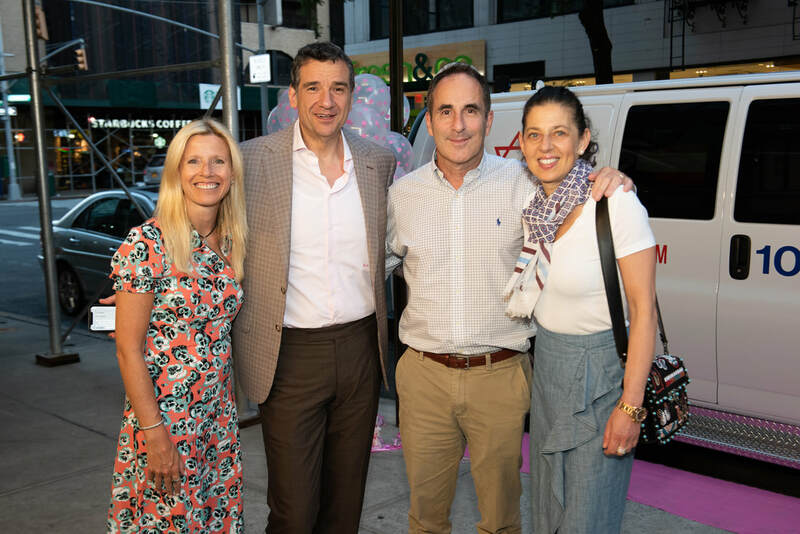 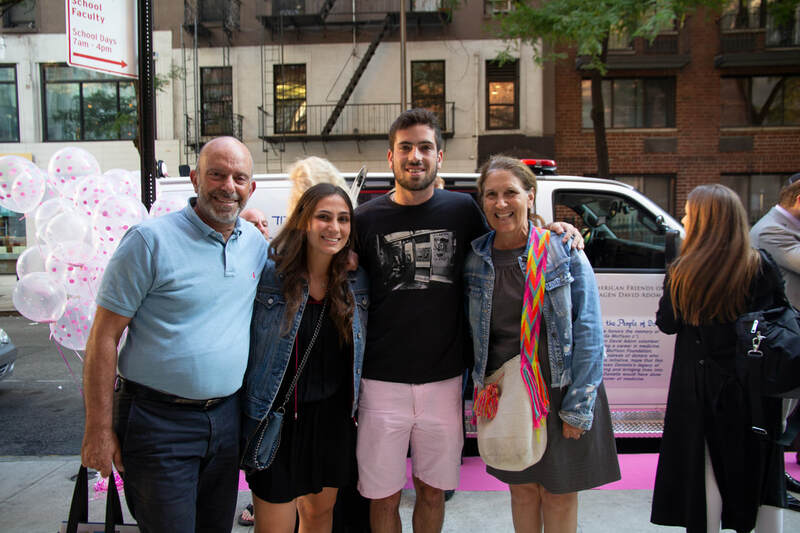 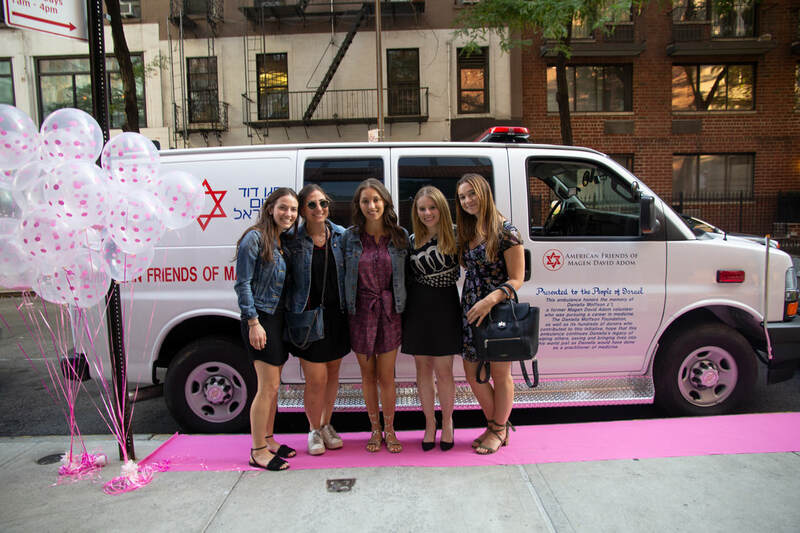 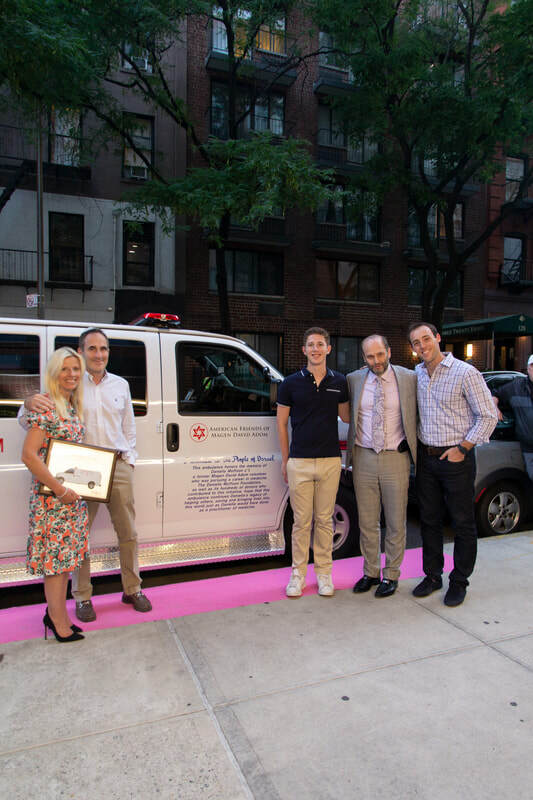 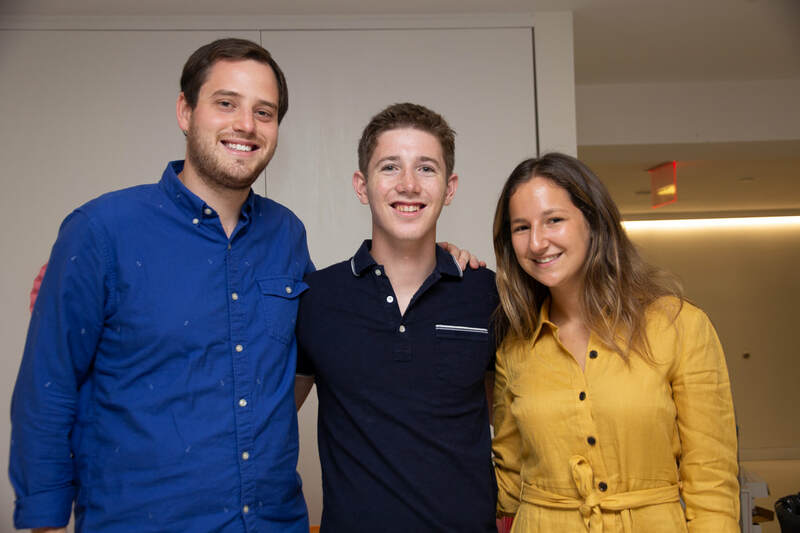 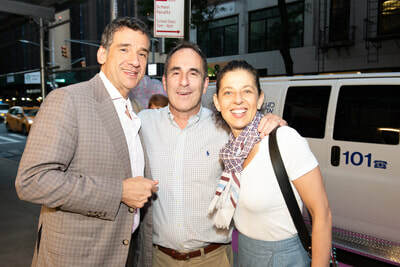 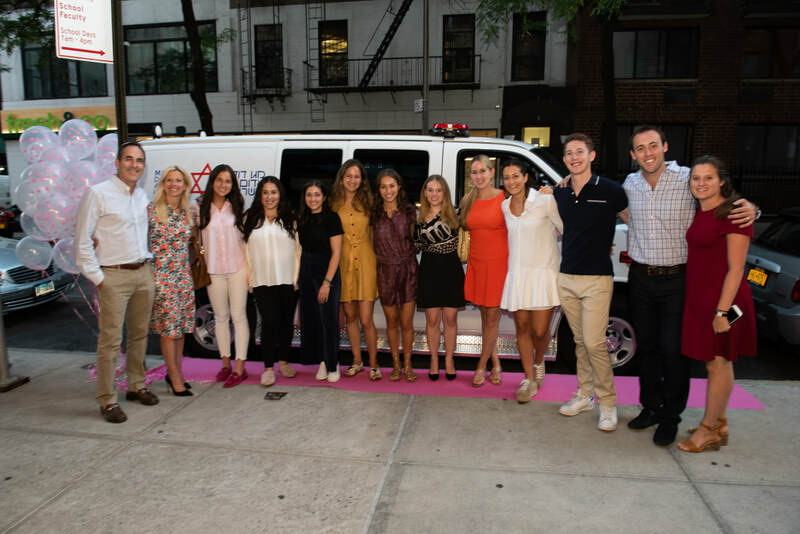 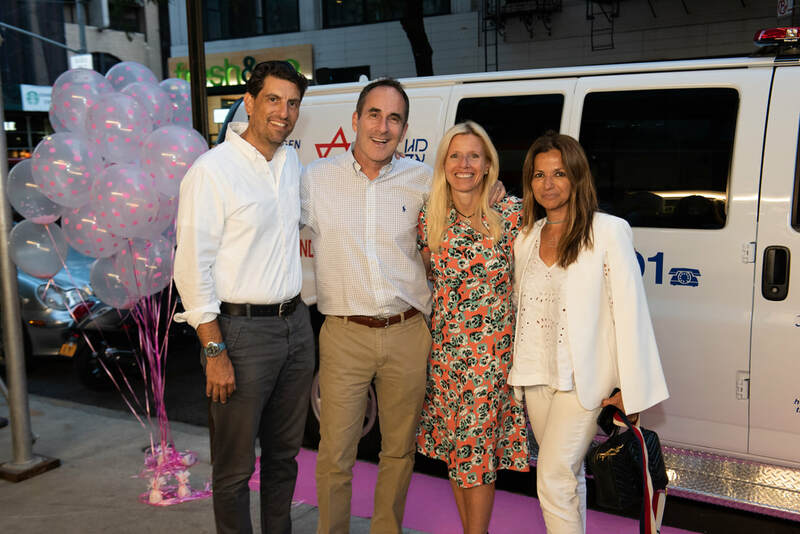 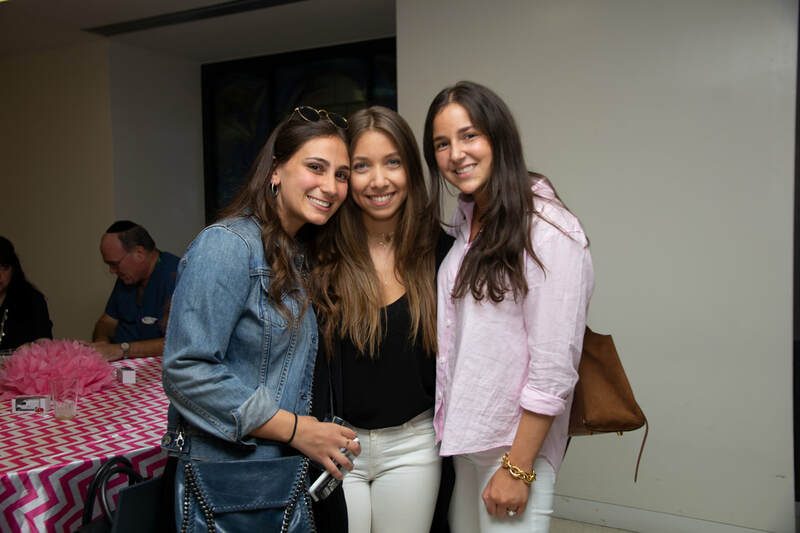 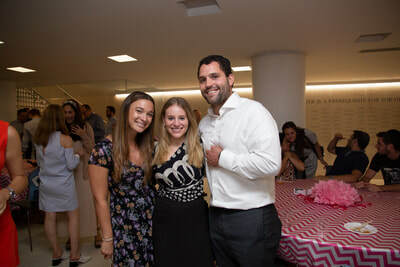 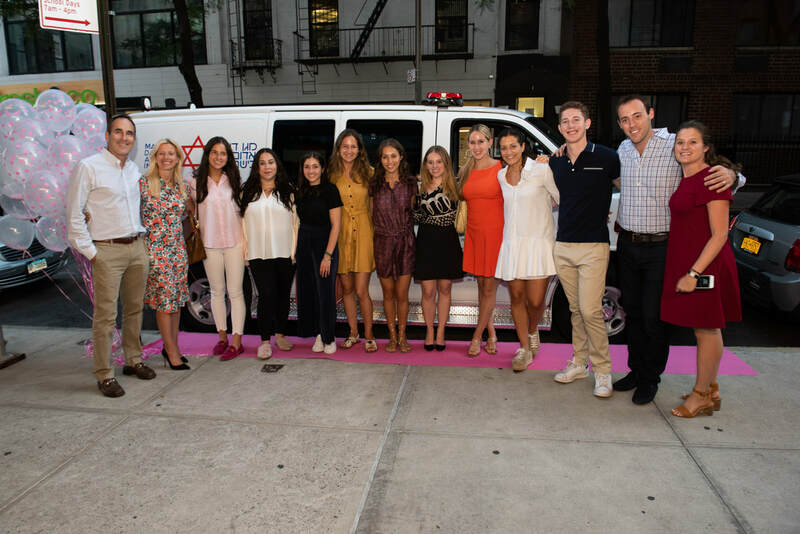 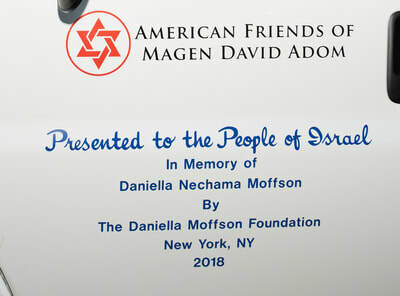 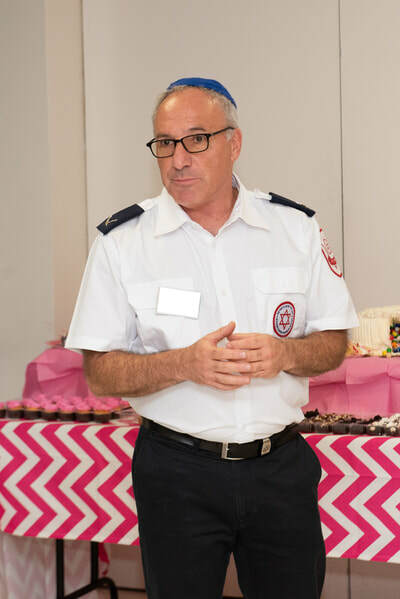 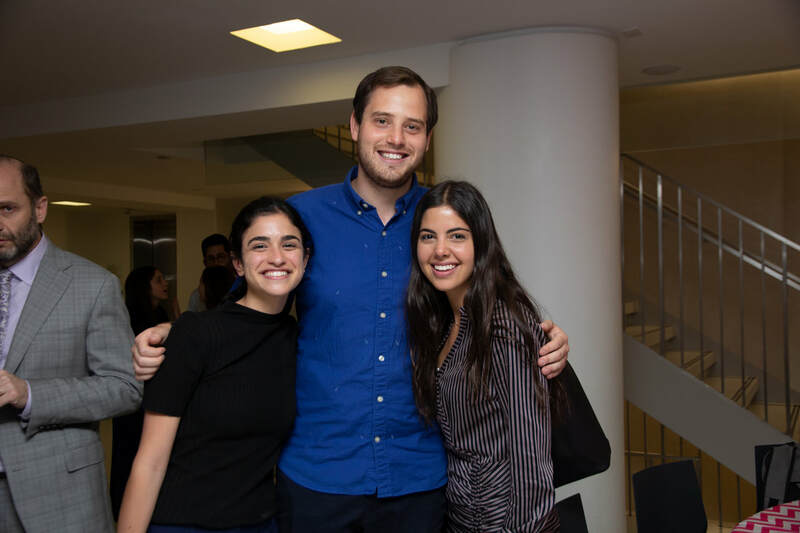 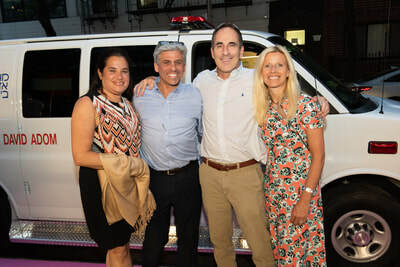 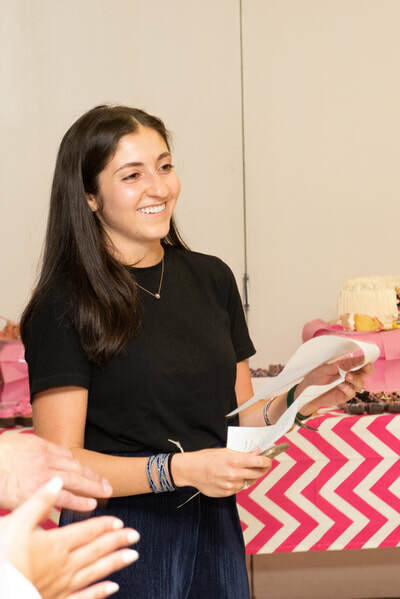 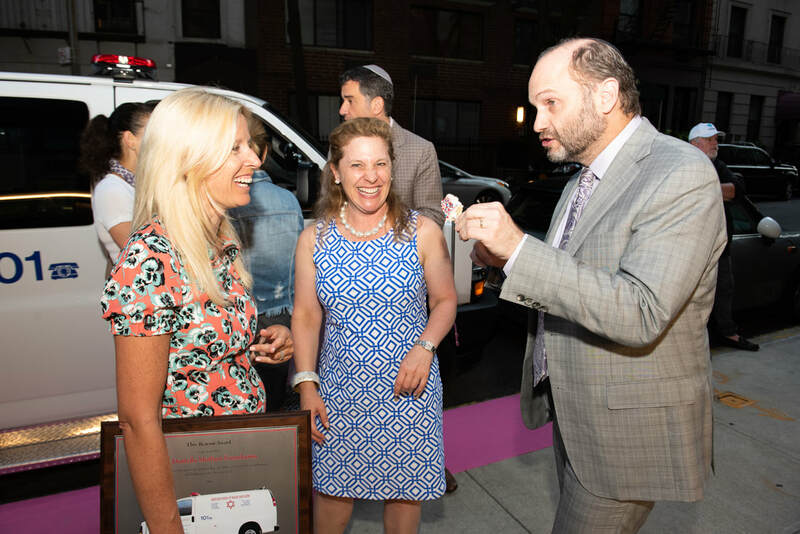 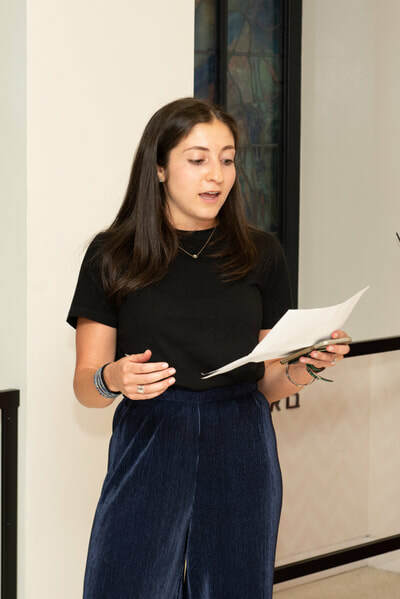 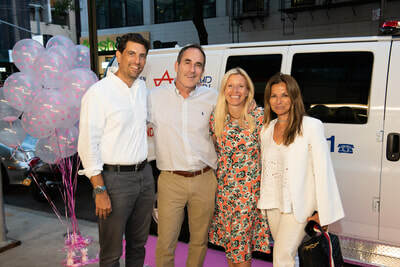 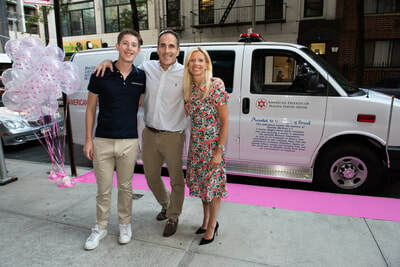 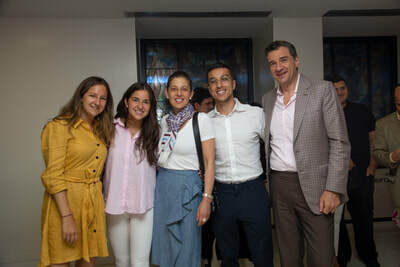 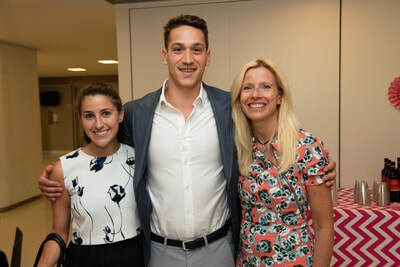 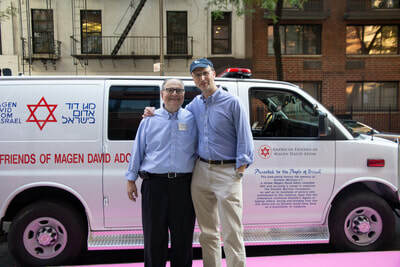 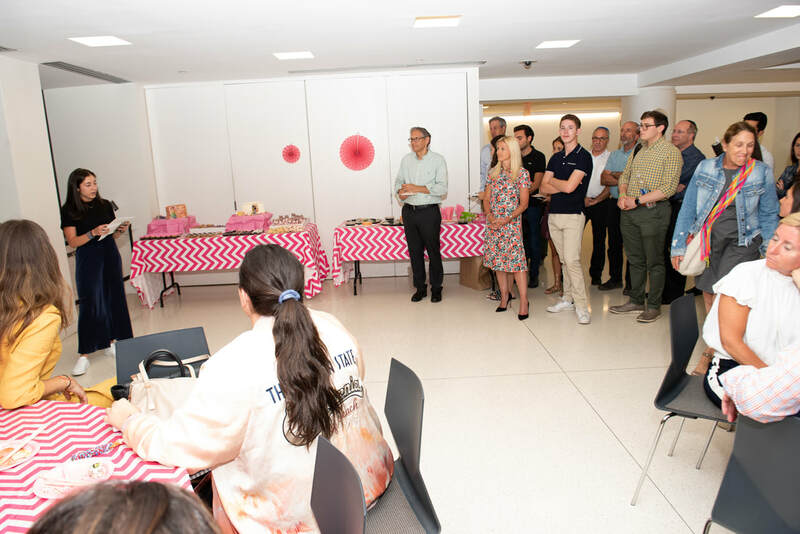 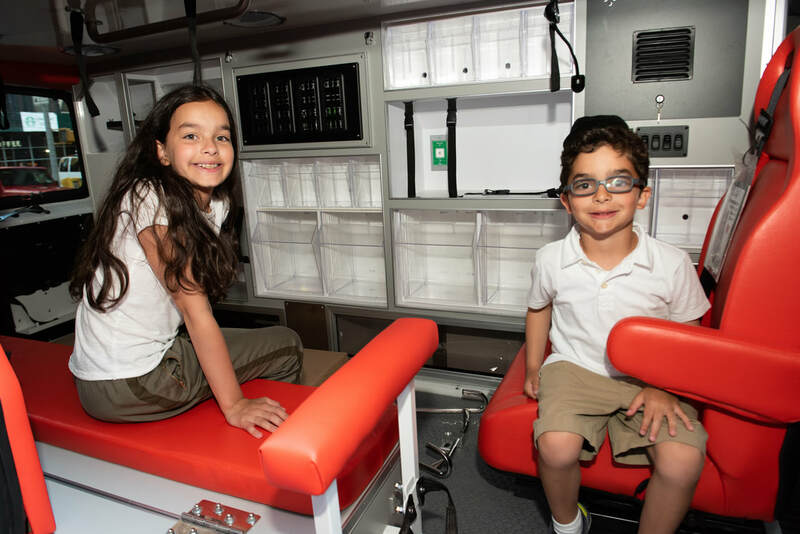 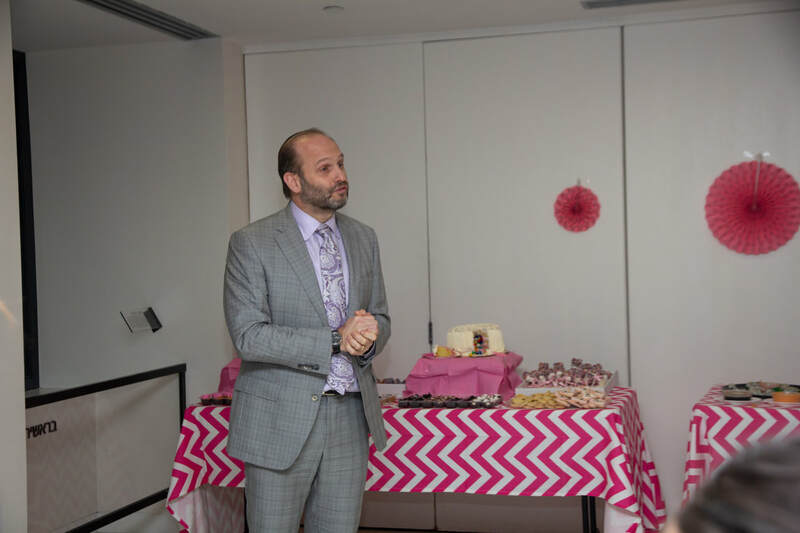 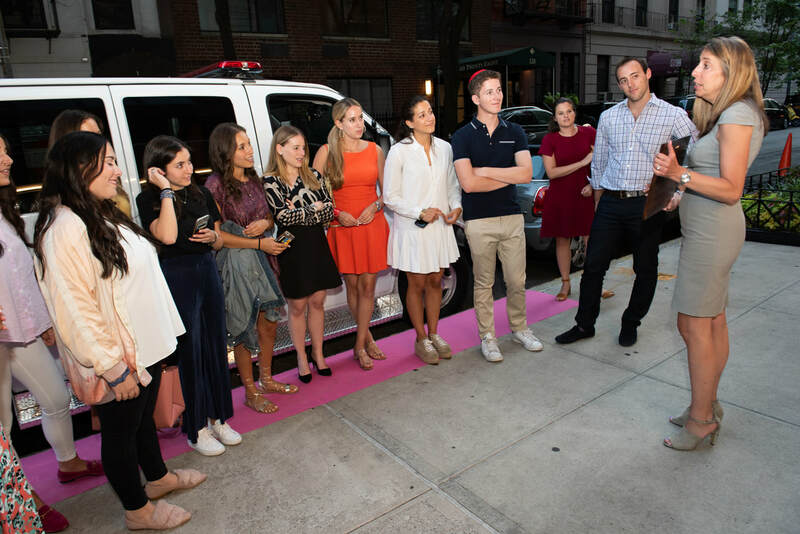 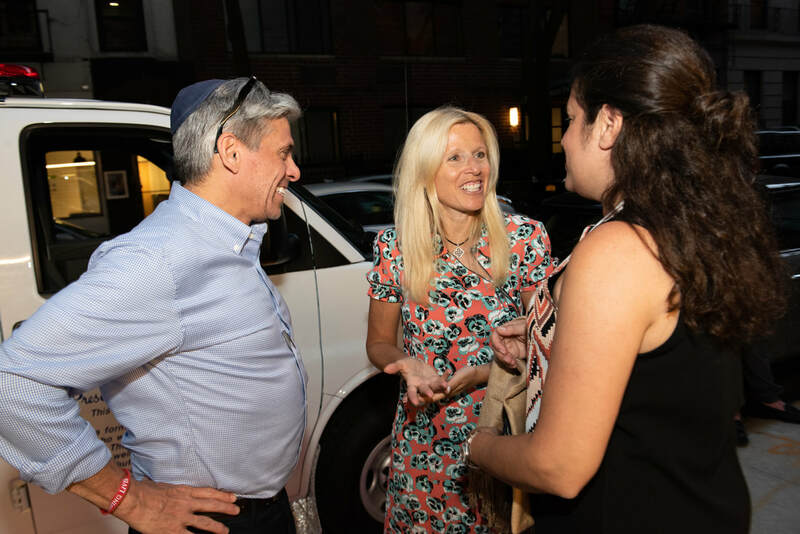 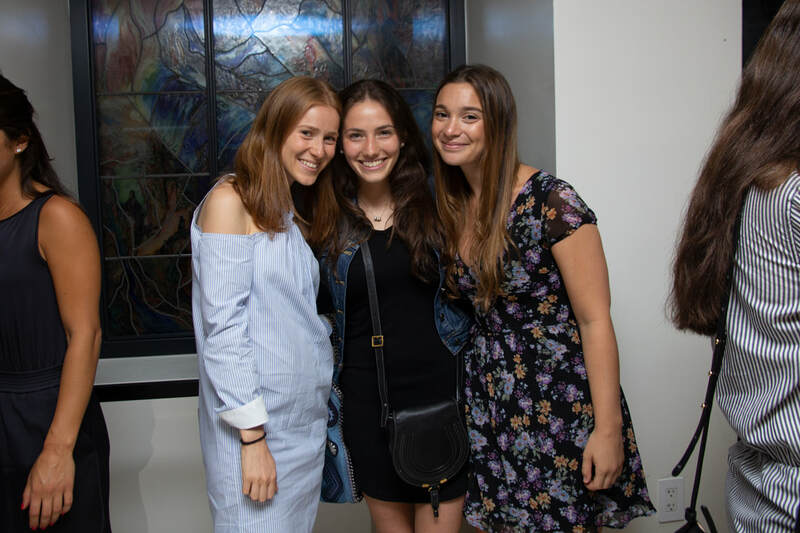 On July 18, 2018, the Daniella Moffson Foundation community gathered to celebrate the completion of the Magen David Adom ambulance, donated in loving memory of Daniella z"l. Daniella was a former MDA volunteer in Jerusalem, where this MDA ambulance will be stationed to continue Daniella's legacy of helping others. 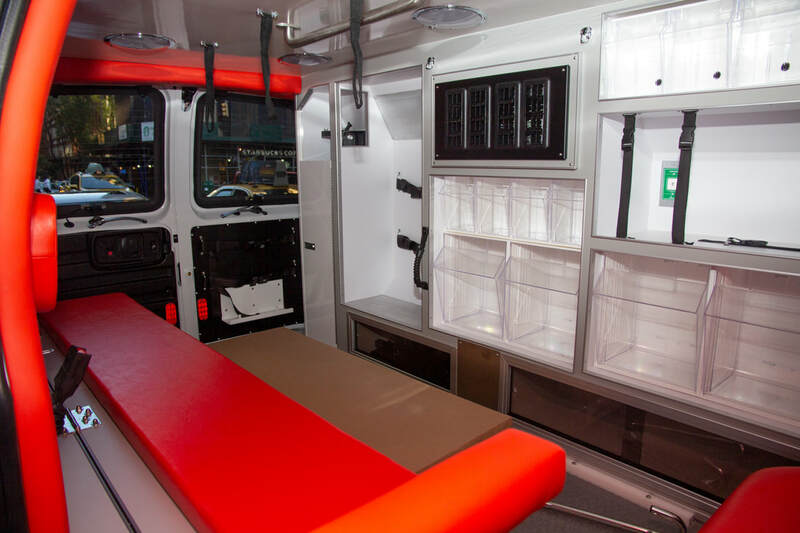 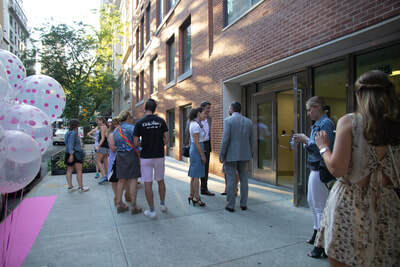 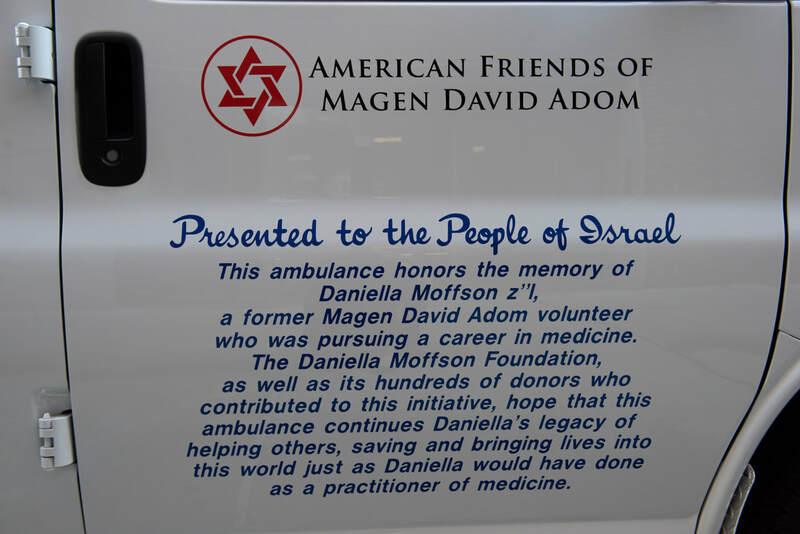 We thank all of those who contributed to the ambulance and came to celebrate its completion. 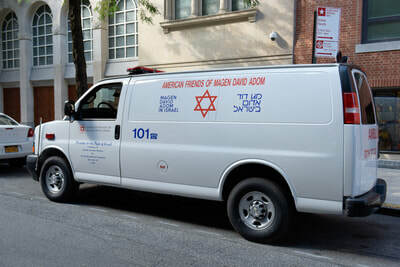 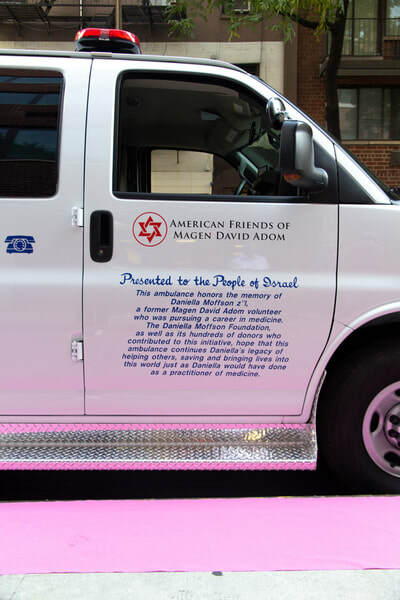 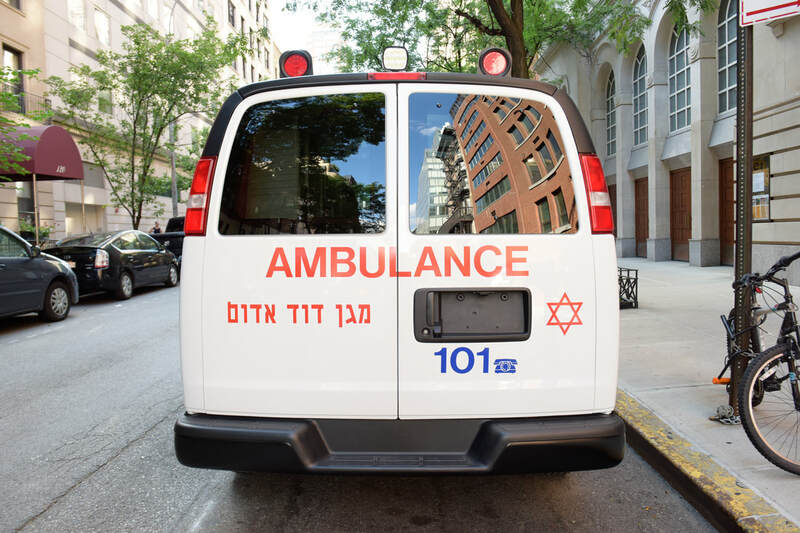 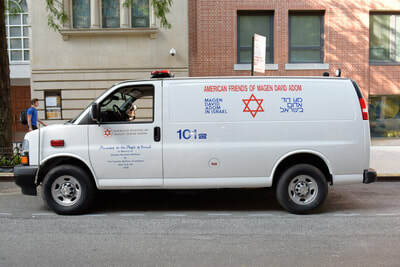 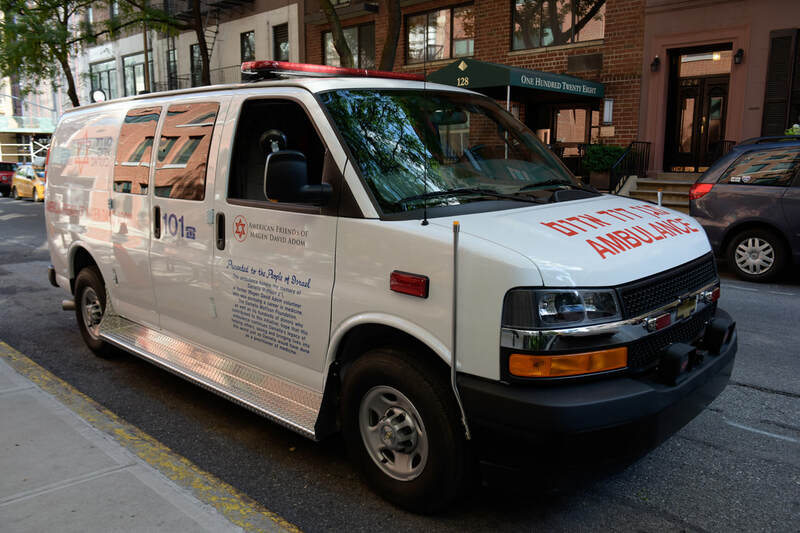 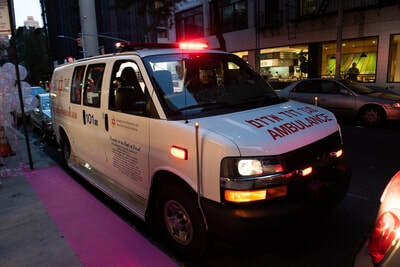 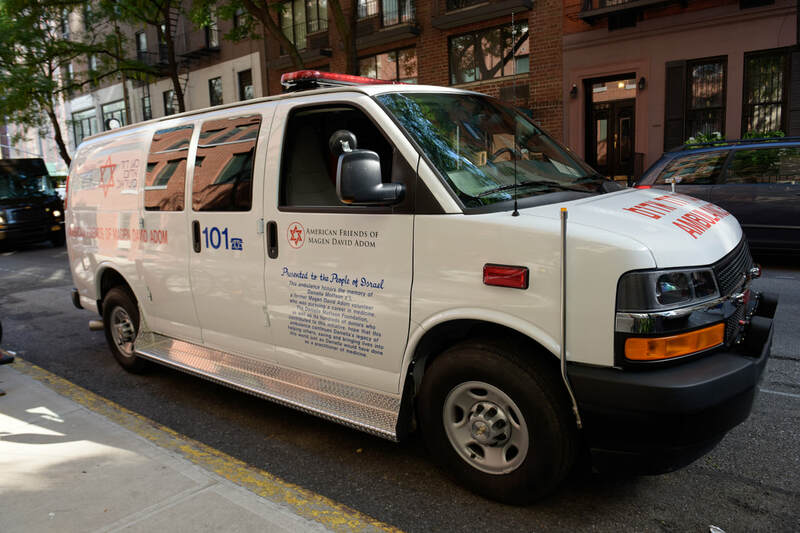 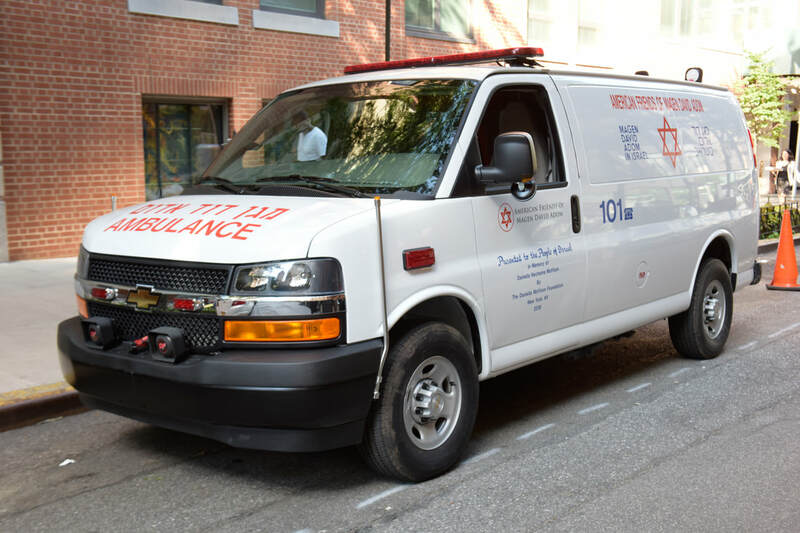 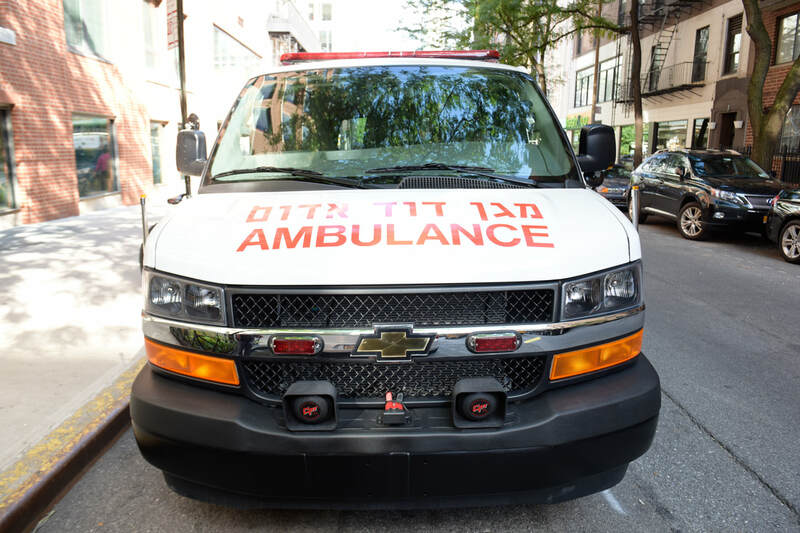 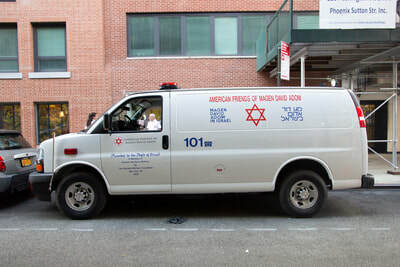 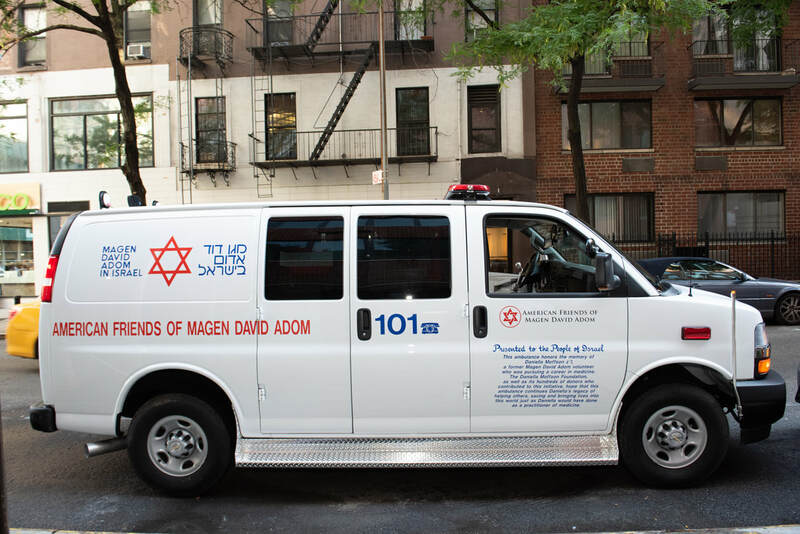 The dedication on the ambulance reads: "Presented to the People of Israel: This ambulance honors the memory of Daniella Moffson z"l, a former Magen David Adom volunteer who was pursuing a career in medicine. 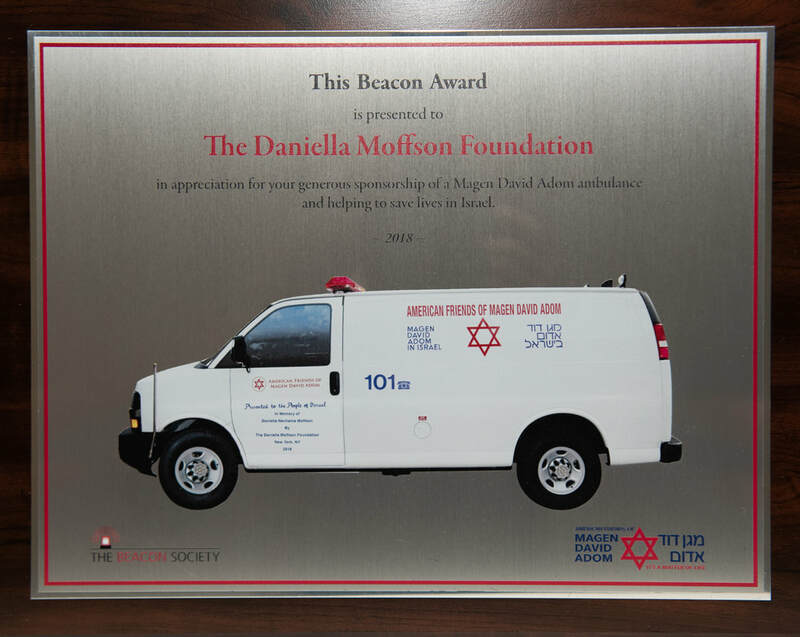 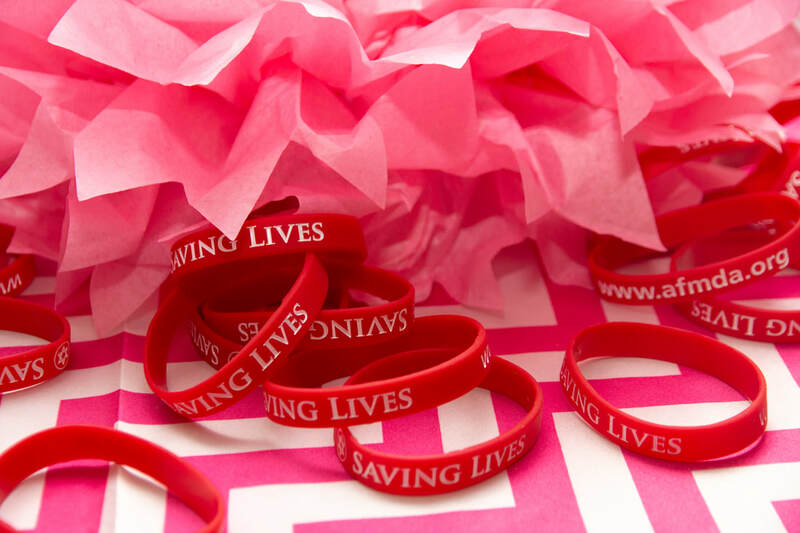 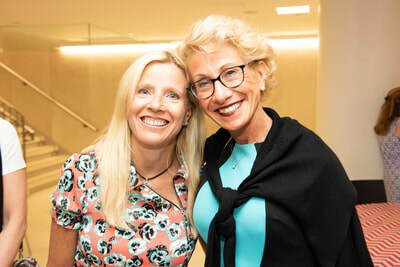 The Daniella Moffson Foundation, as well as its hundreds of donors who contributed to this initiative, hope that this ambulance continues Daniella's legacy of helping others, saving and bringing lives into the world just as Daniella would have done as a practitioner of medicine."